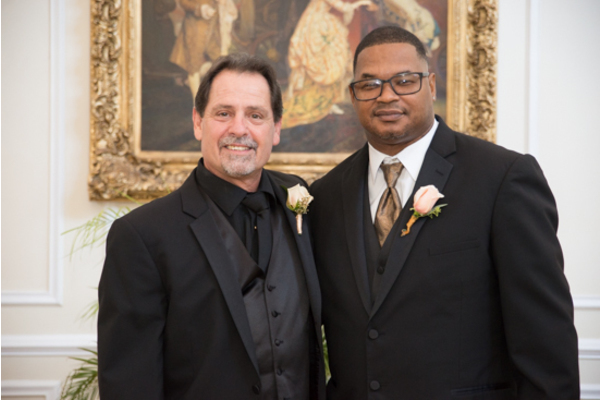 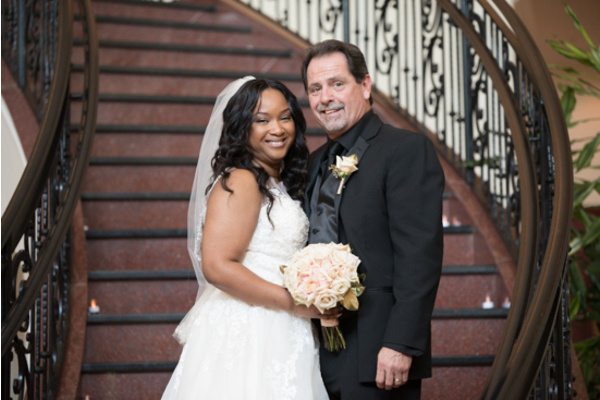 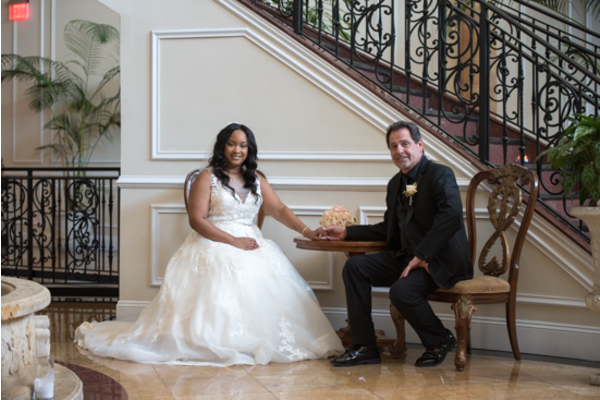 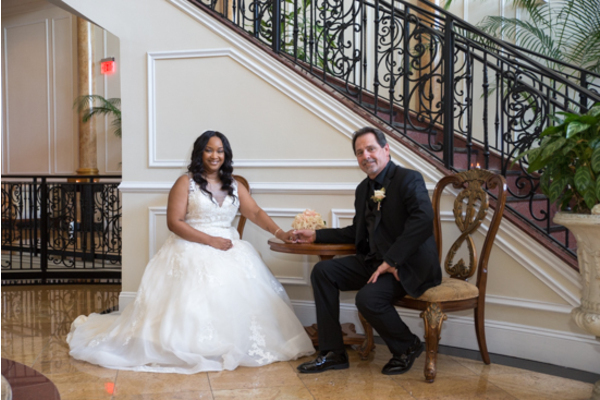 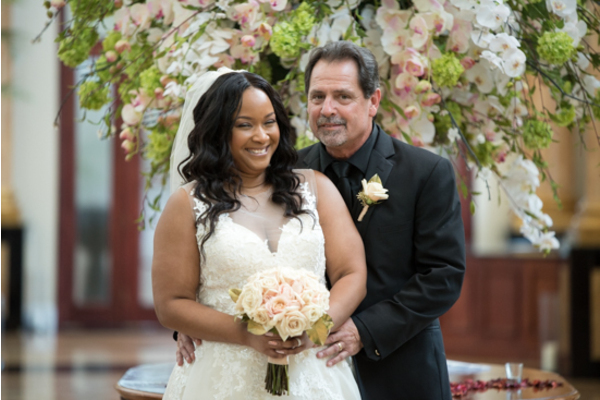 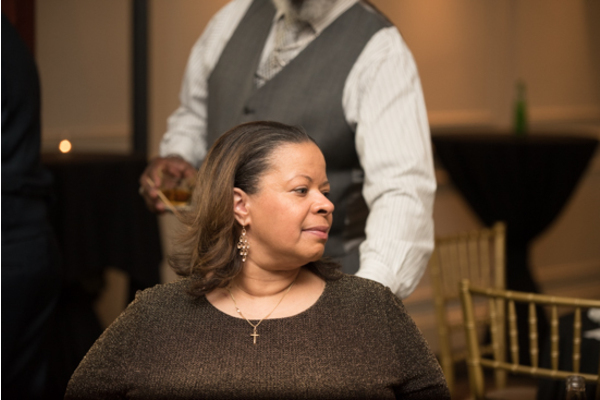 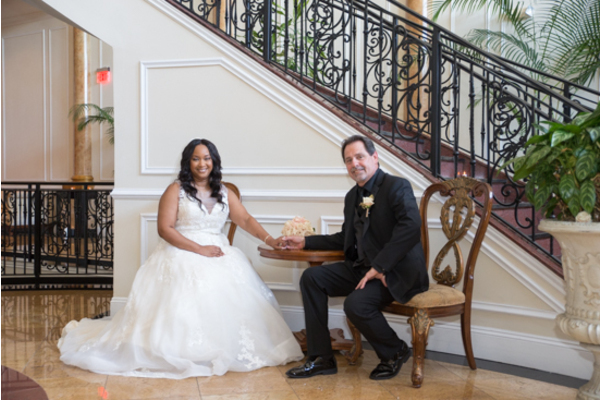 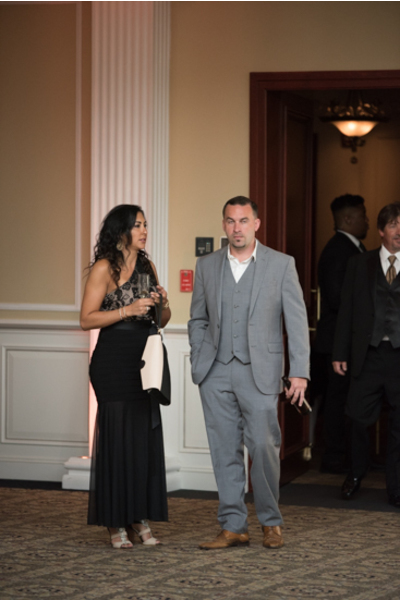 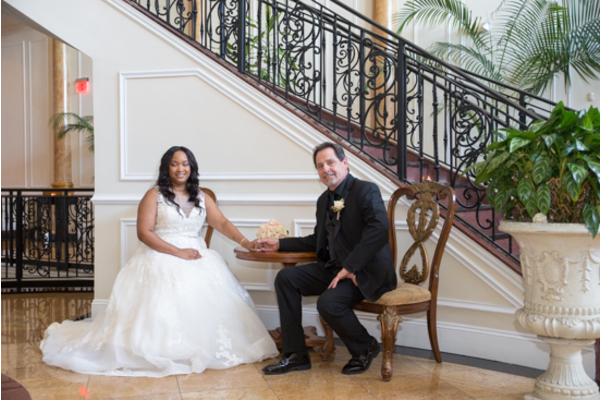 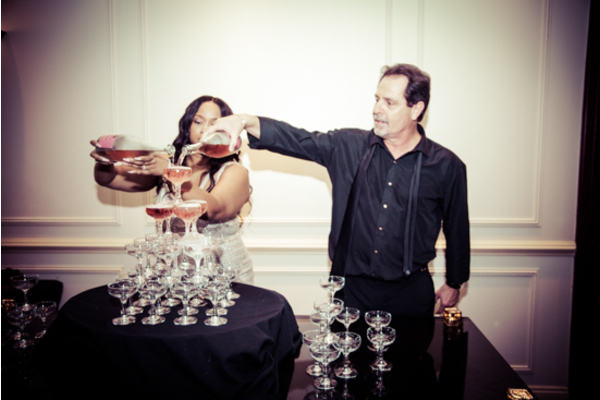 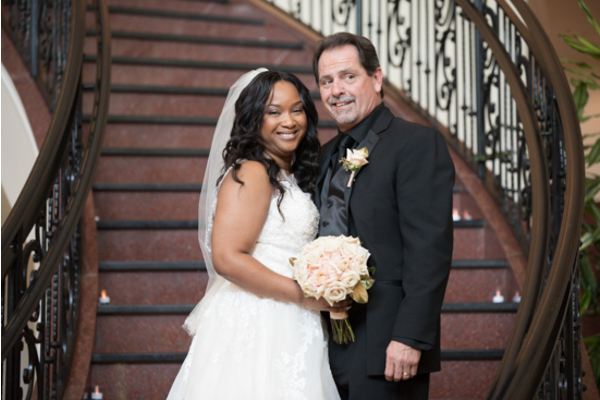 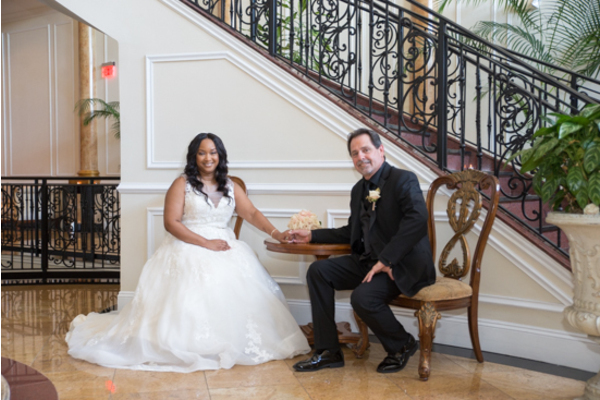 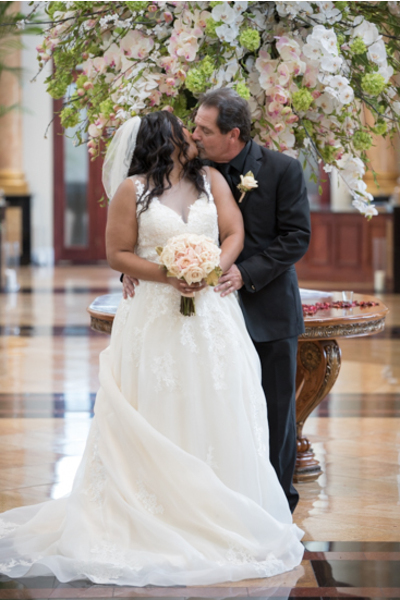 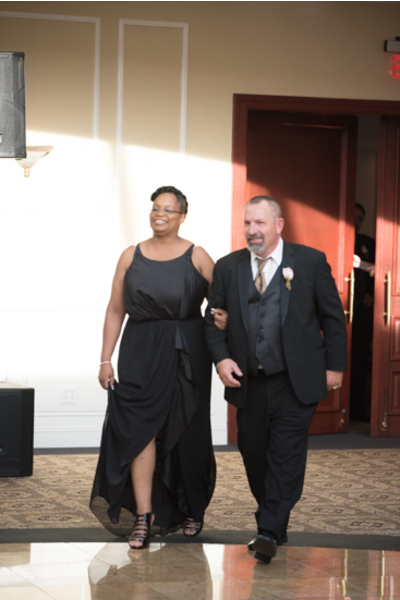 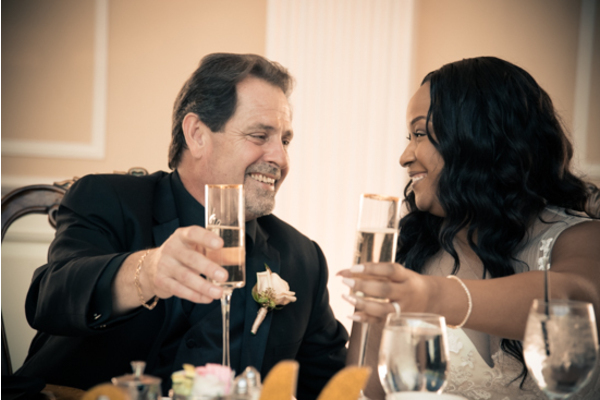 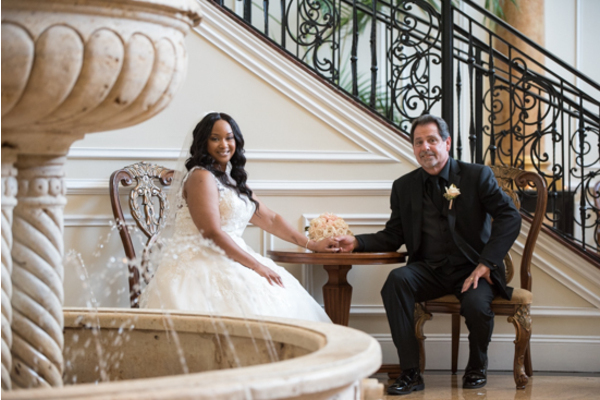 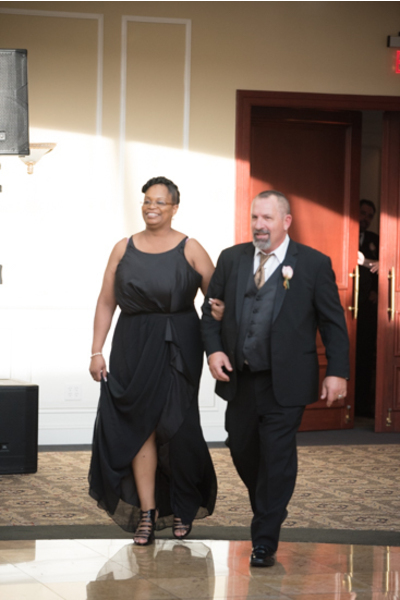 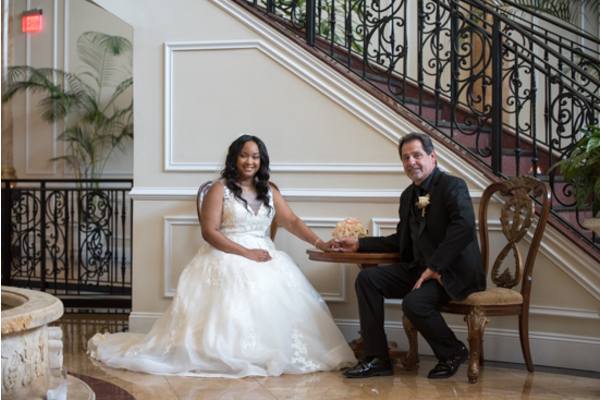 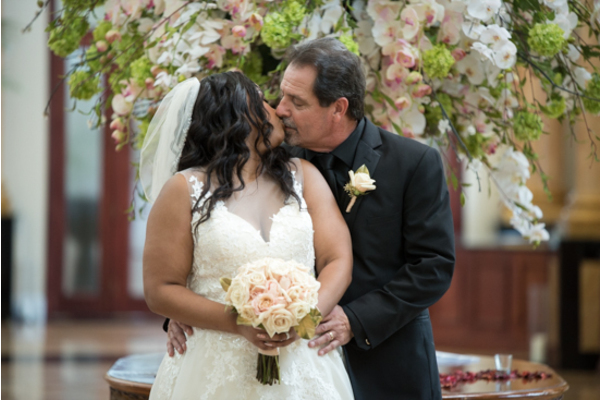 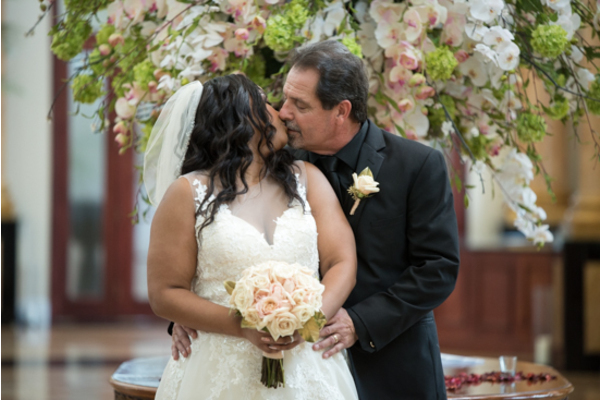 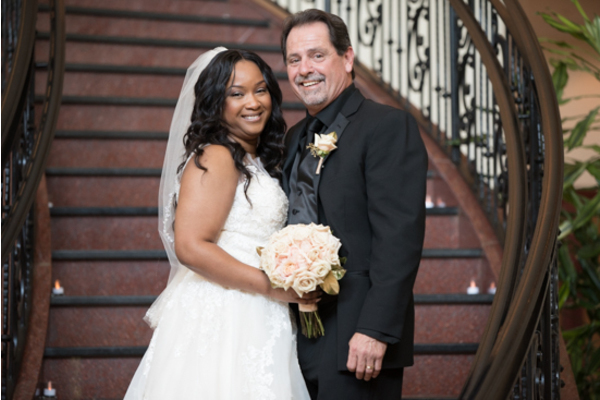 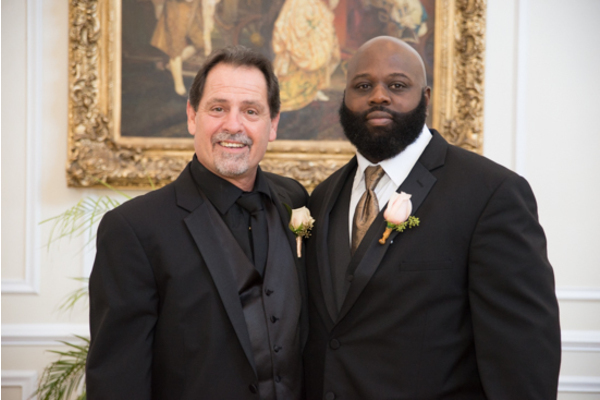 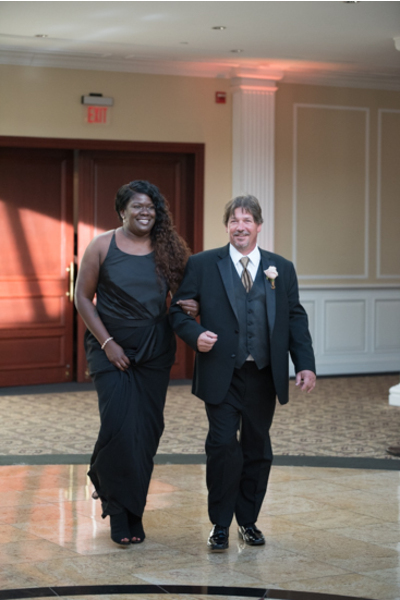 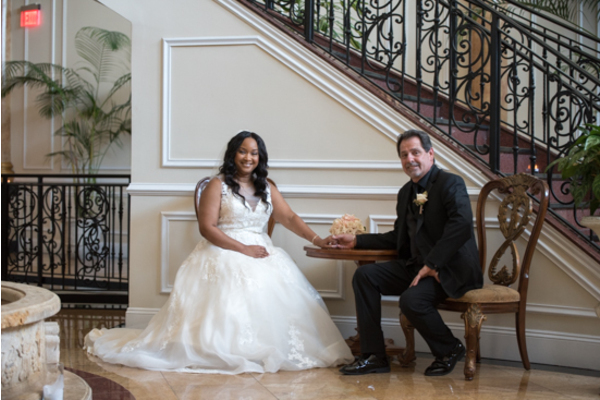 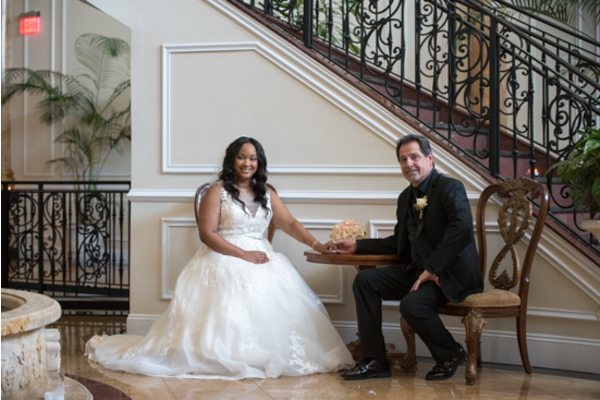 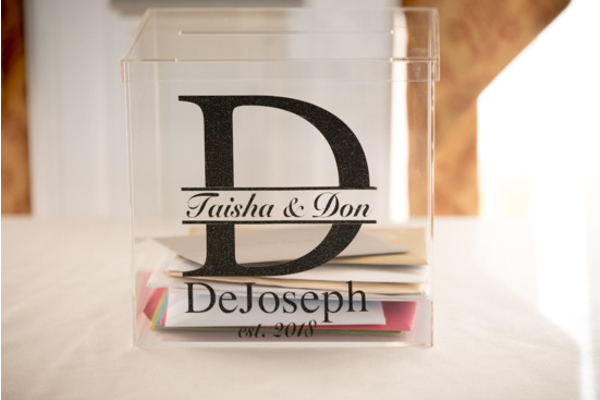 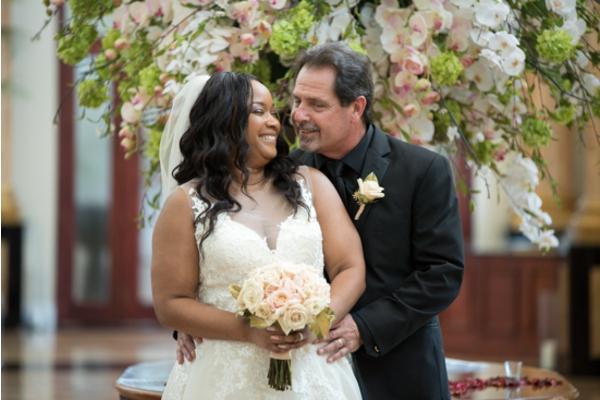 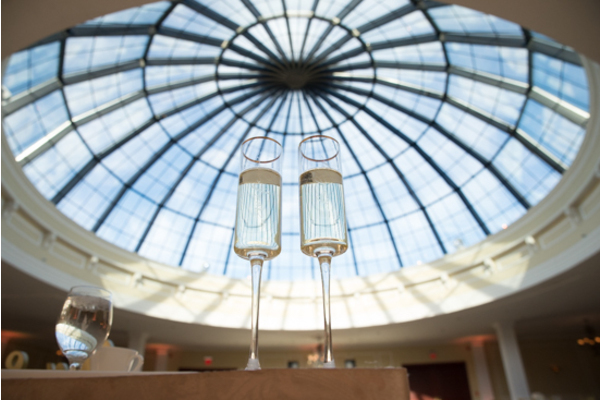 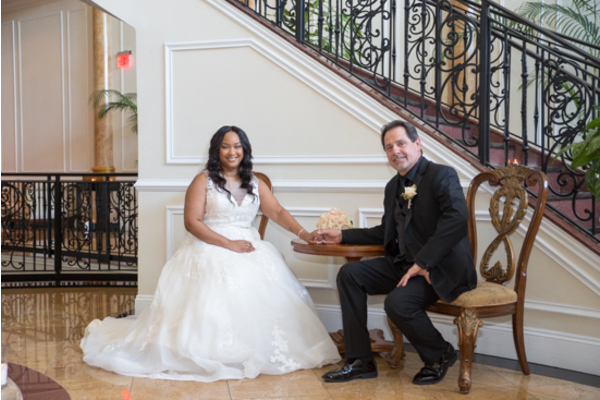 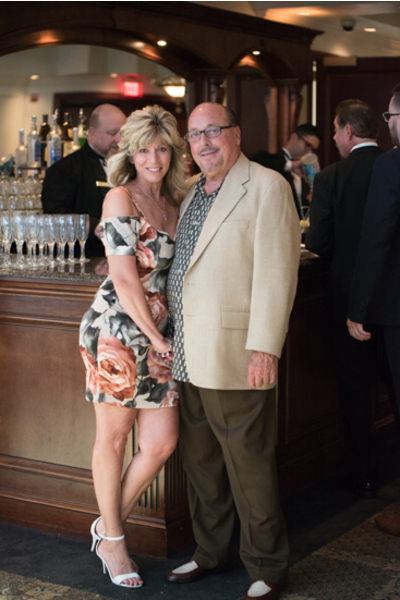 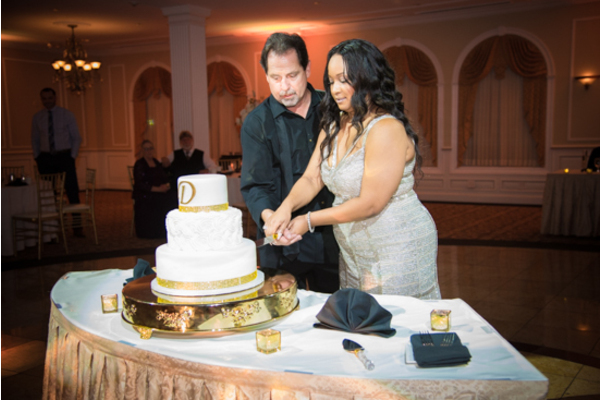 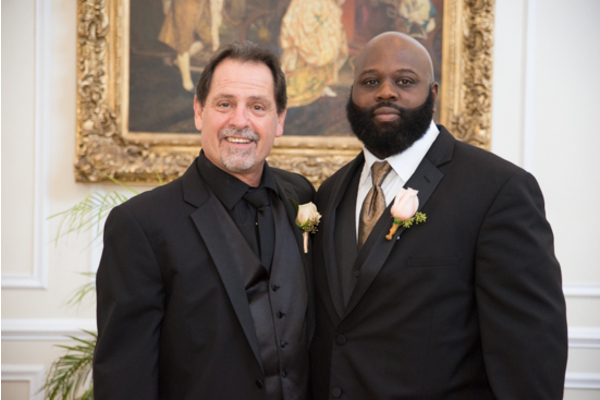 Congratulations to Taisha and Don on their recent marriage! 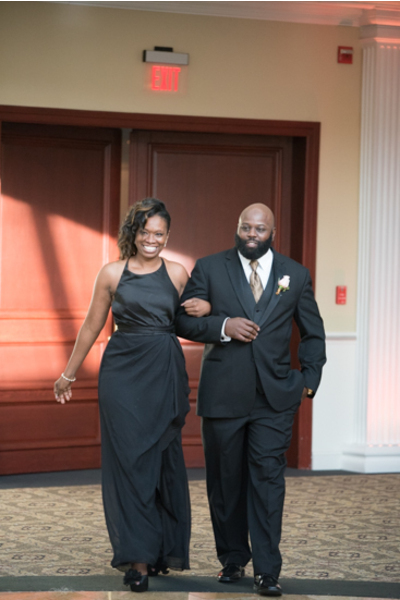 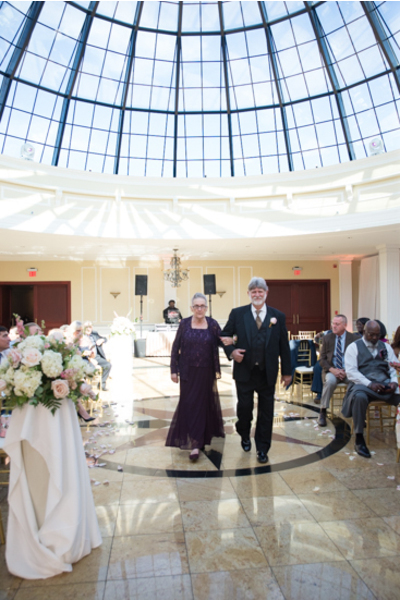 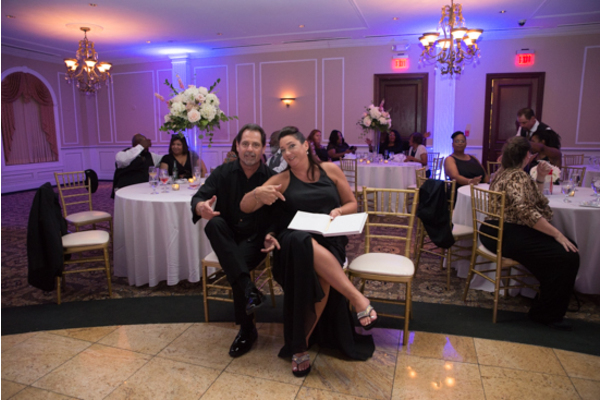 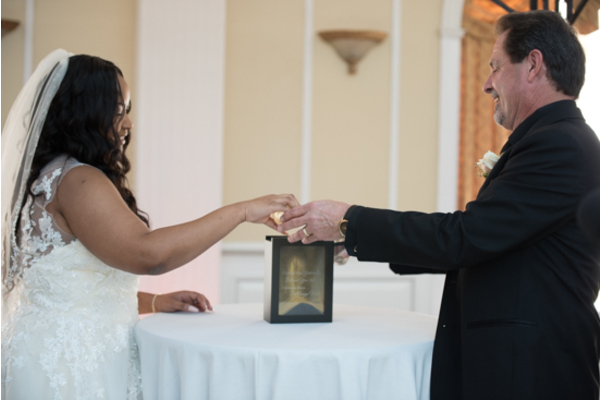 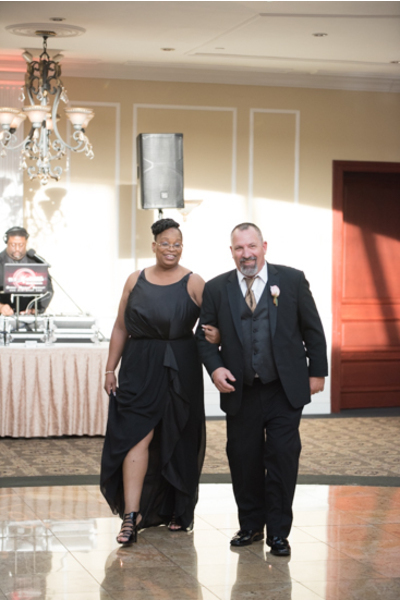 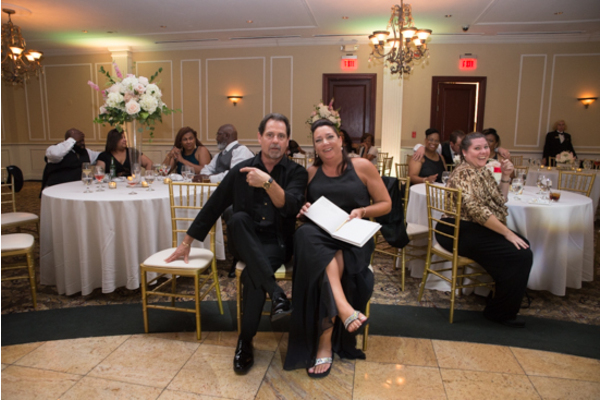 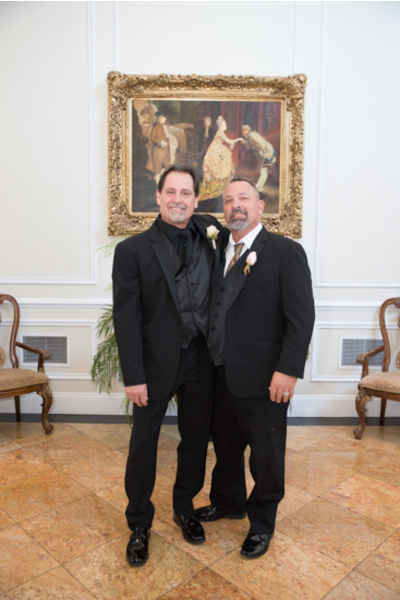 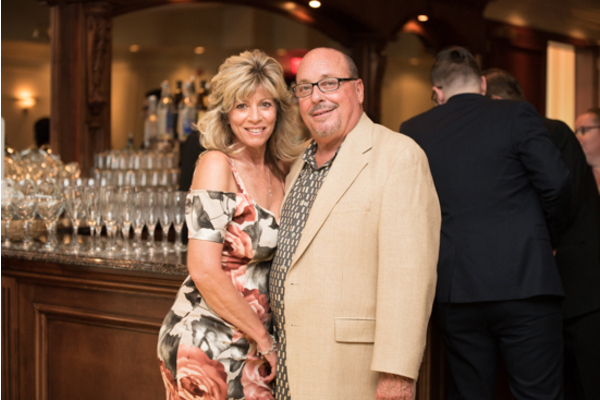 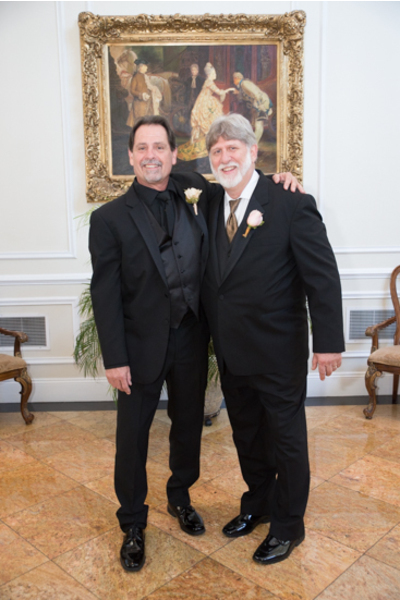 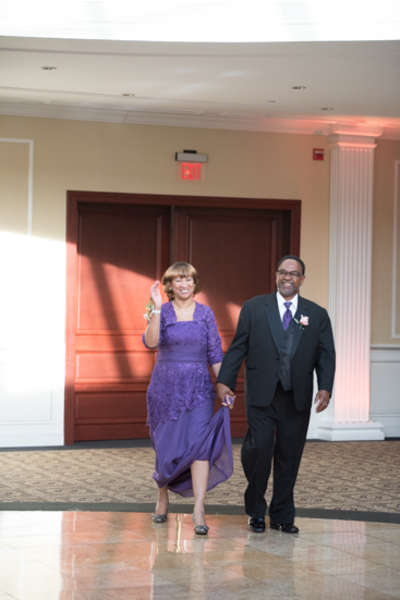 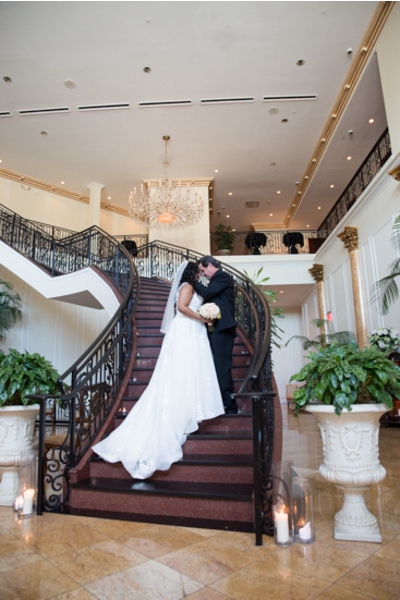 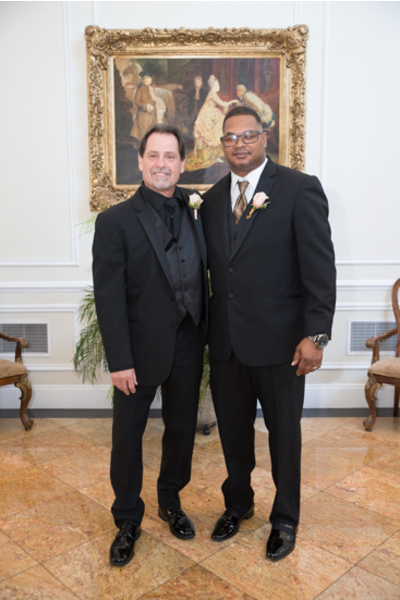 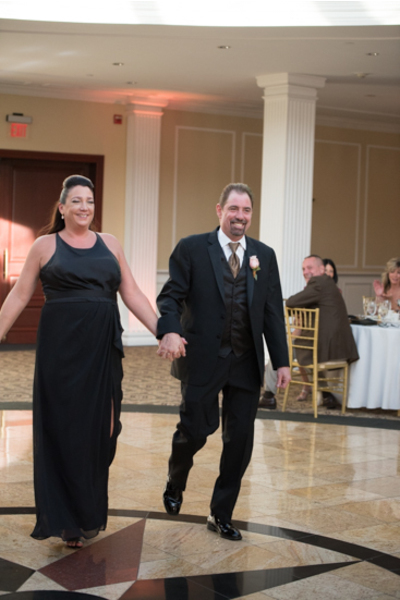 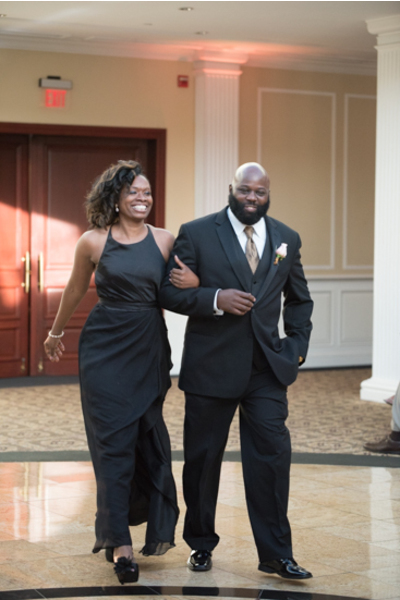 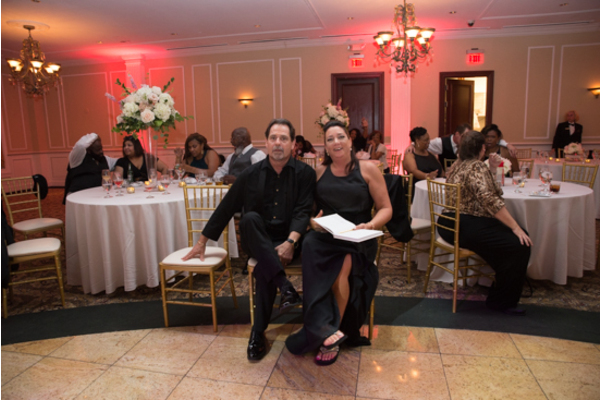 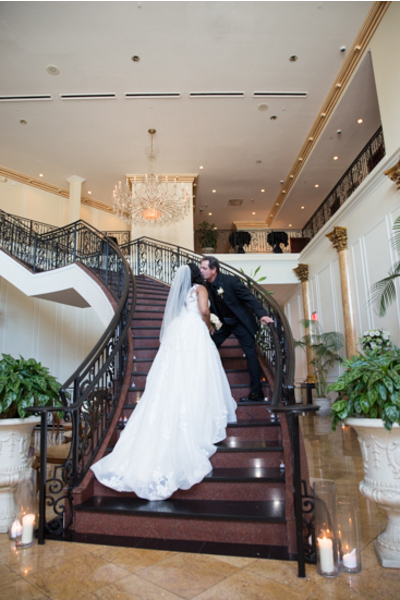 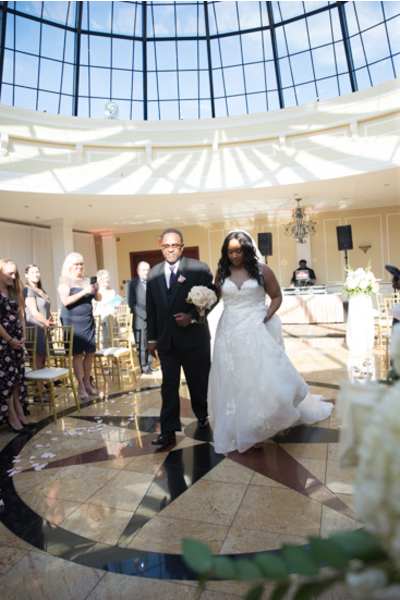 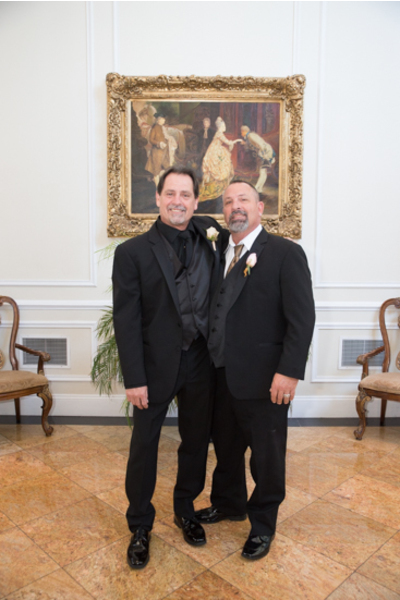 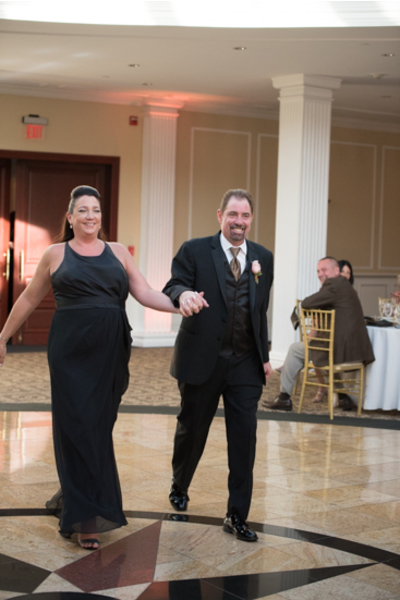 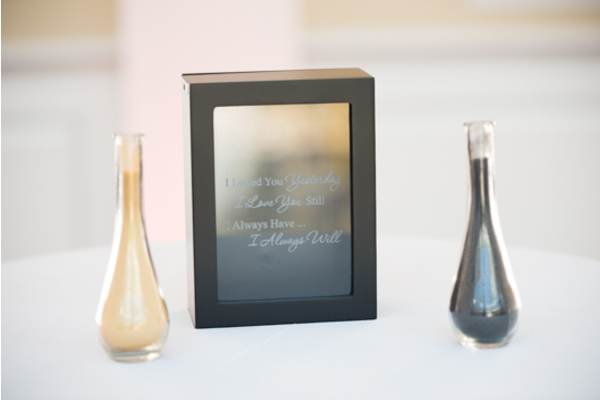 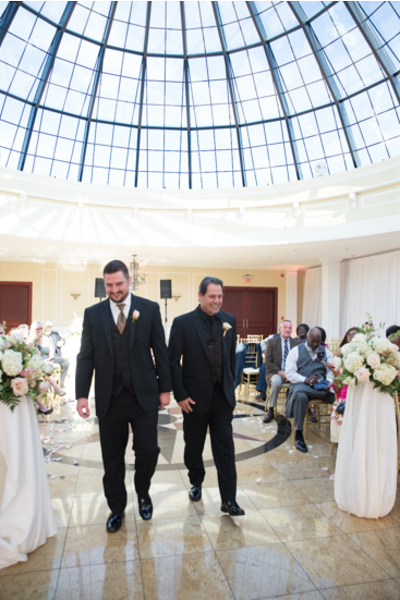 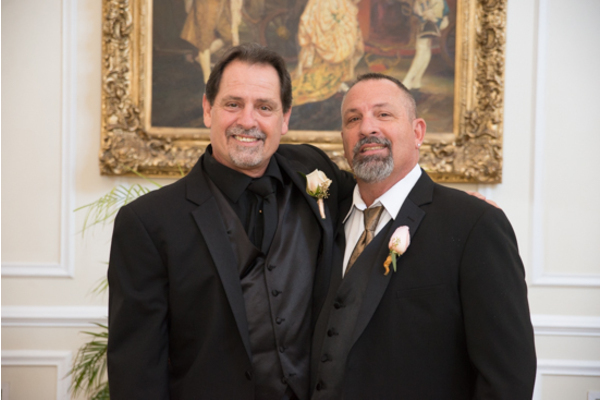 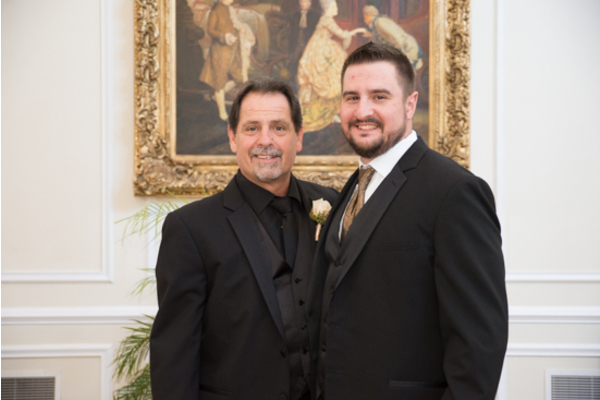 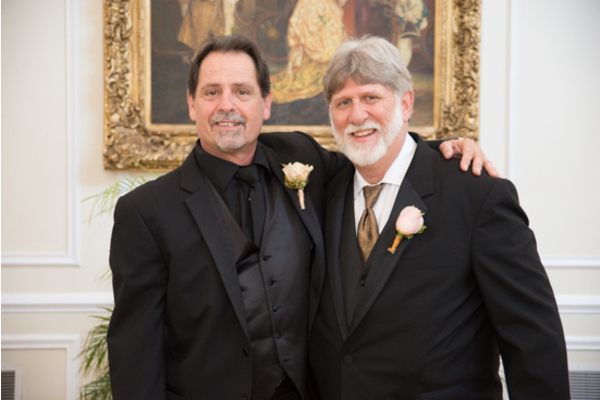 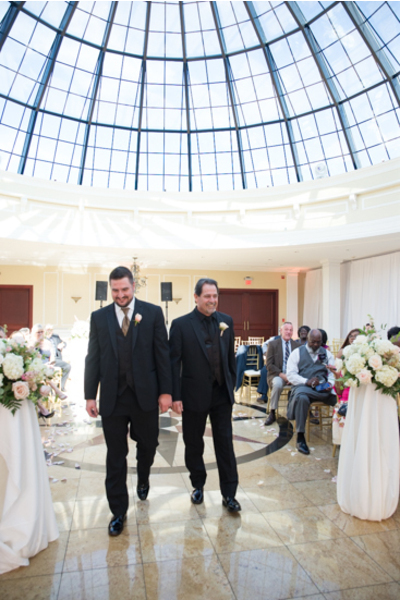 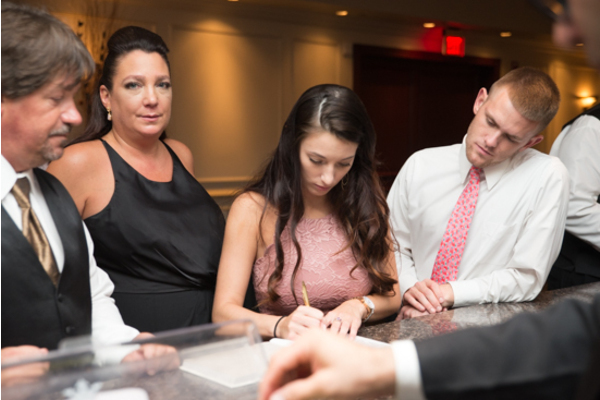 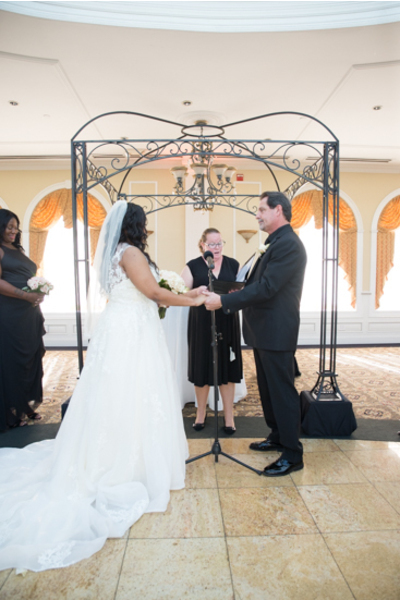 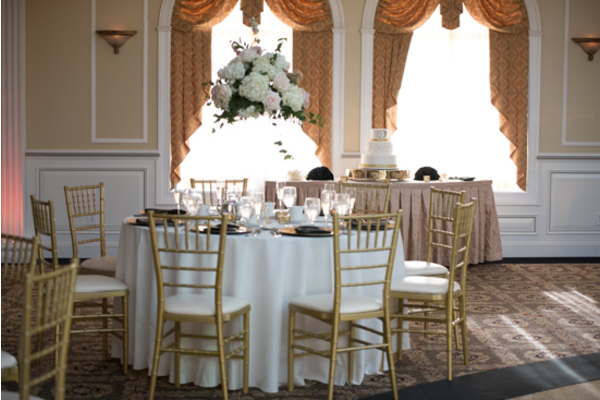 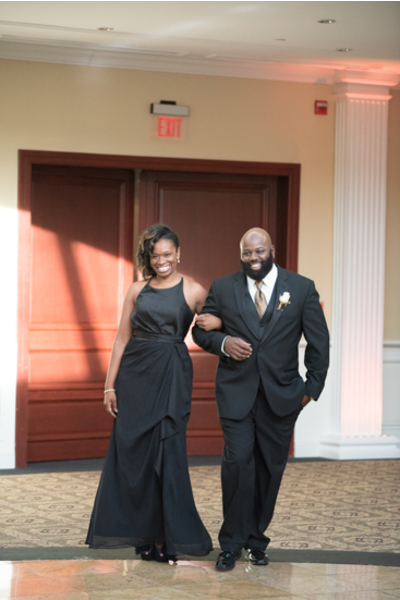 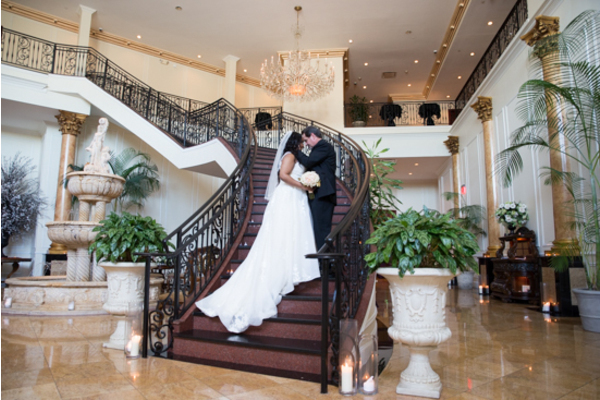 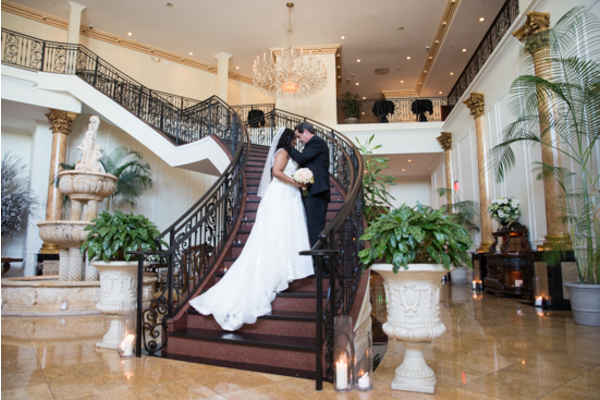 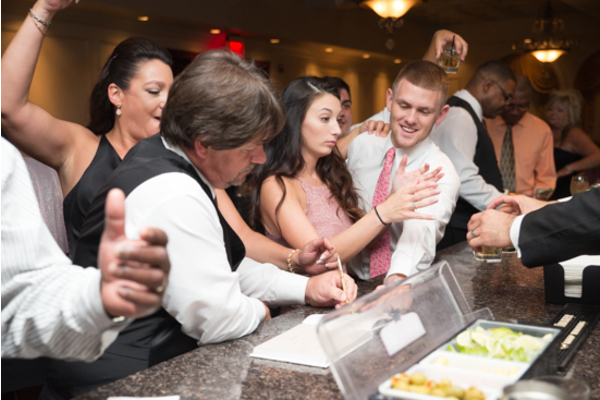 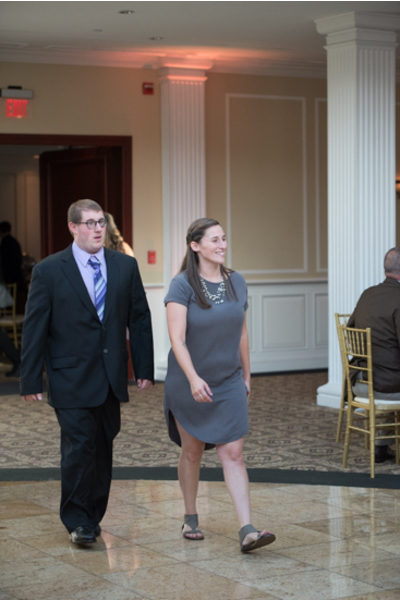 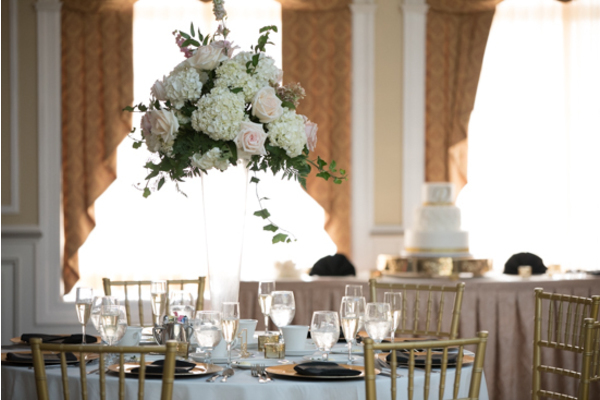 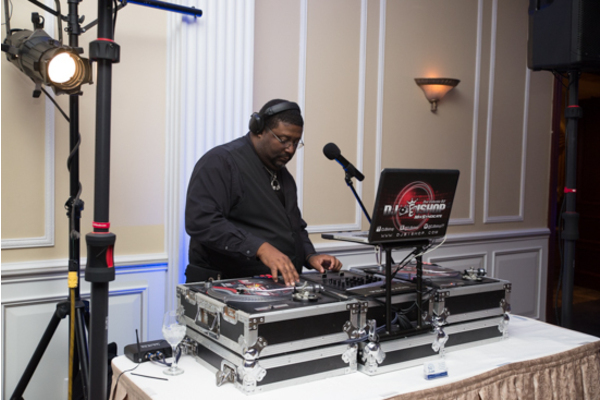 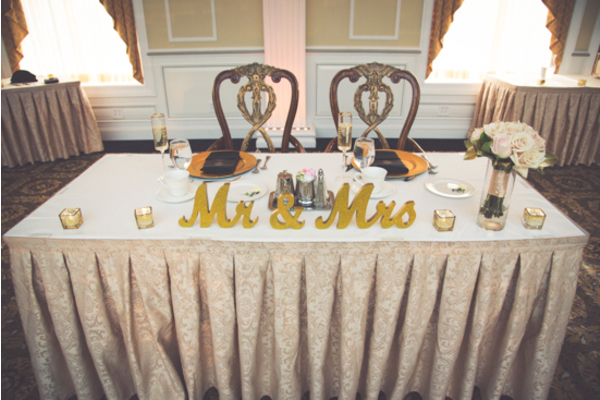 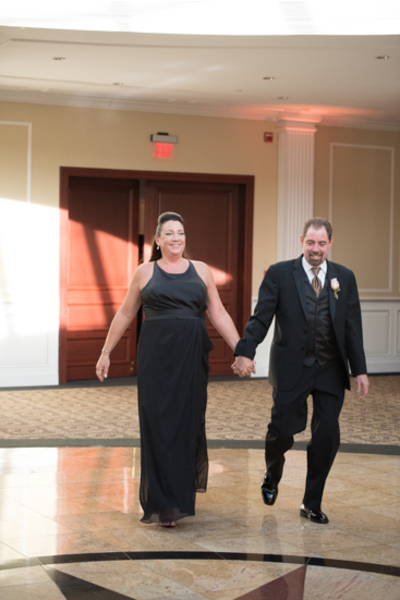 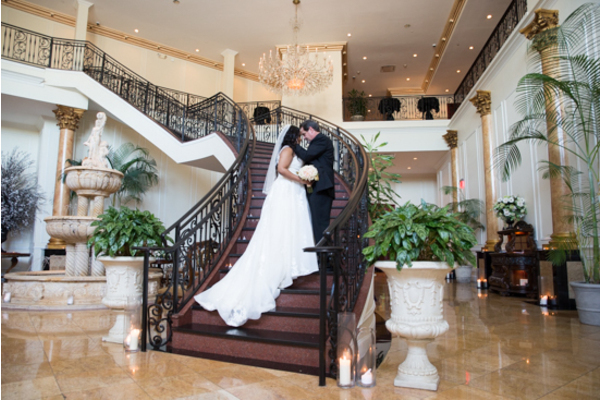 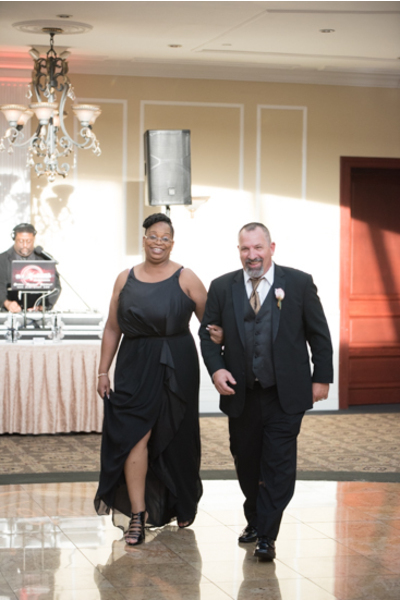 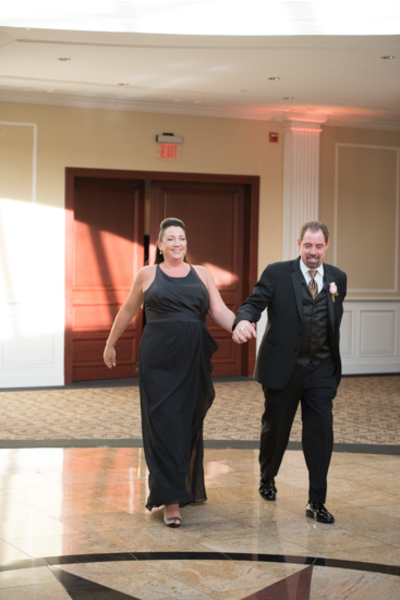 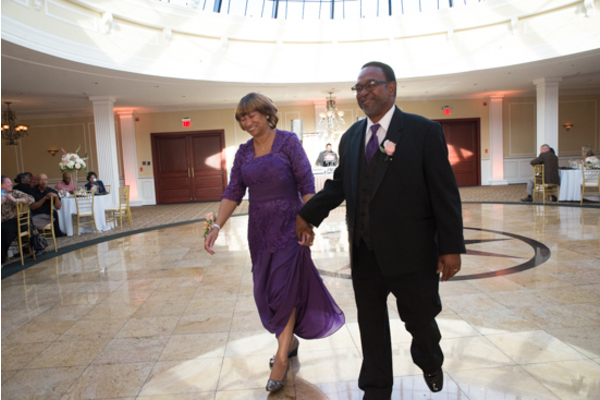 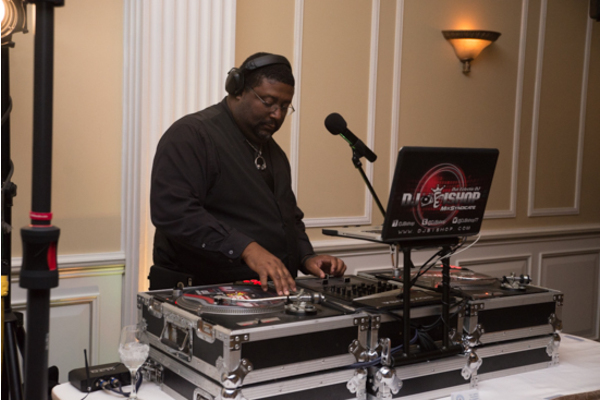 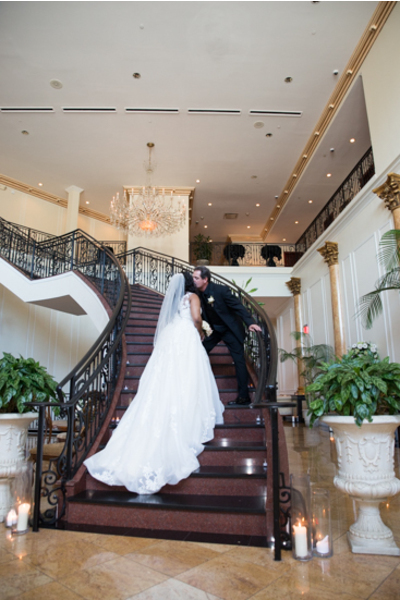 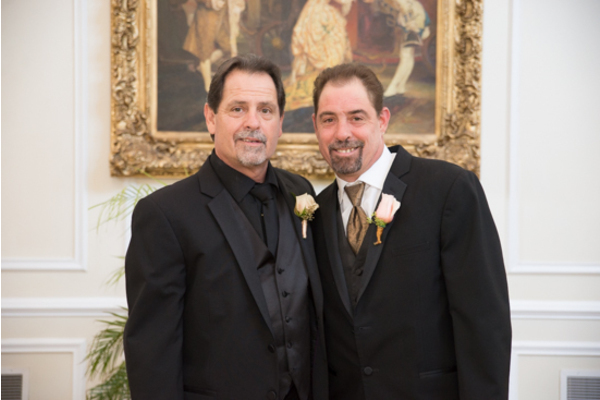 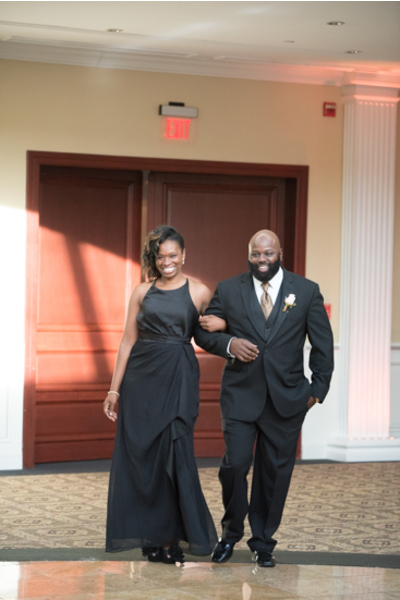 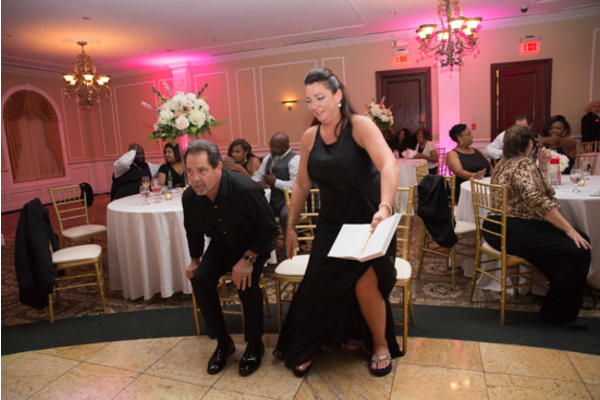 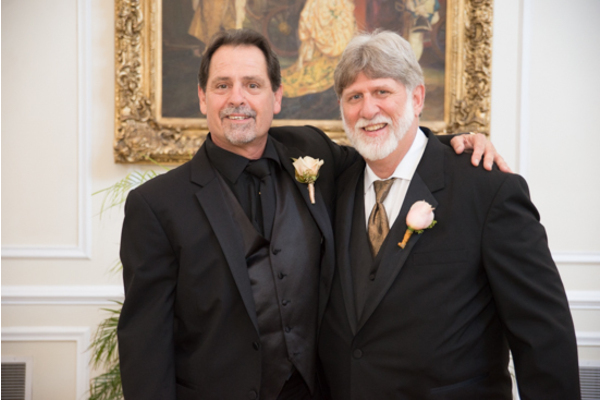 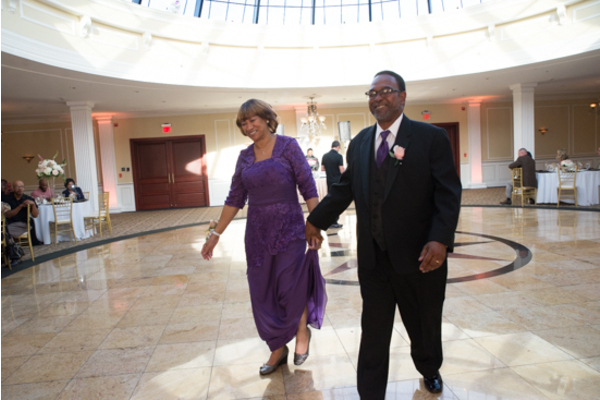 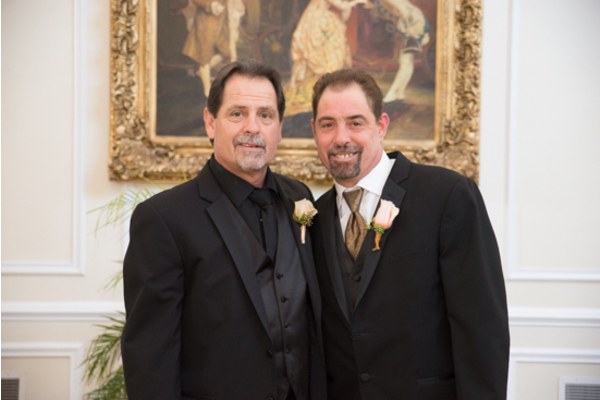 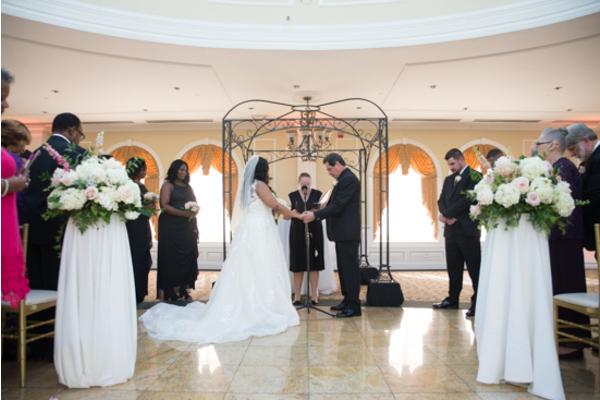 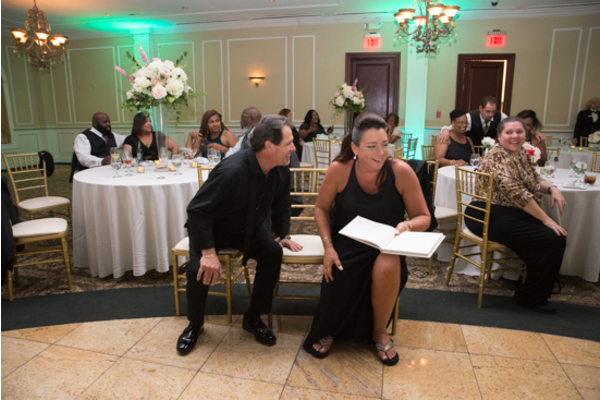 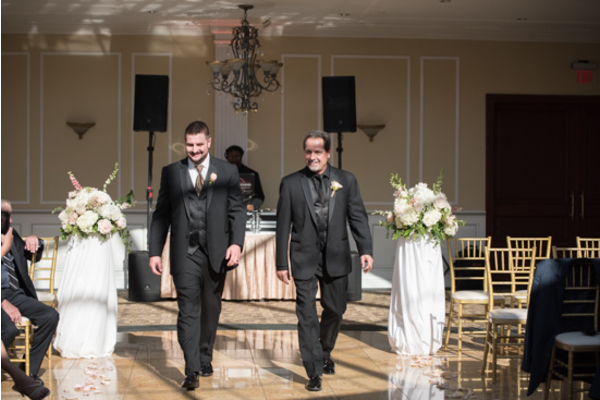 These two lovebirds tied the knot mid September at Clarks Landing Yacht Club in Delran, NJ. 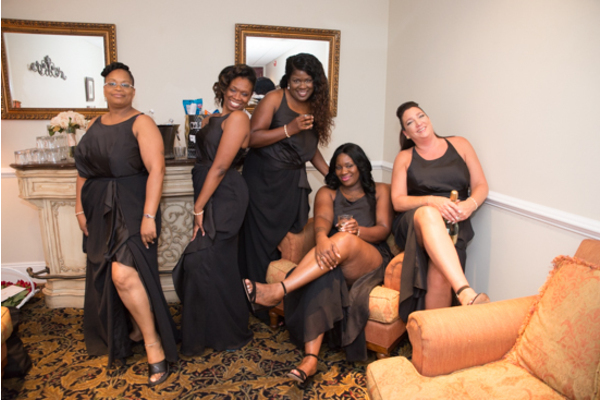 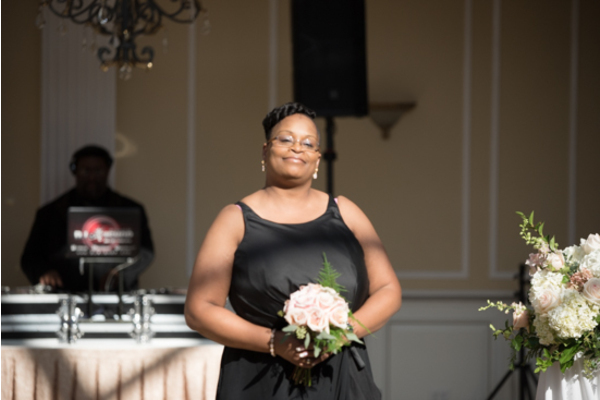 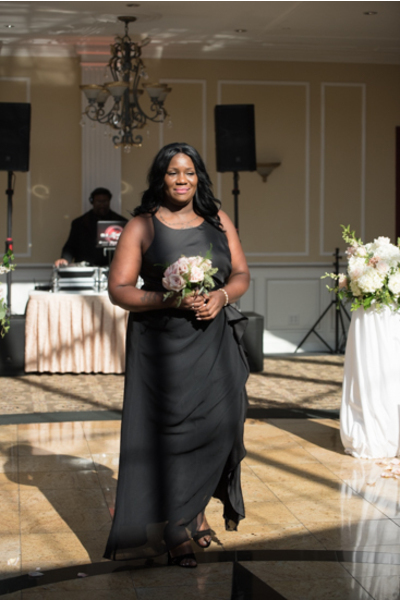 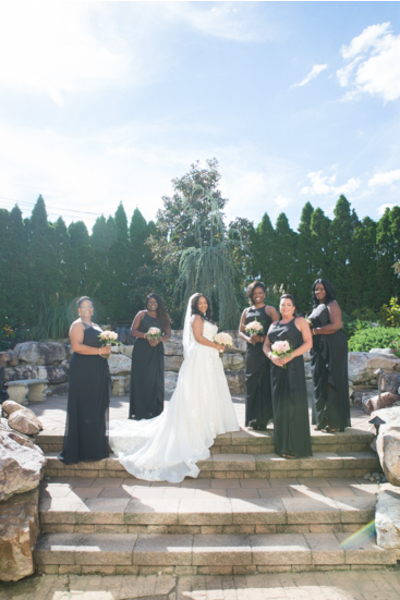 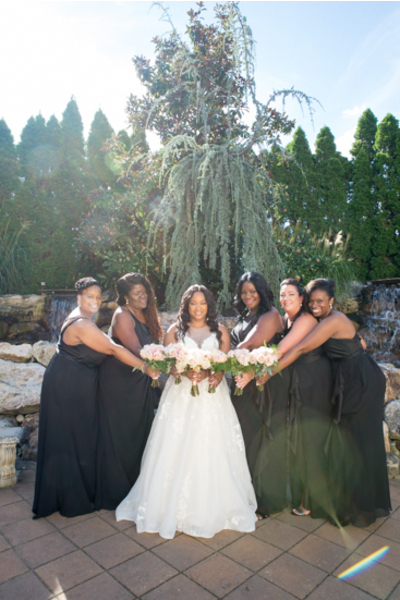 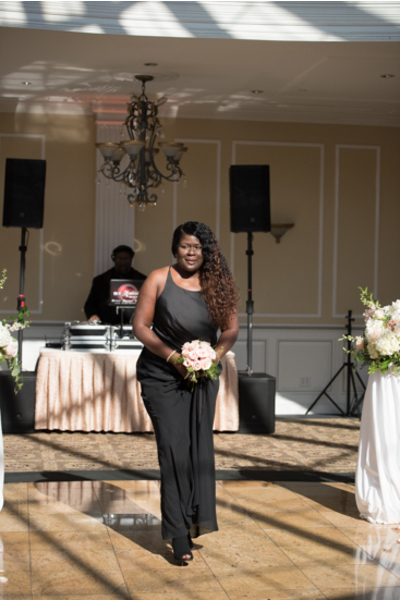 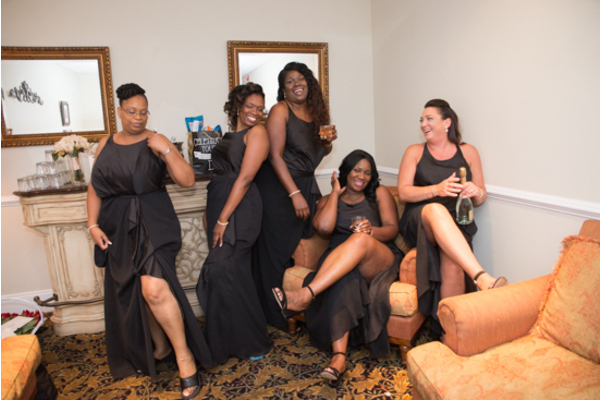 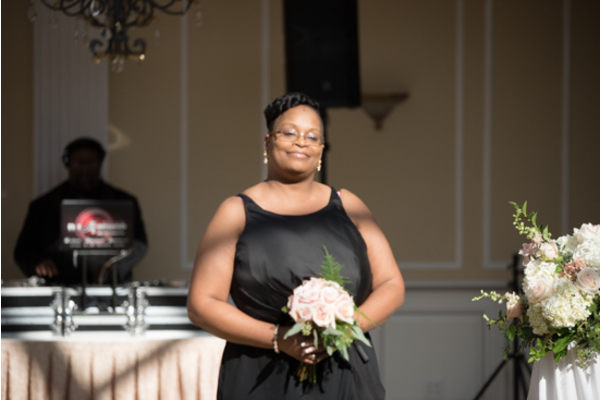 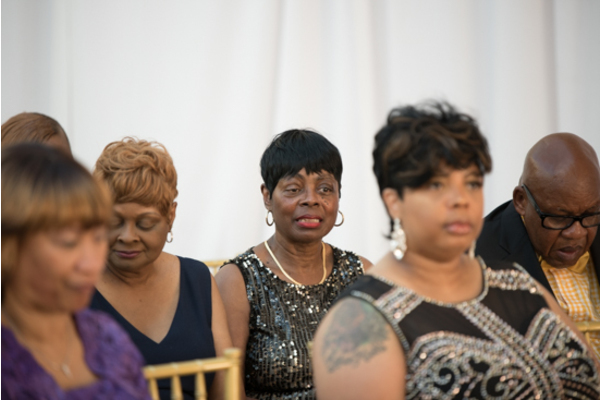 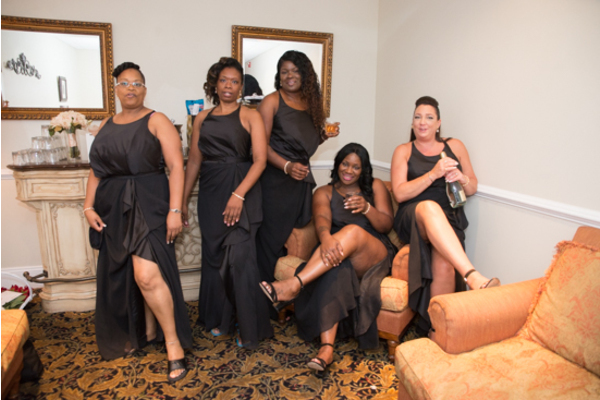 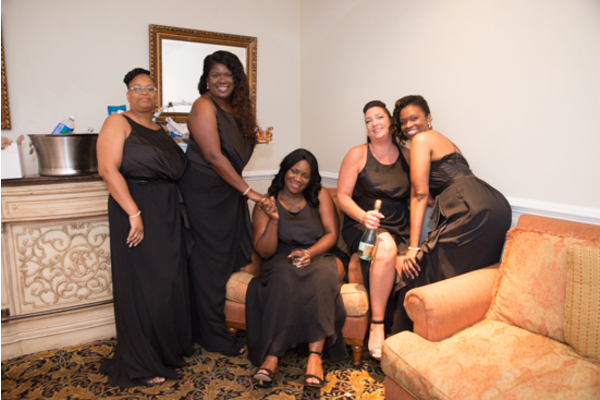 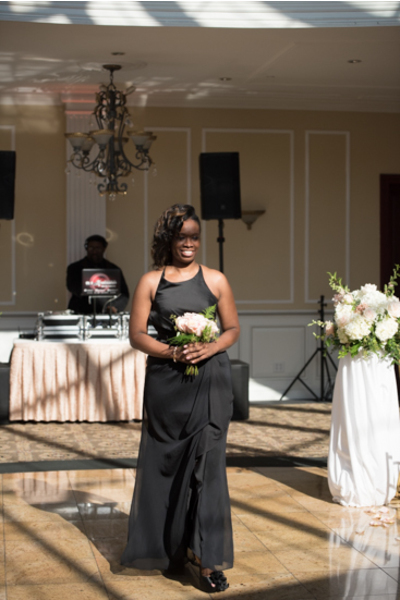 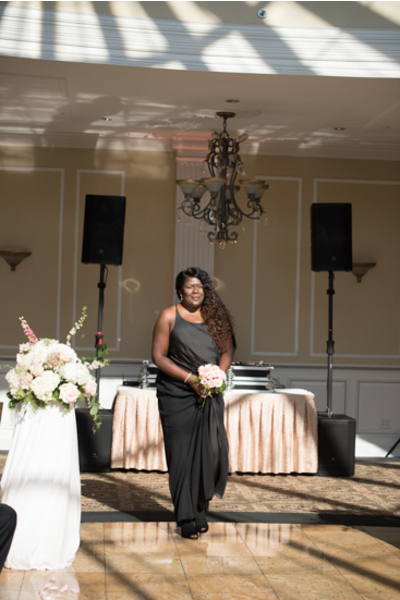 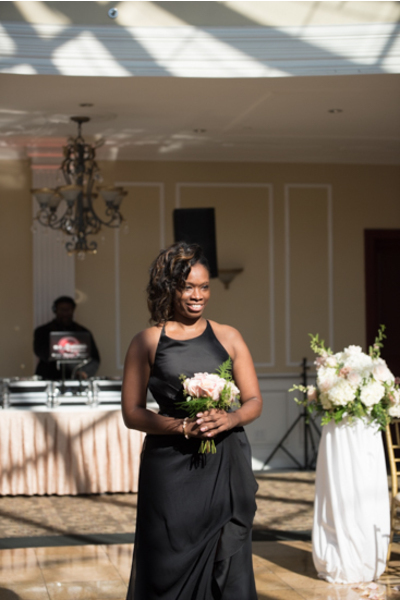 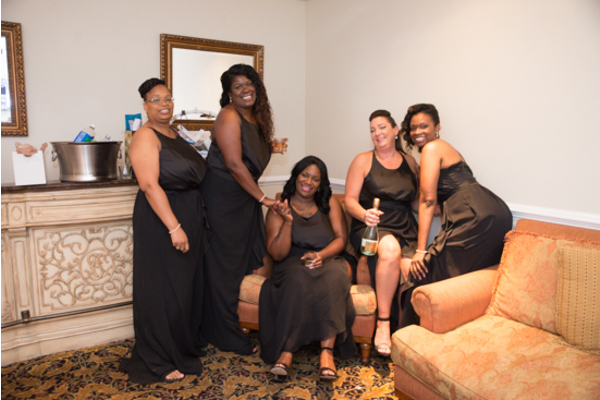 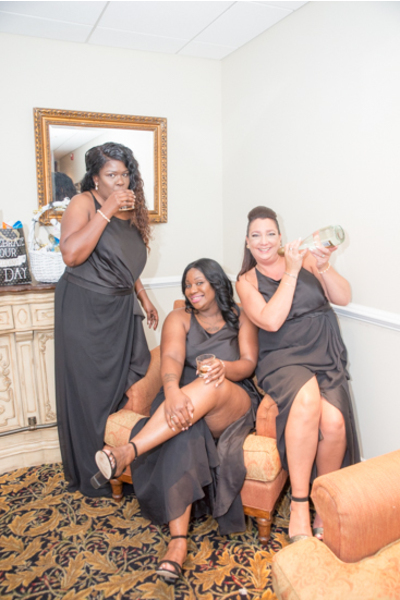 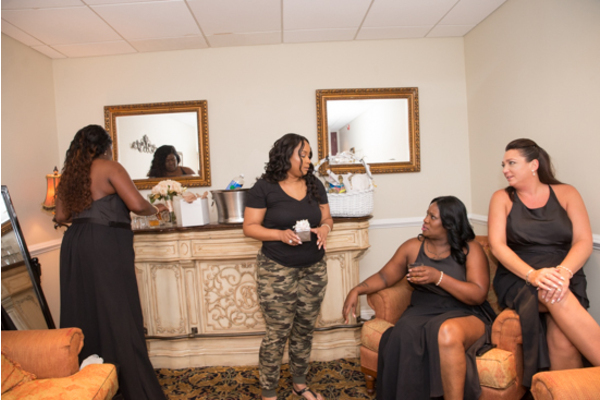 Our NJ Wedding Photographer was ready to capture the action as Taisha and her lovely bridesmaids prepared for her day. 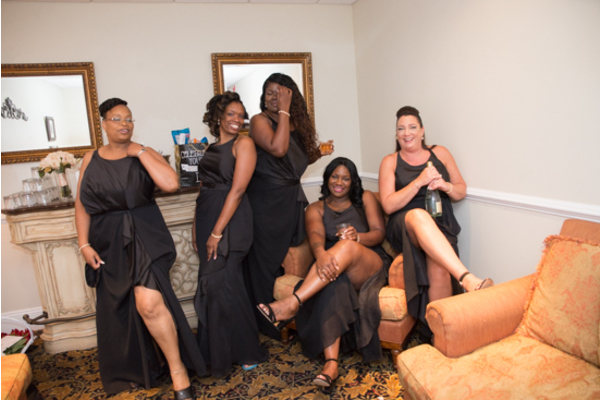 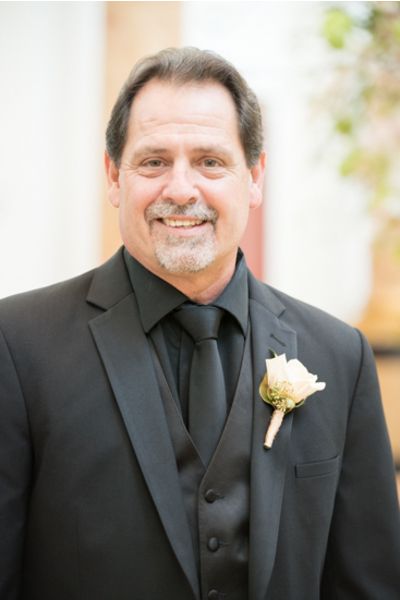 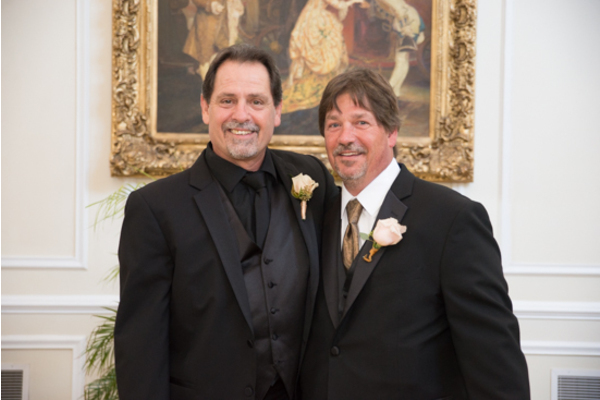 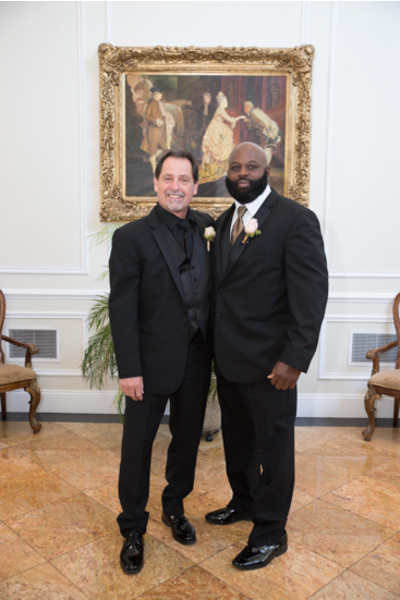 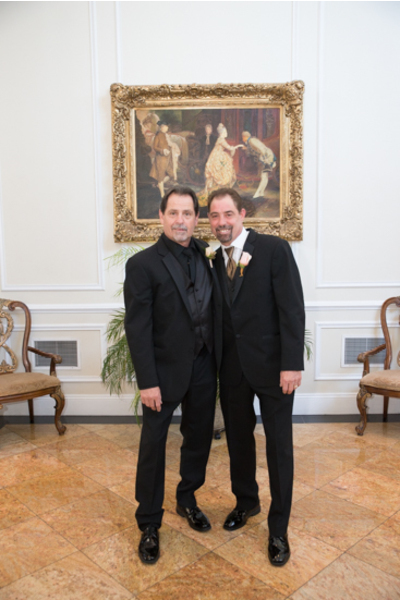 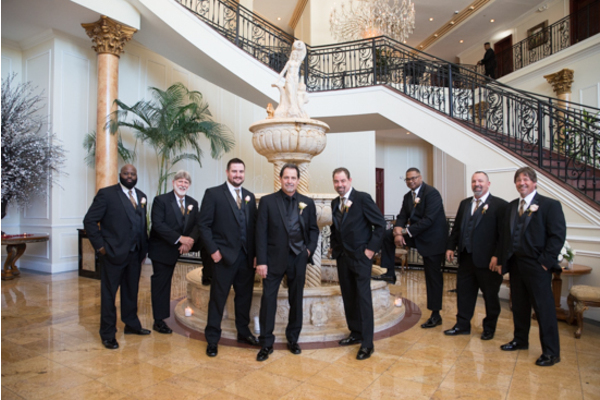 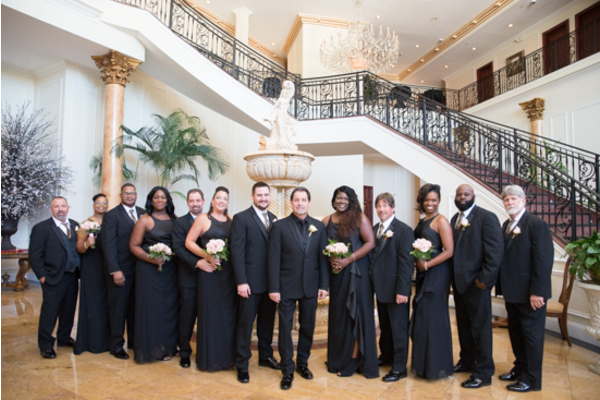 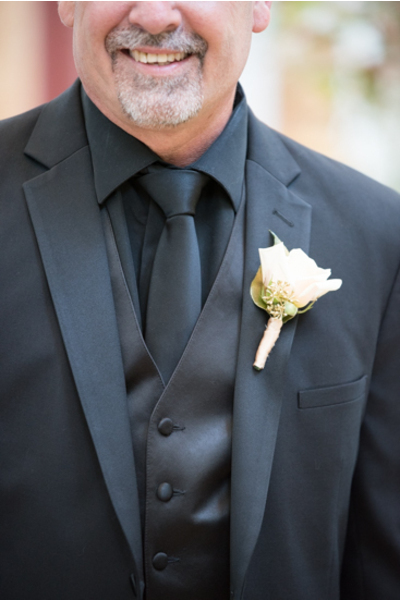 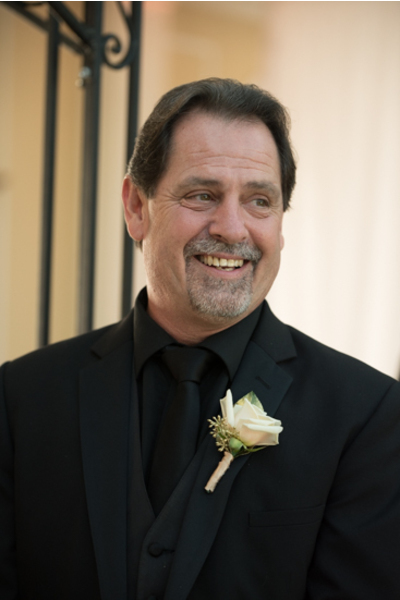 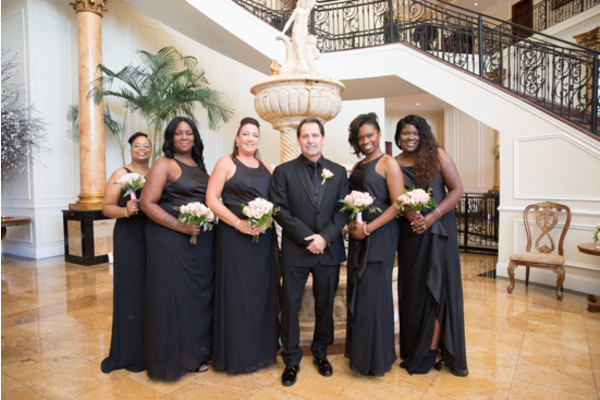 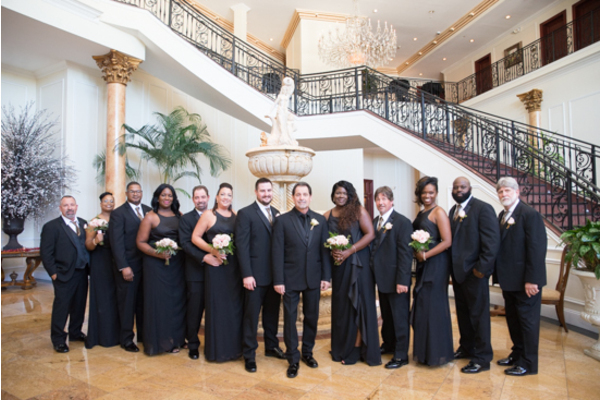 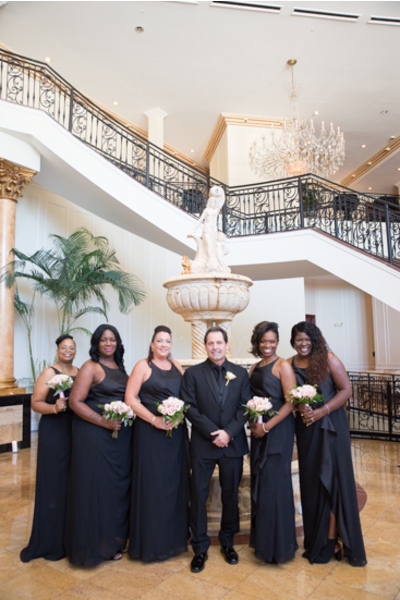 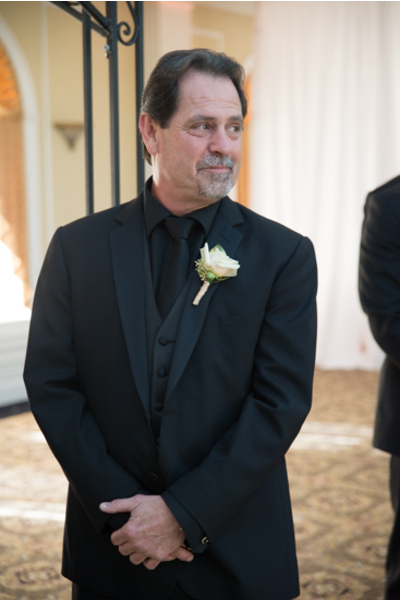 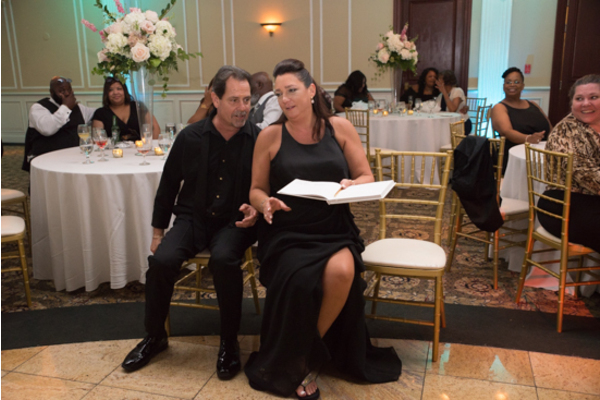 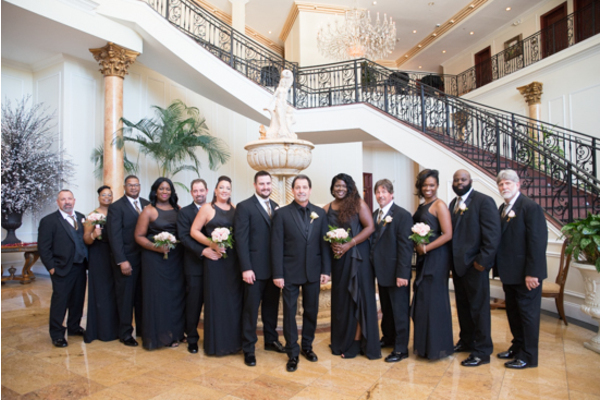 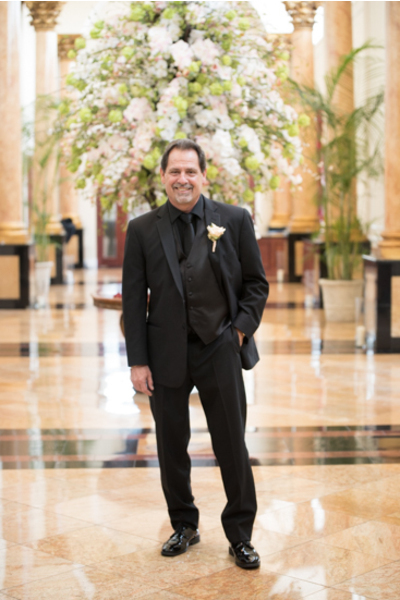 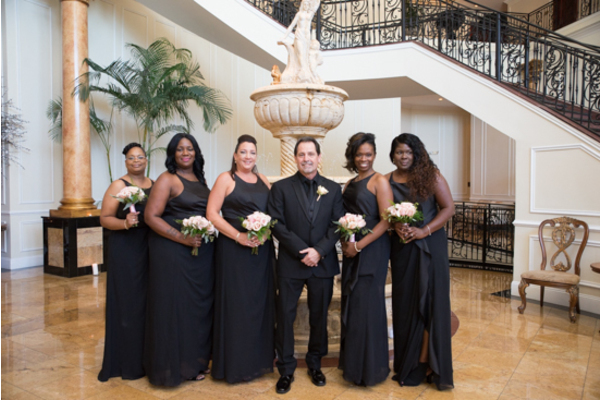 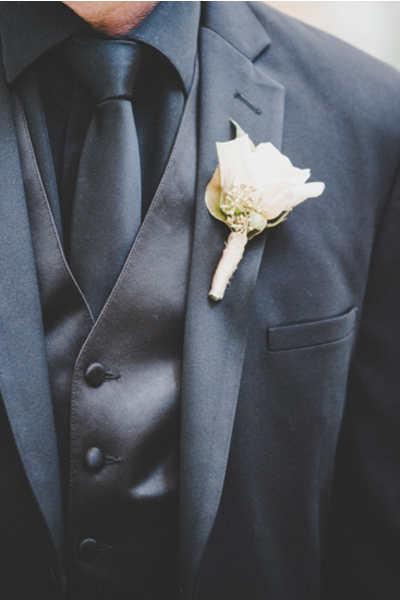 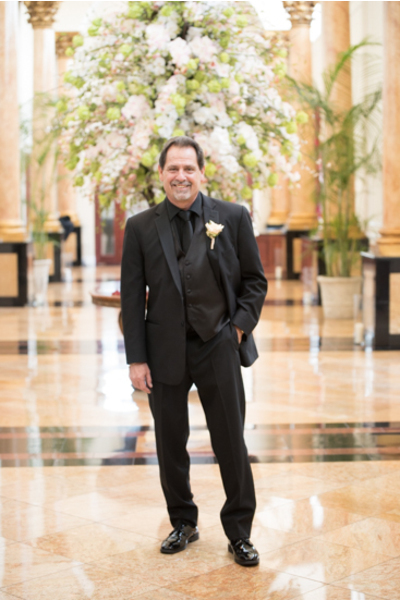 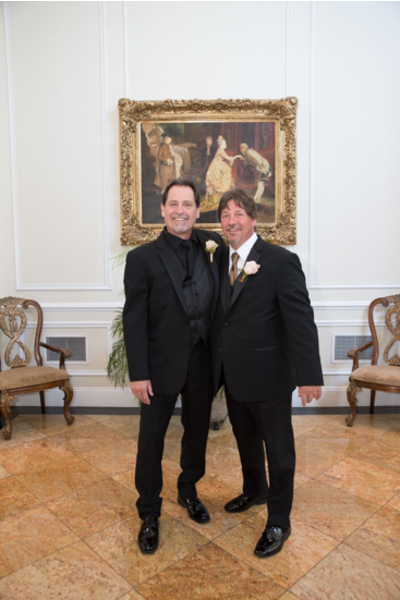 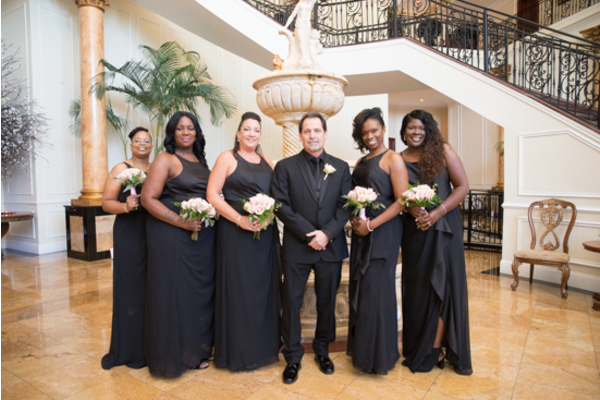 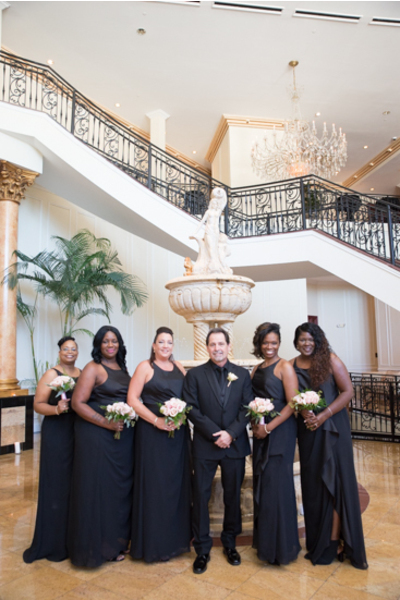 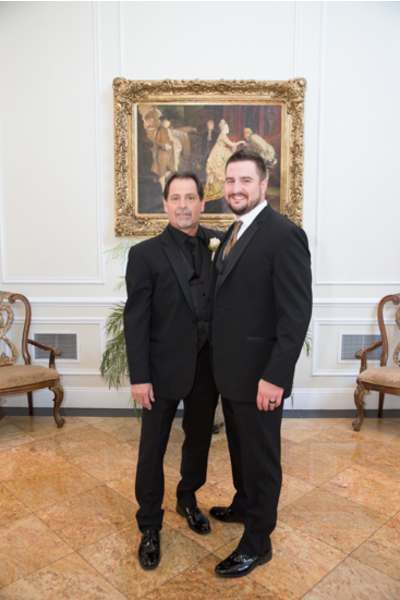 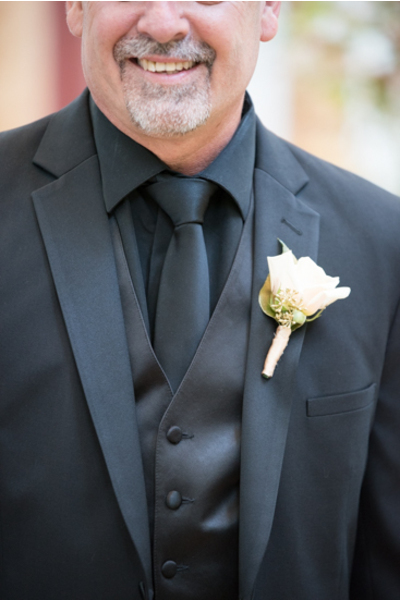 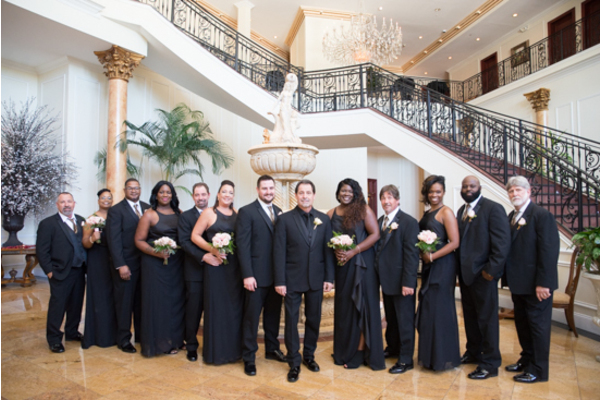 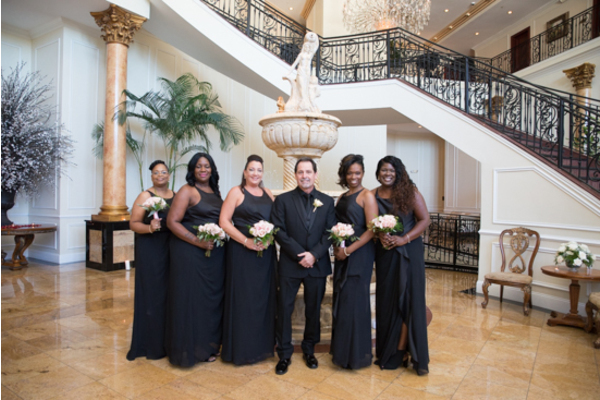 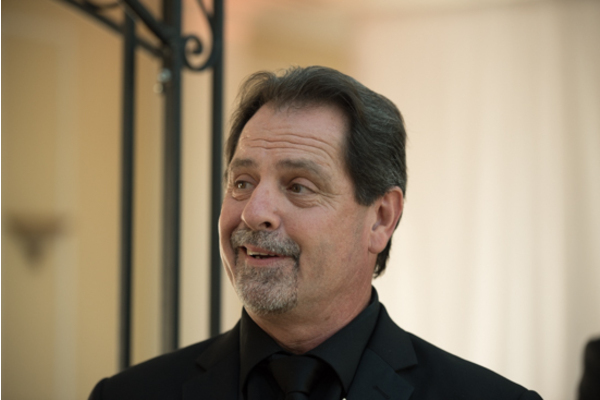 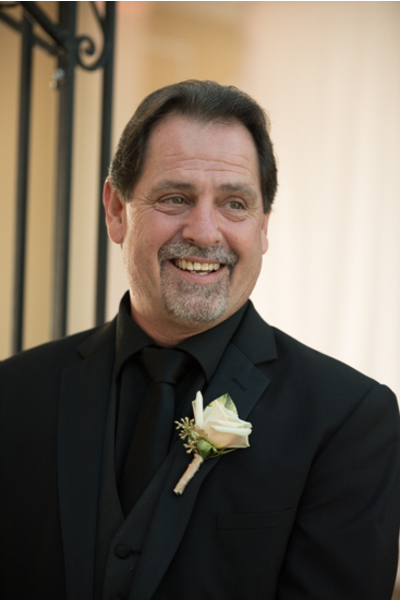 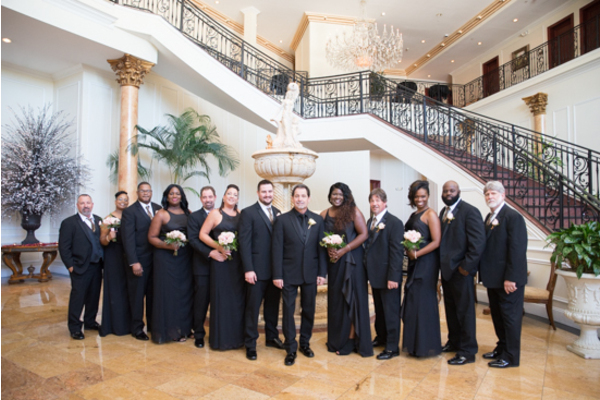 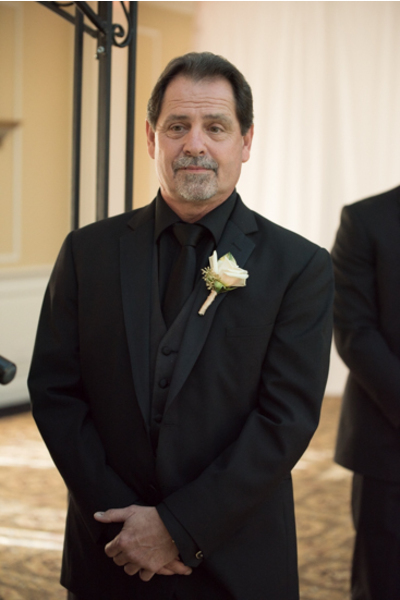 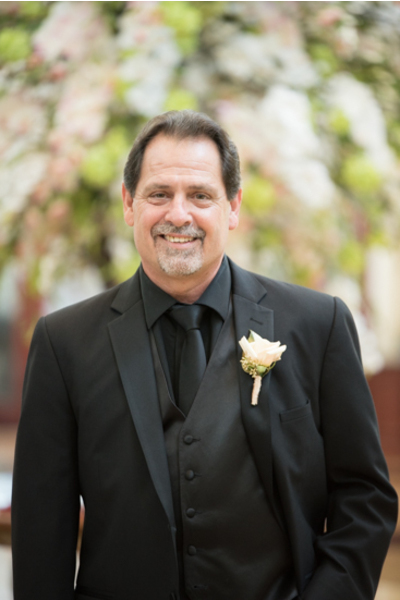 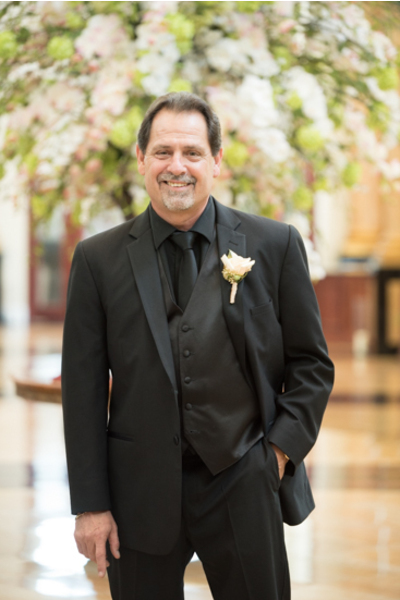 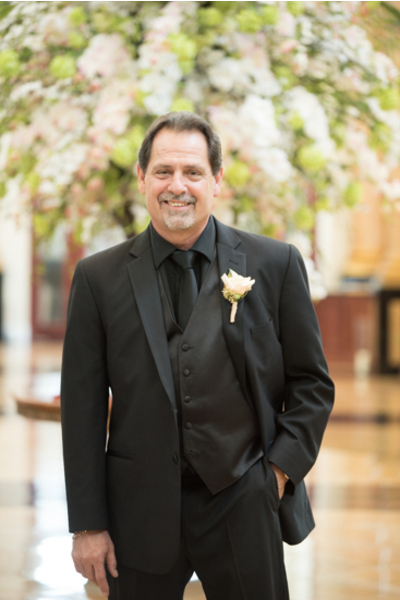 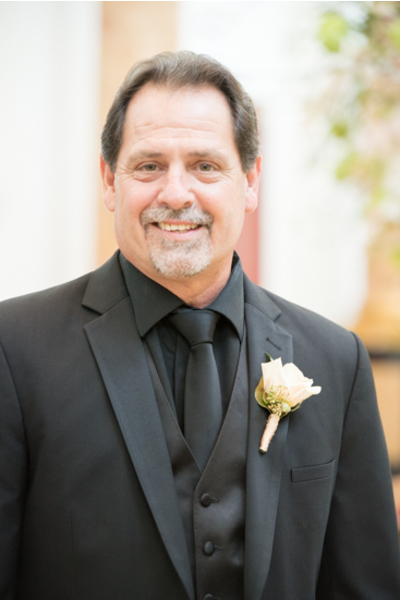 In elegant matching black dresses, they posed outside alongside Taisha while Don was getting ready to look his best. 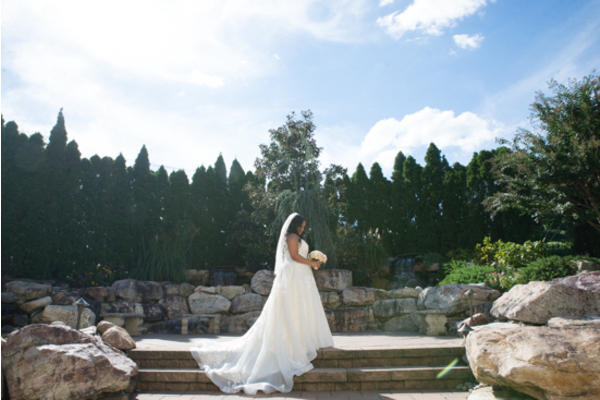 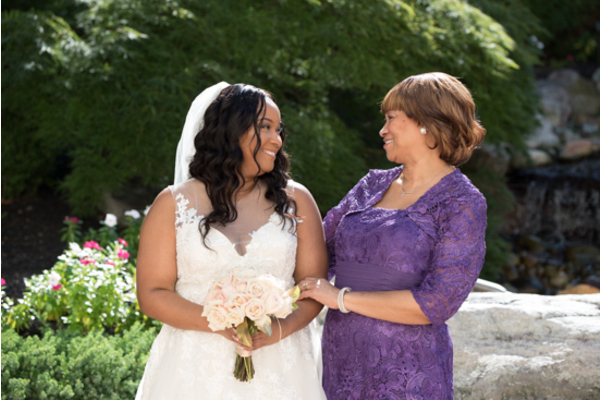 Taisha’s magnificent white gown perfectly complimented her glamorous hairstyle. 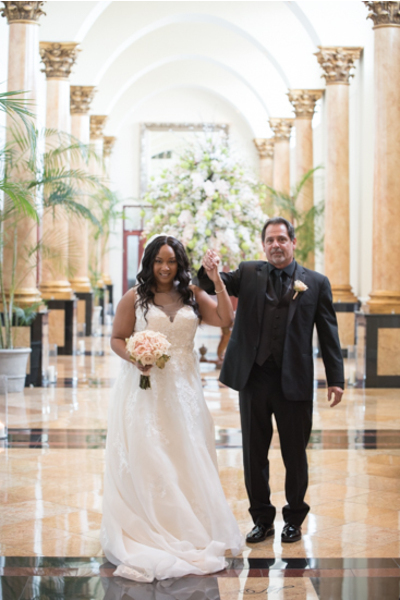 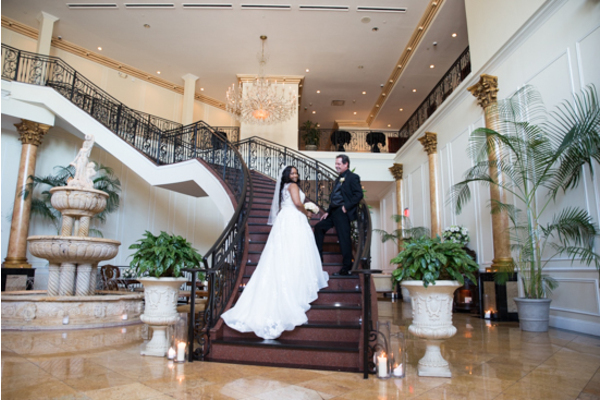 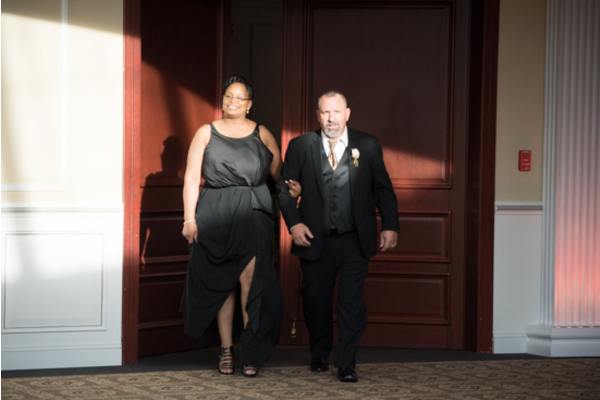 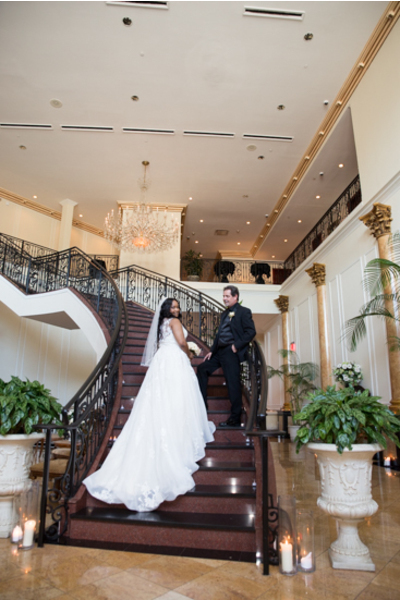 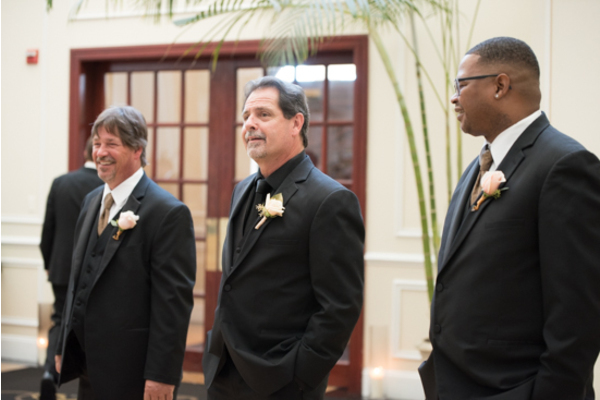 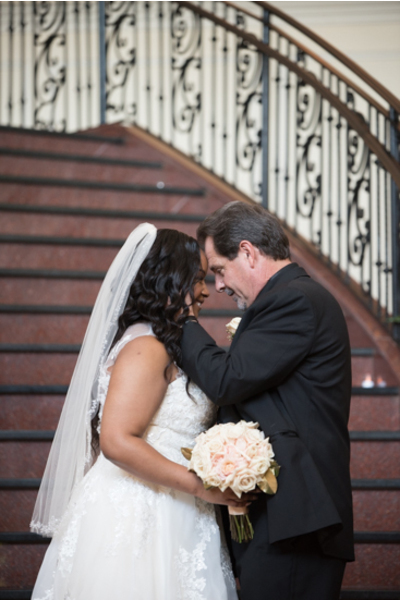 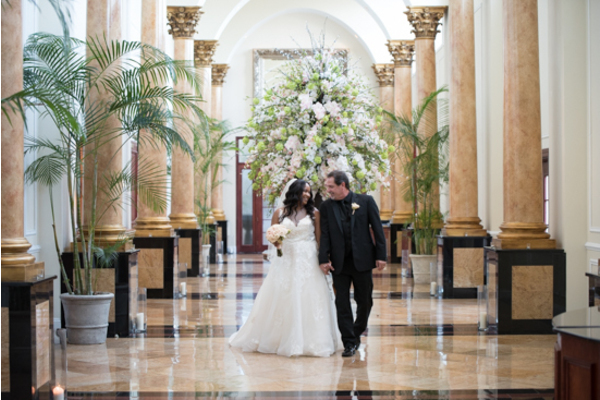 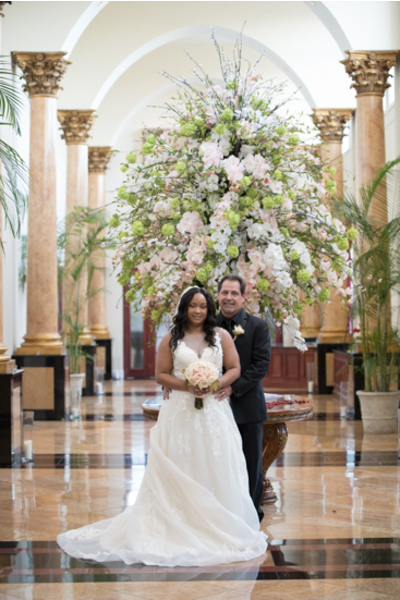 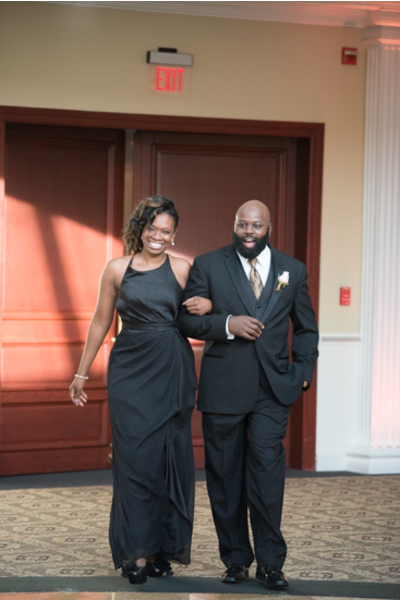 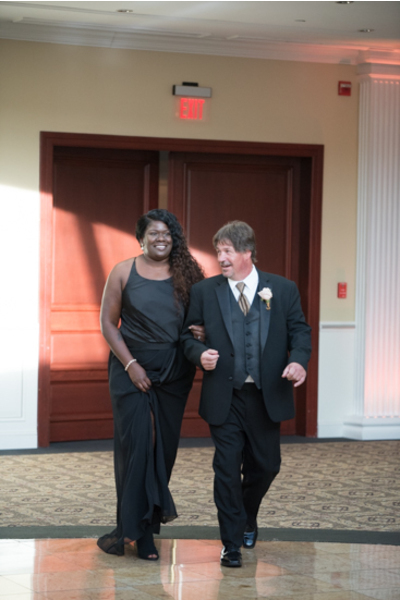 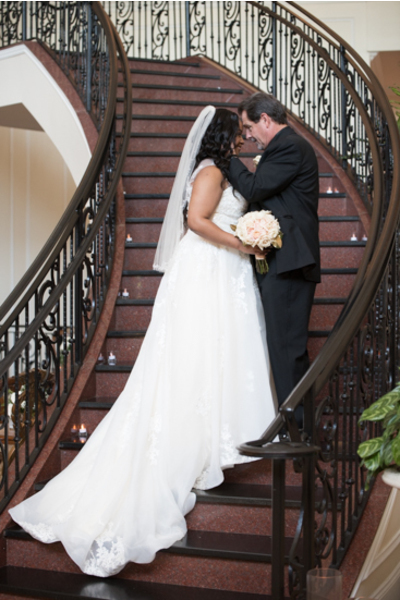 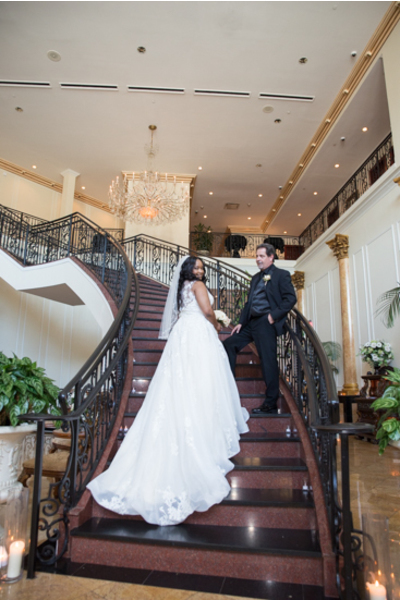 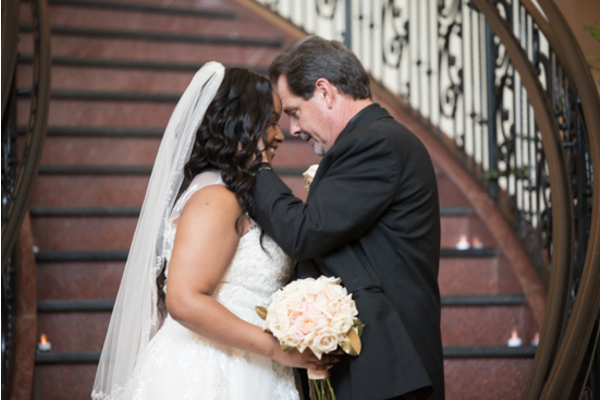 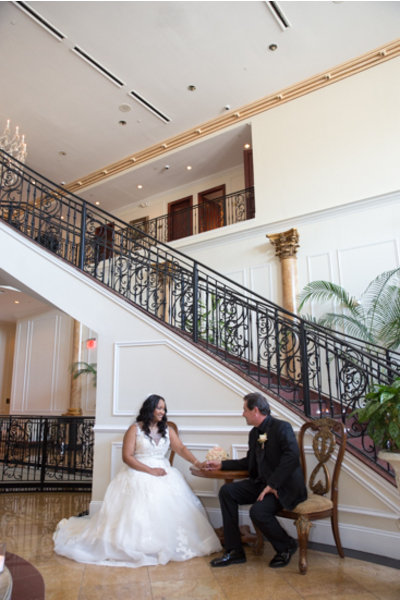 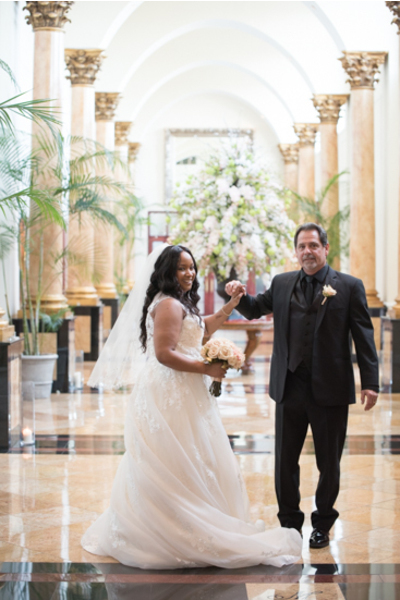 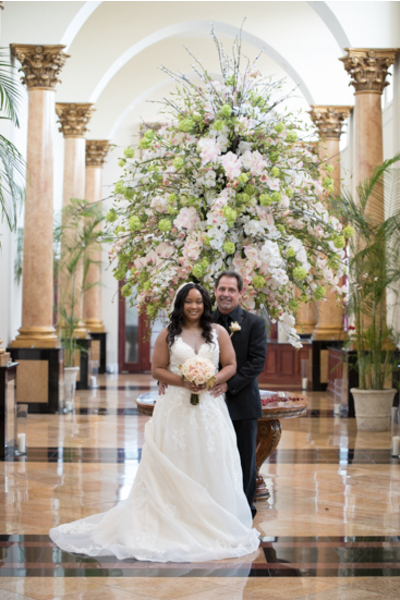 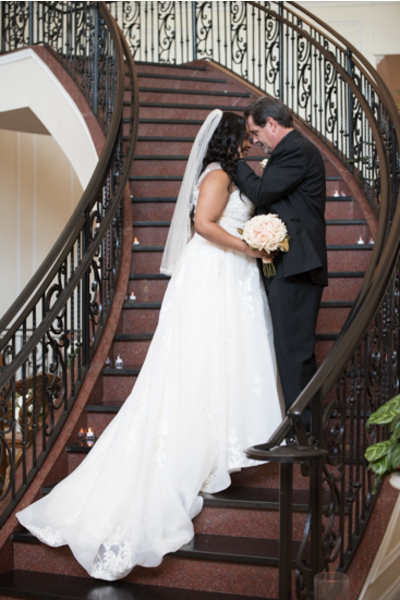 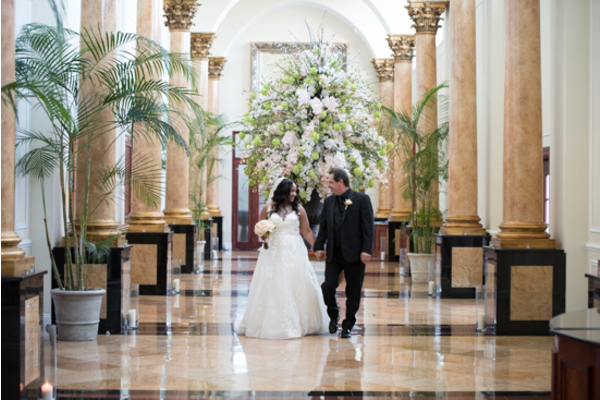 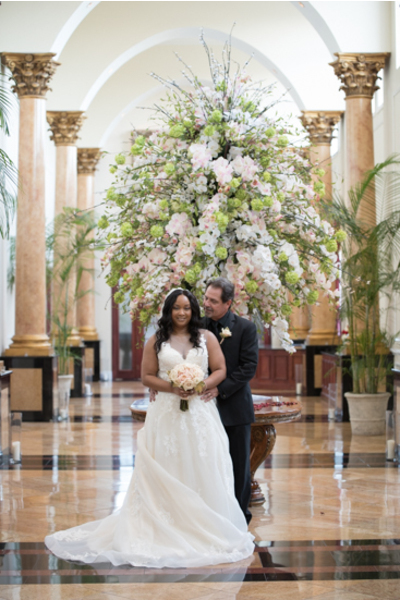 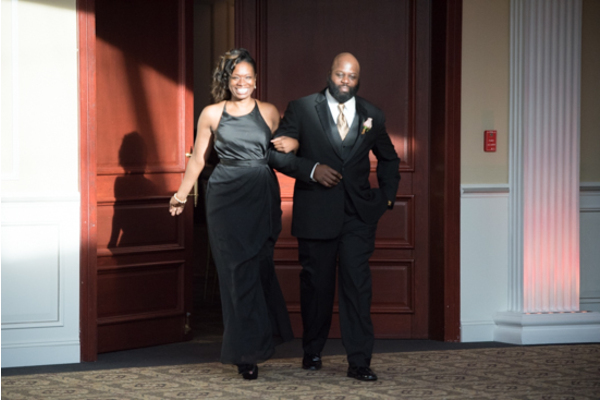 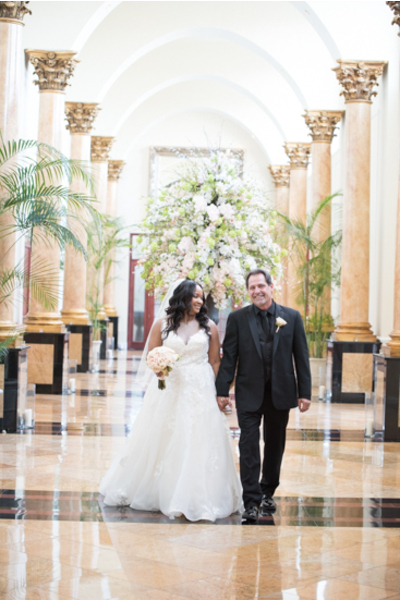 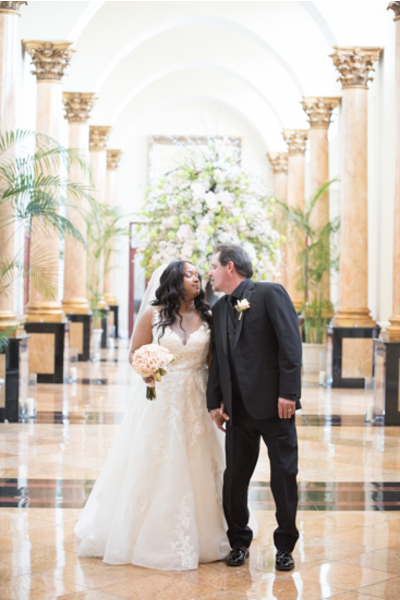 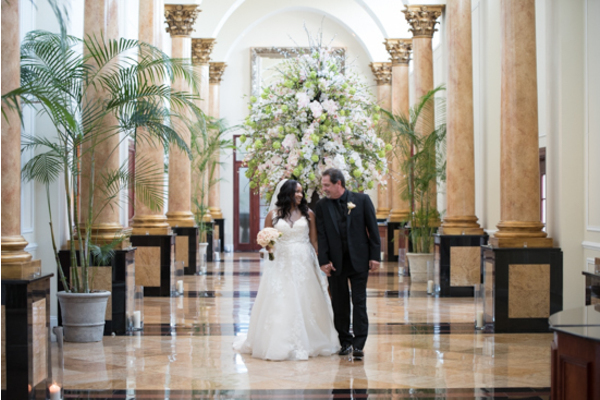 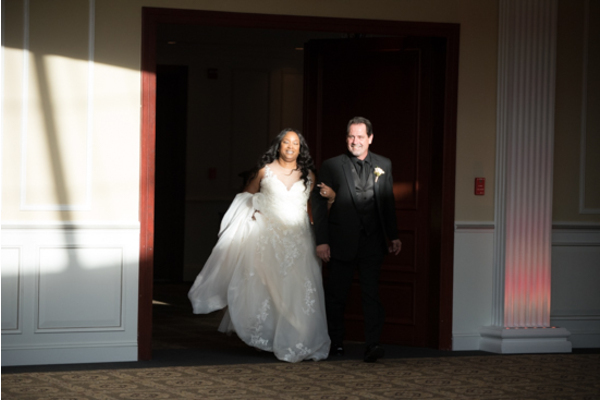 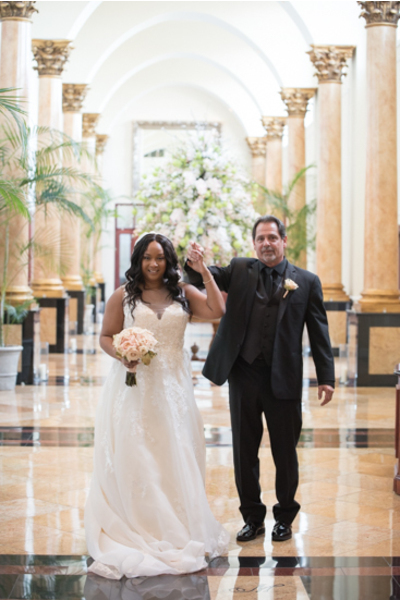 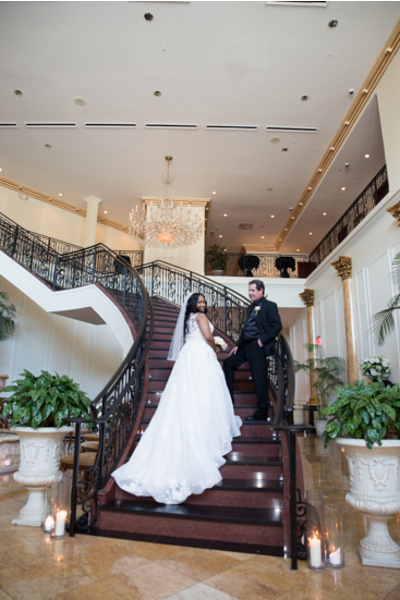 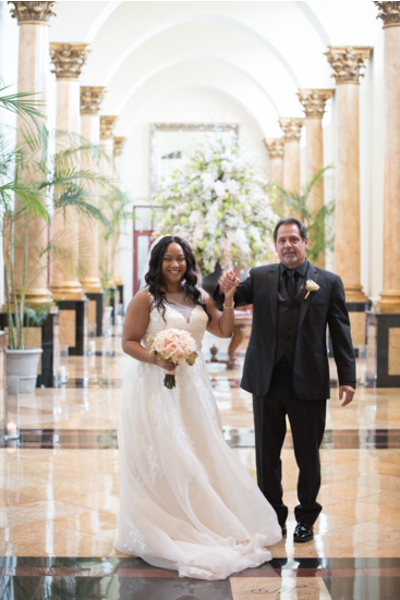 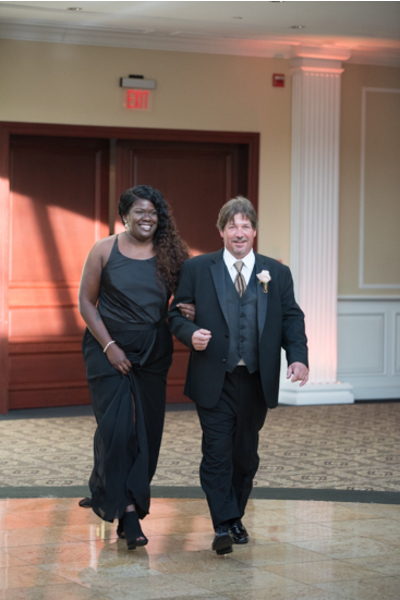 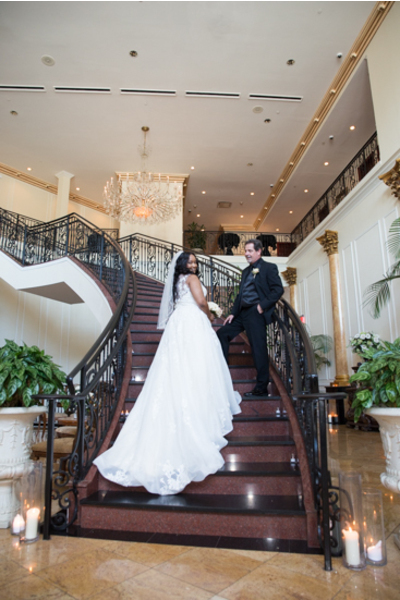 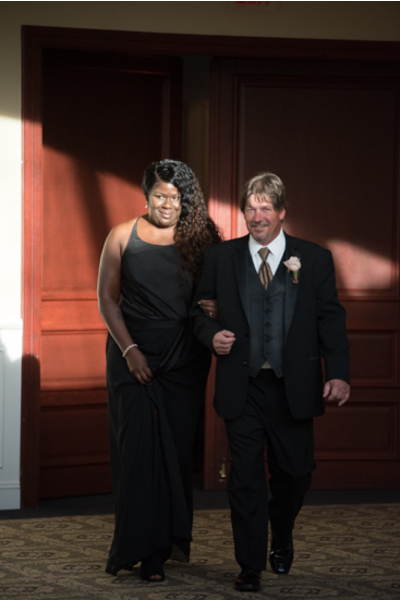 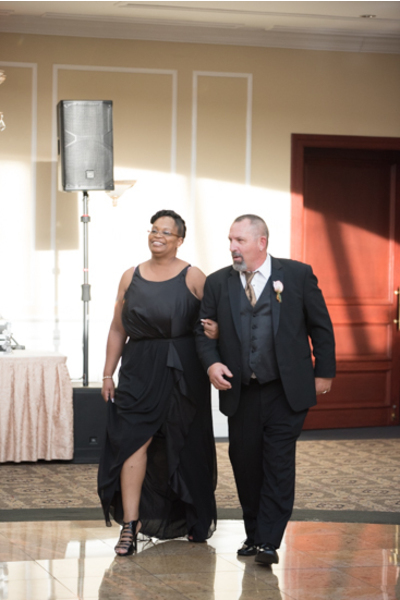 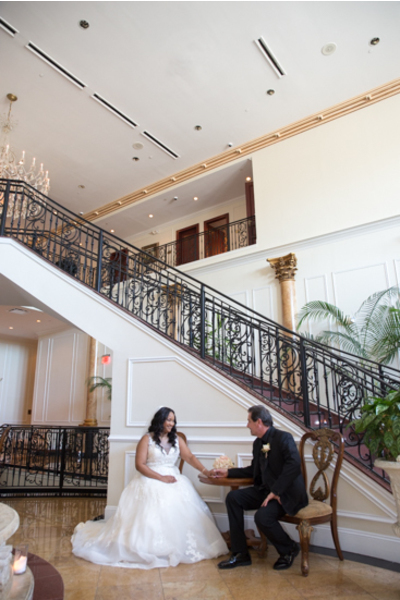 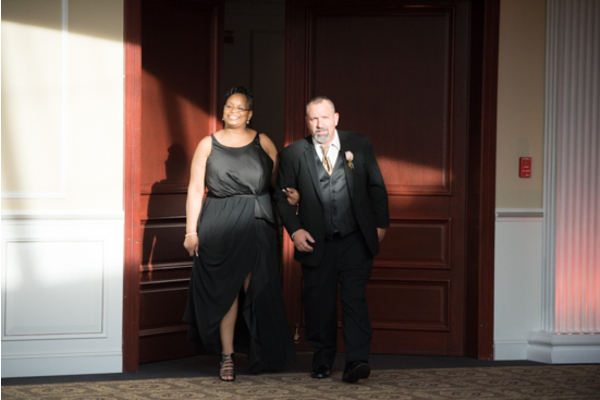 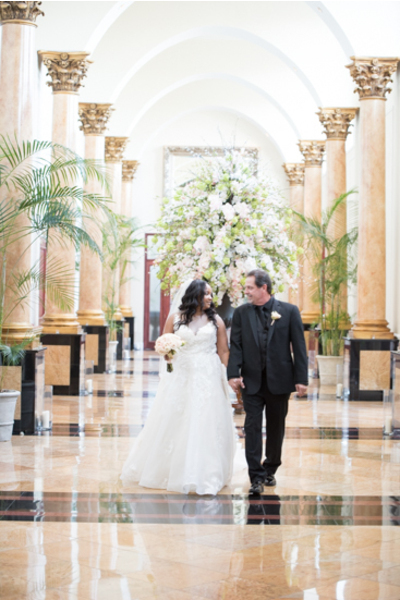 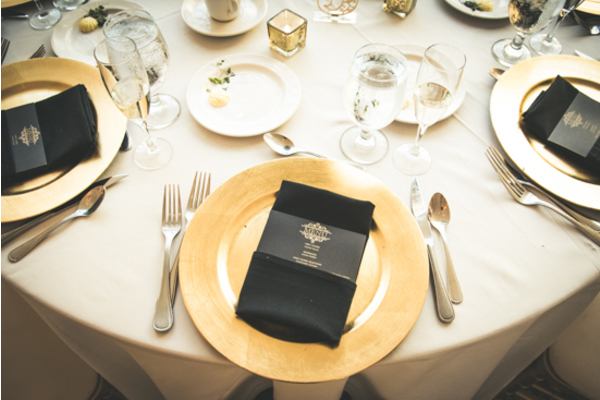 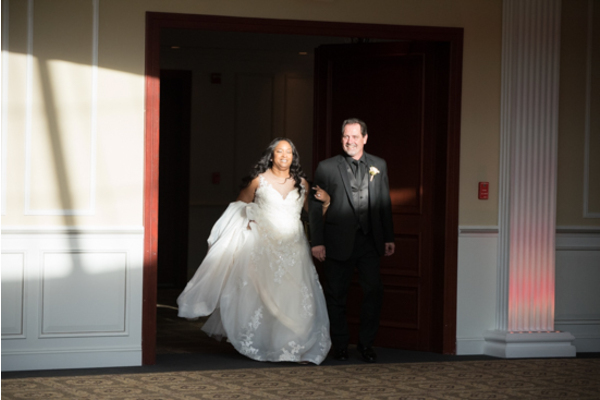 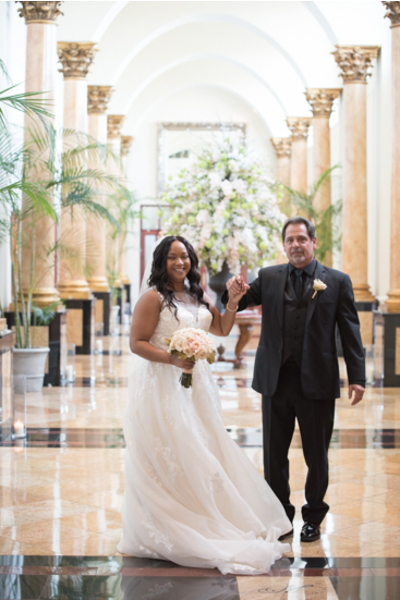 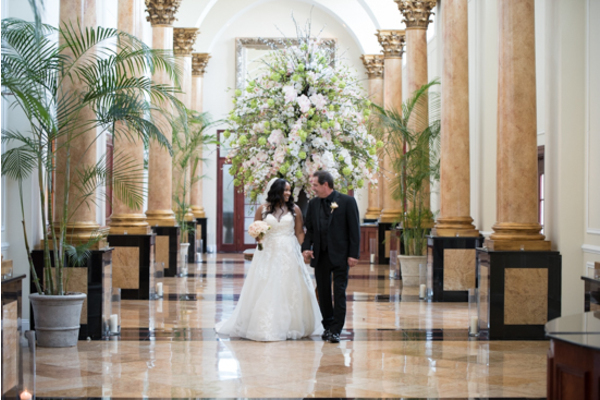 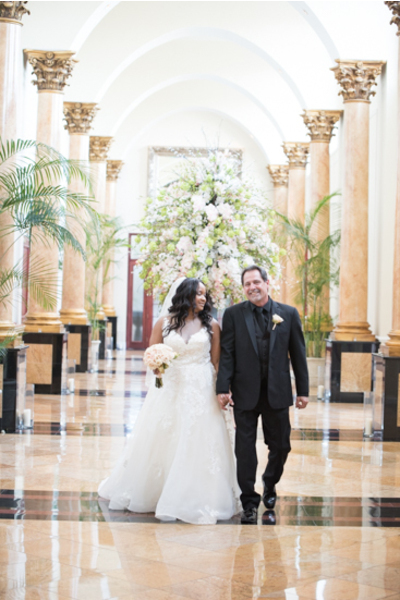 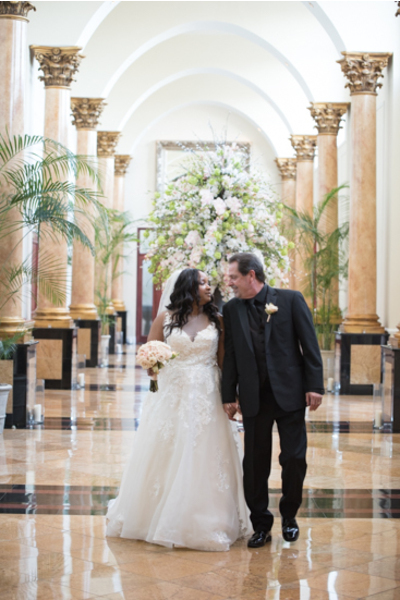 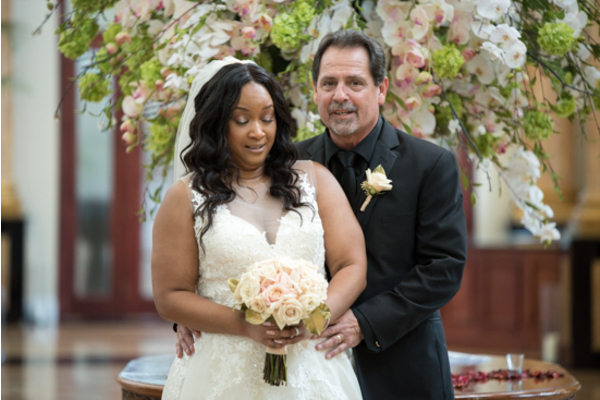 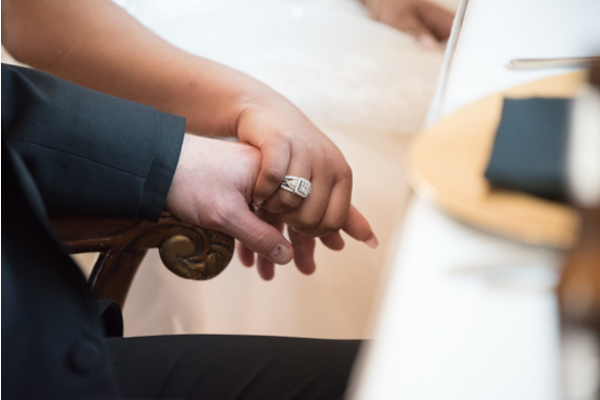 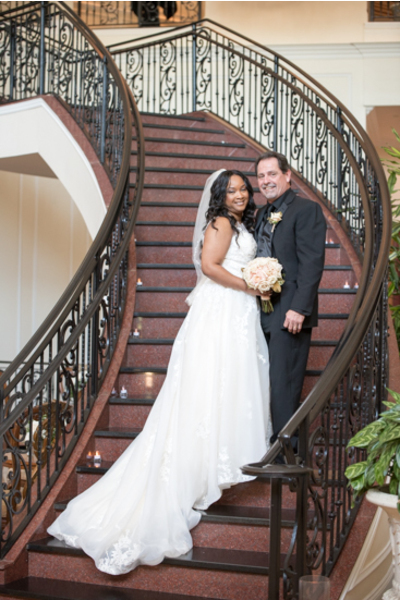 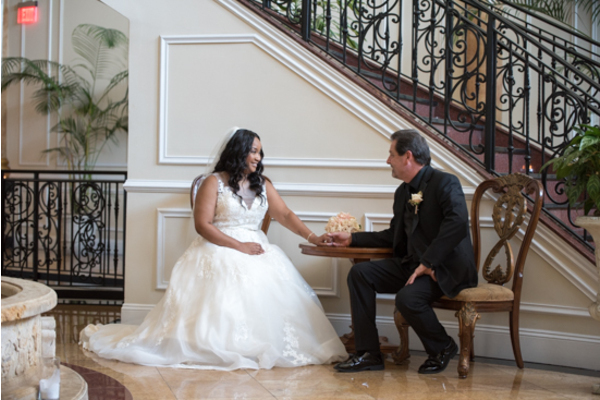 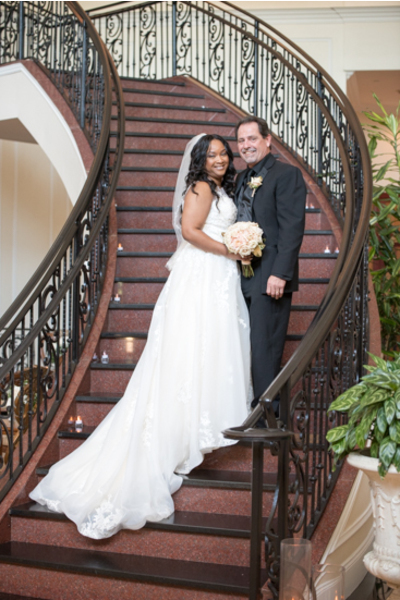 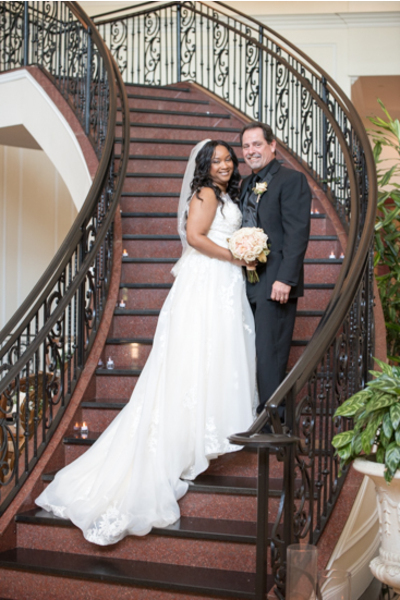 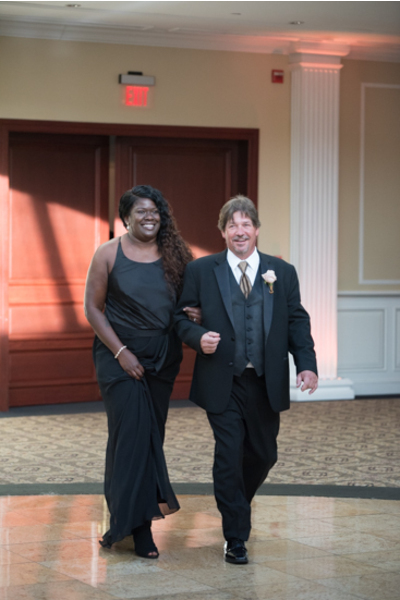 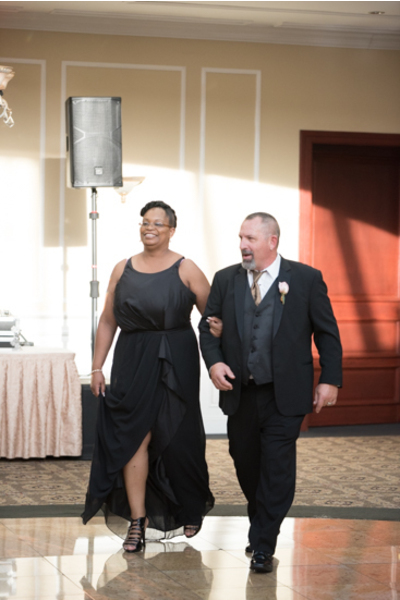 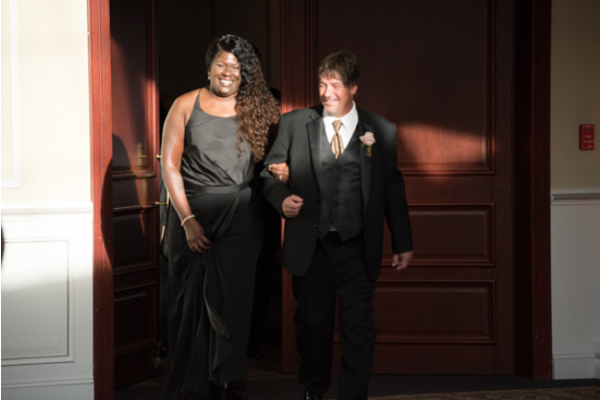 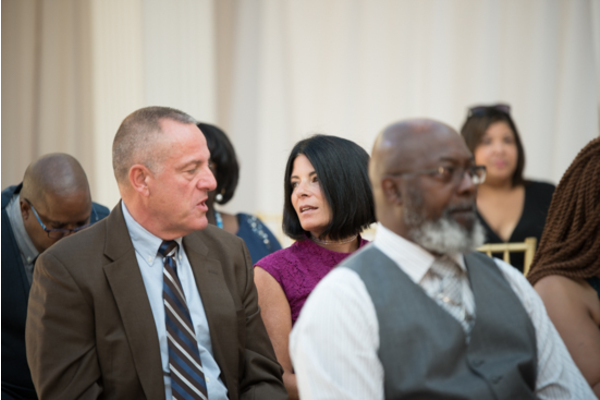 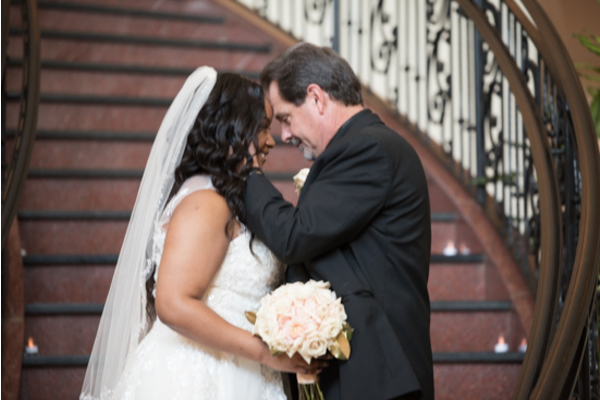 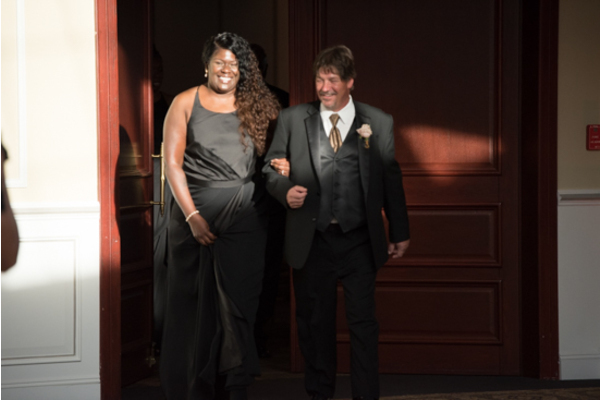 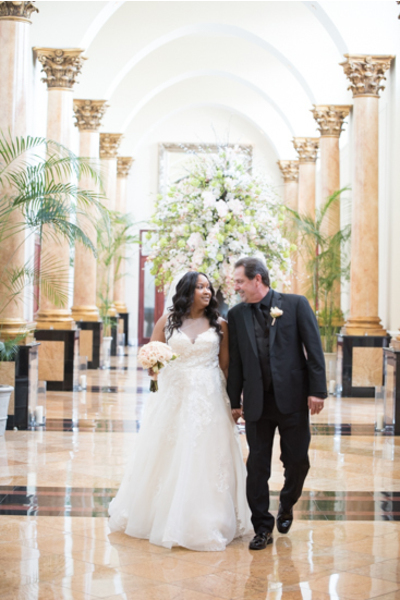 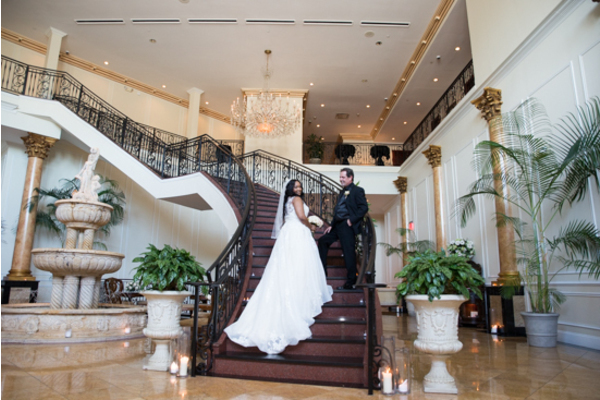 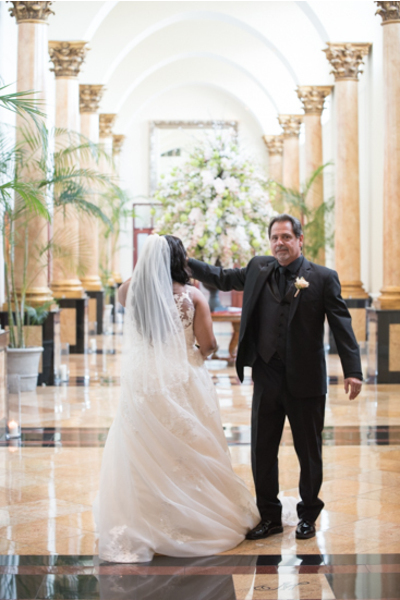 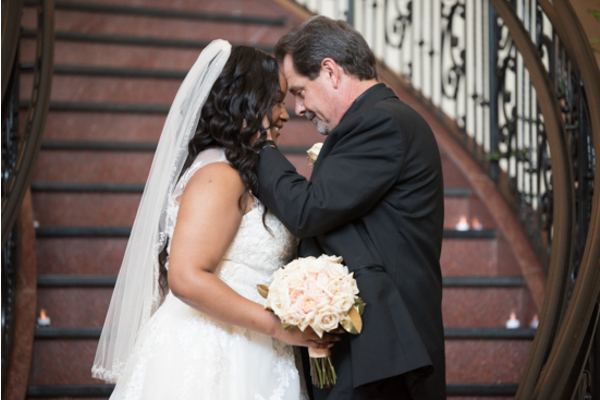 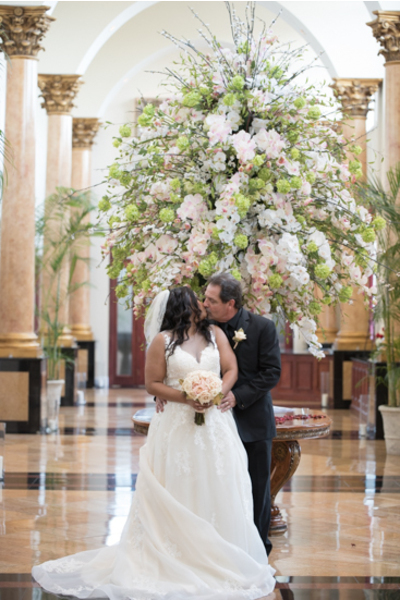 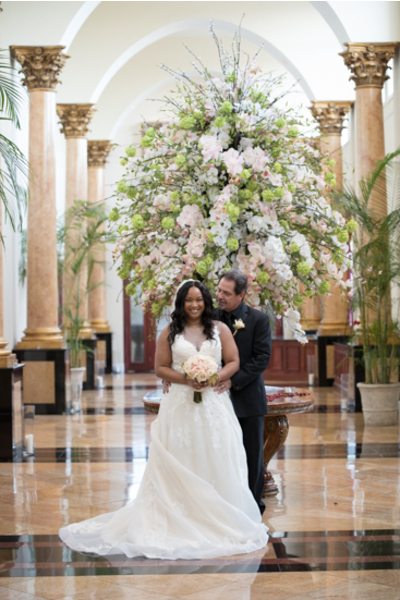 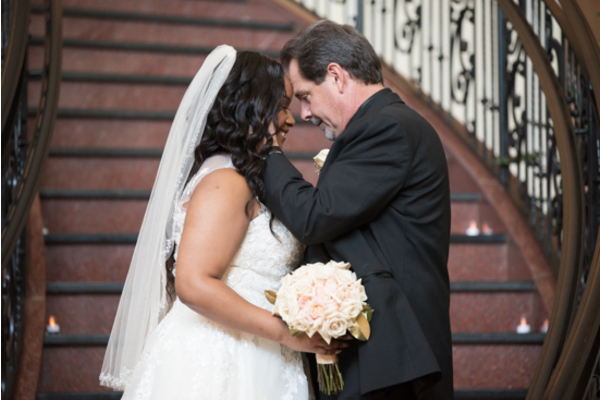 After the final details were in place, Taisha and Don were ready to head over to the ceremony. 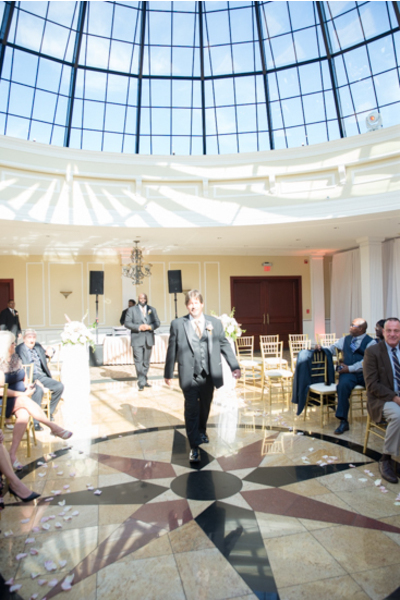 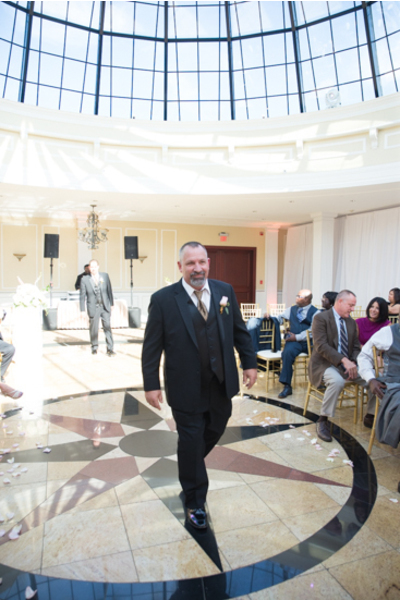 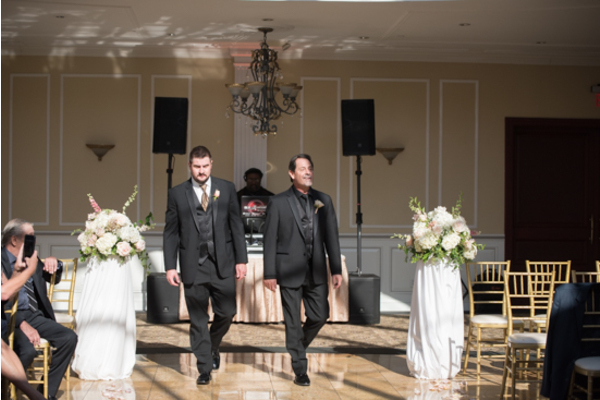 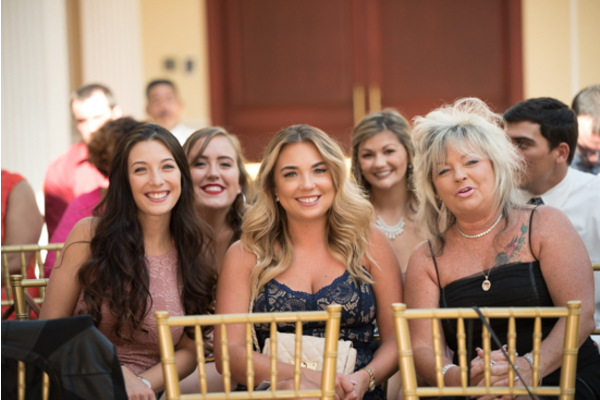 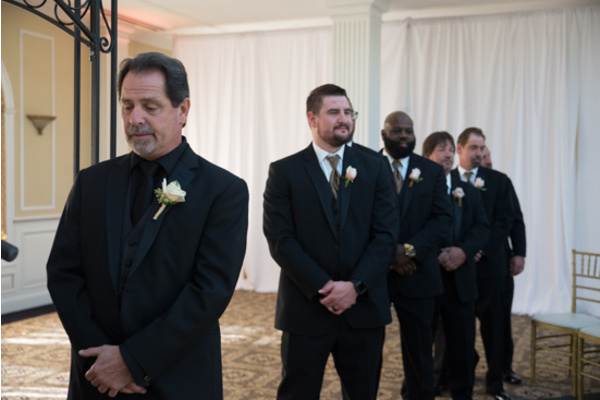 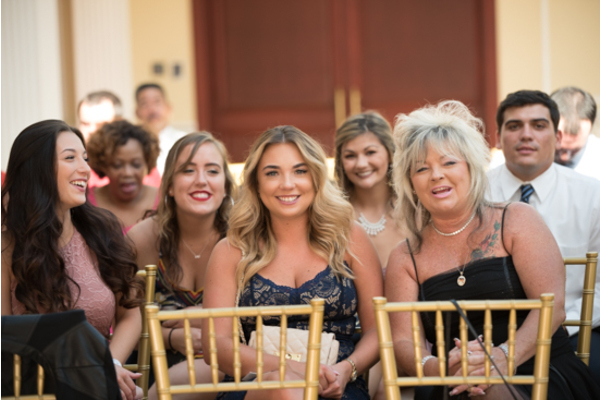 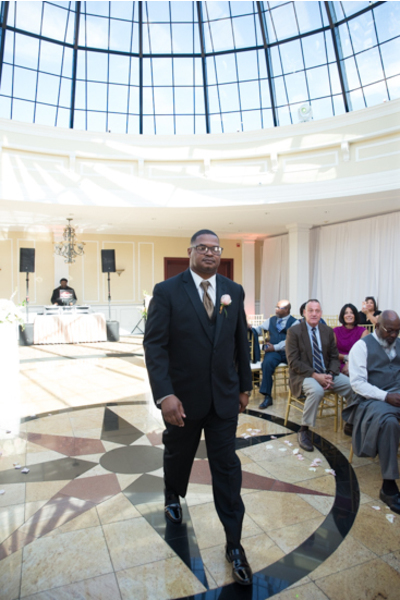 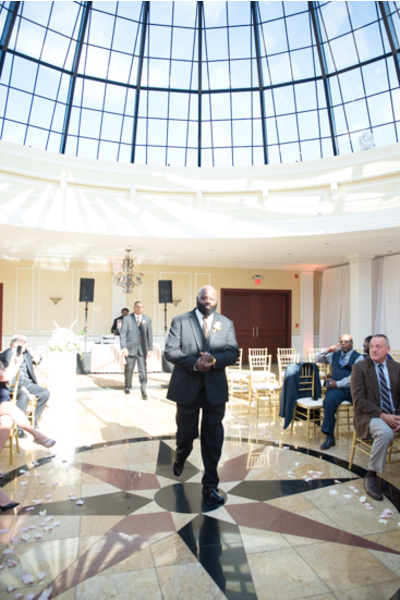 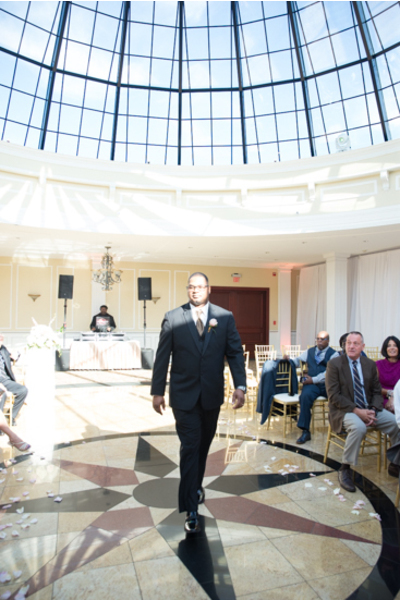 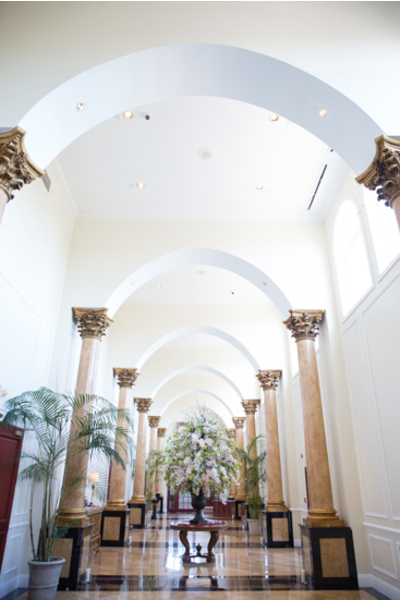 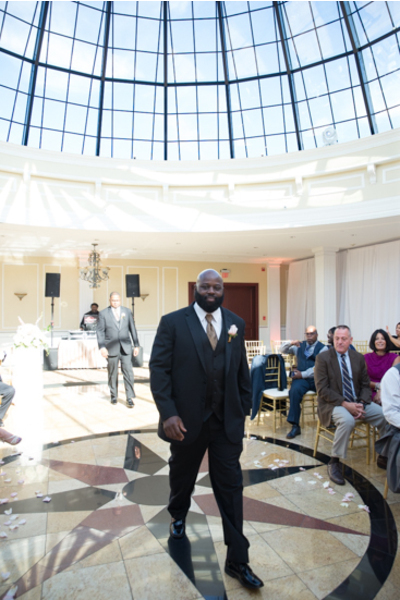 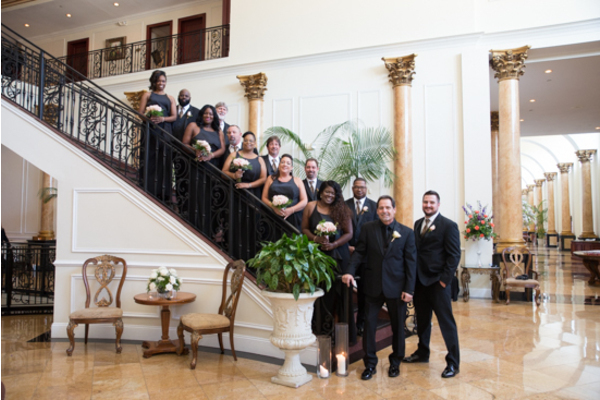 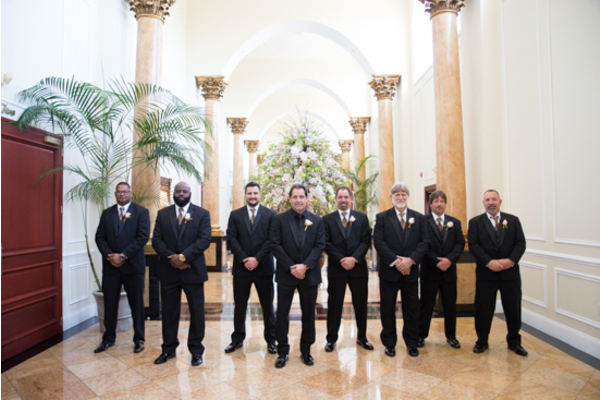 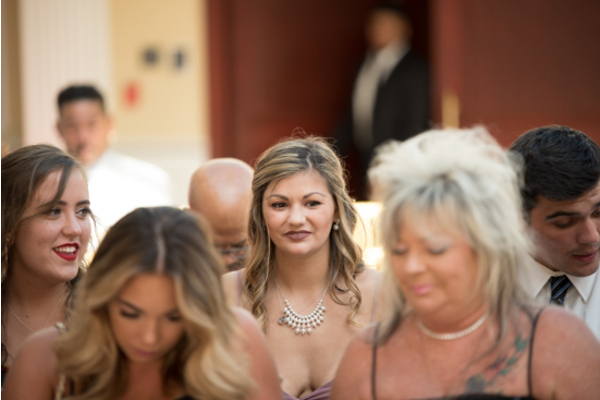 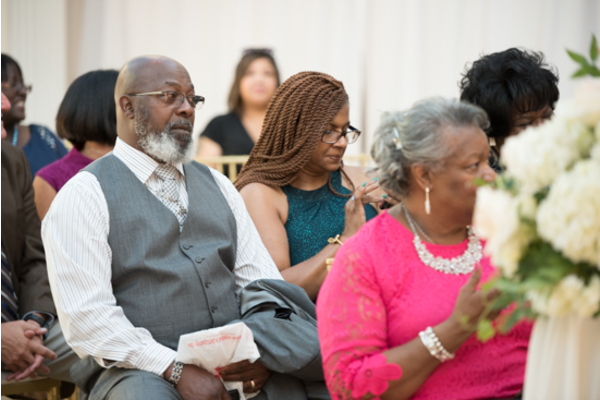 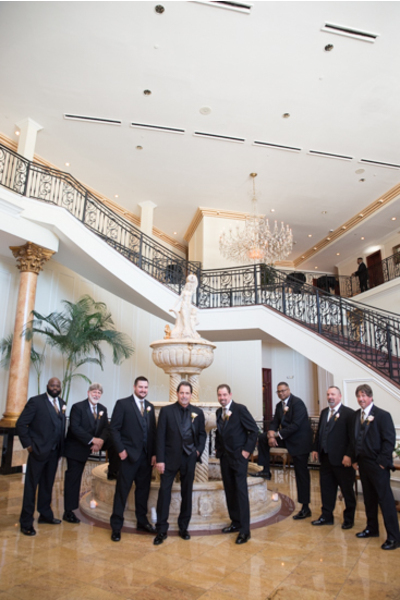 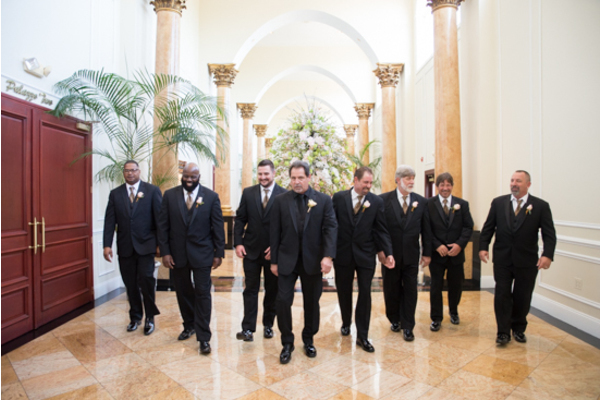 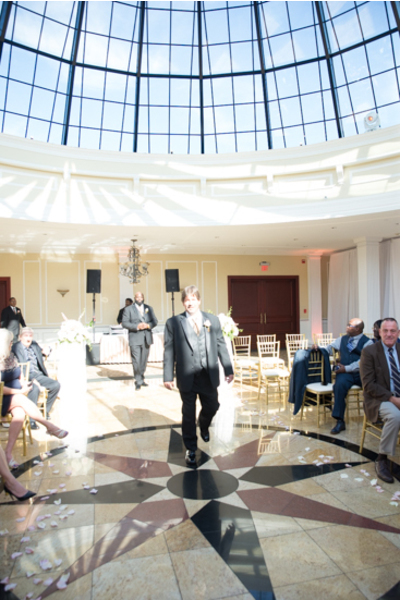 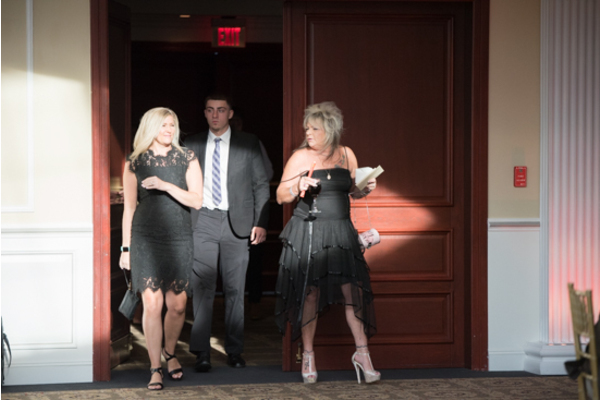 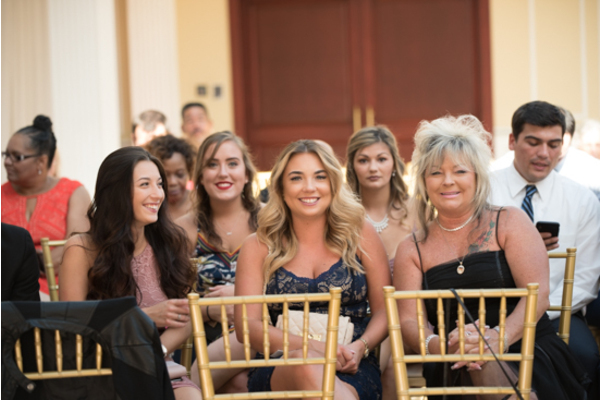 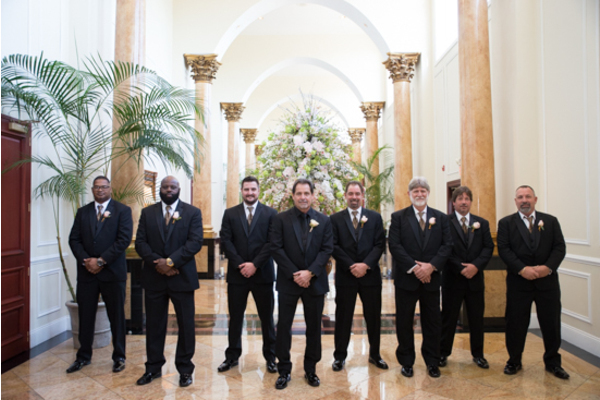 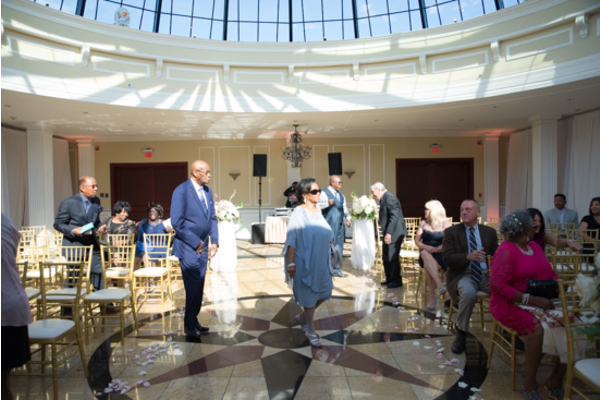 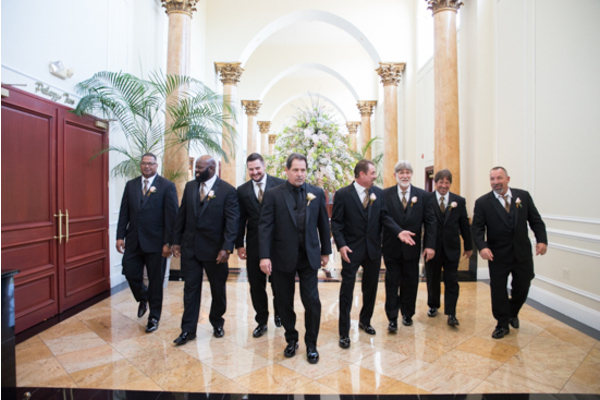 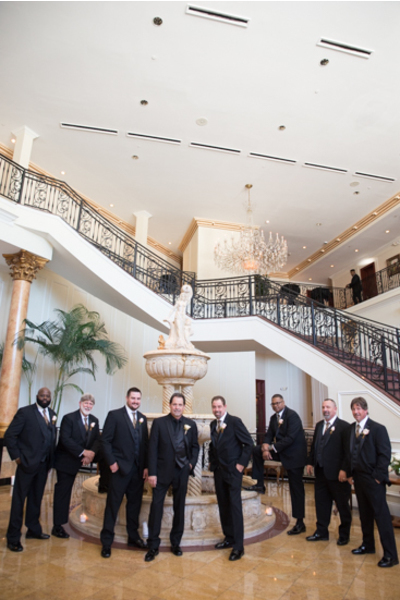 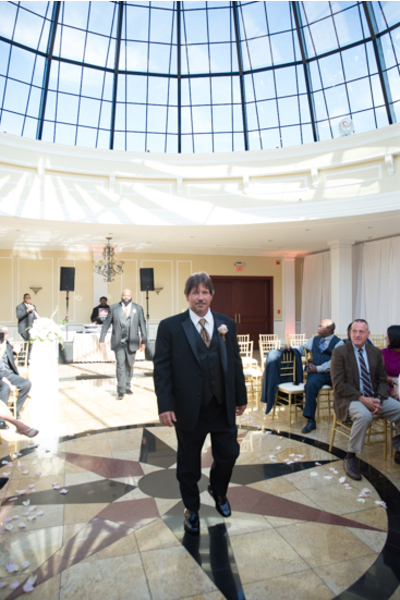 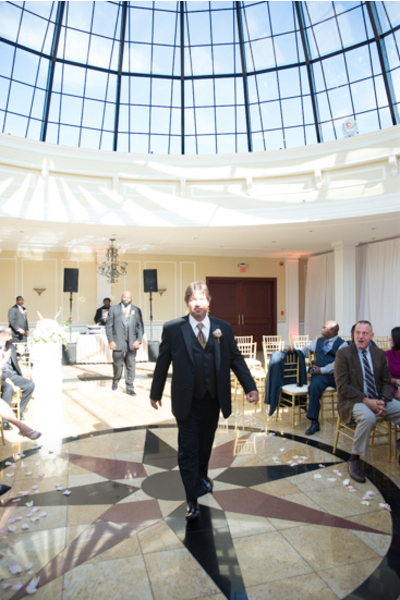 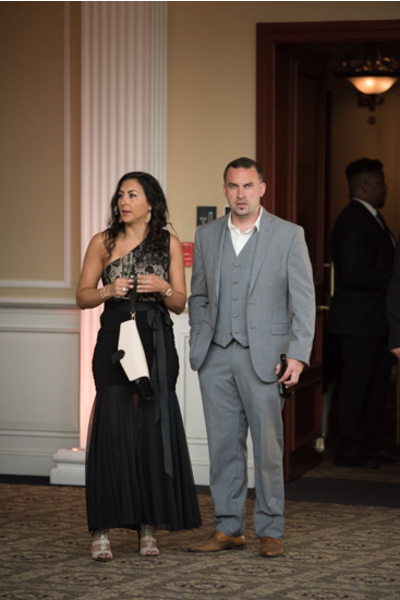 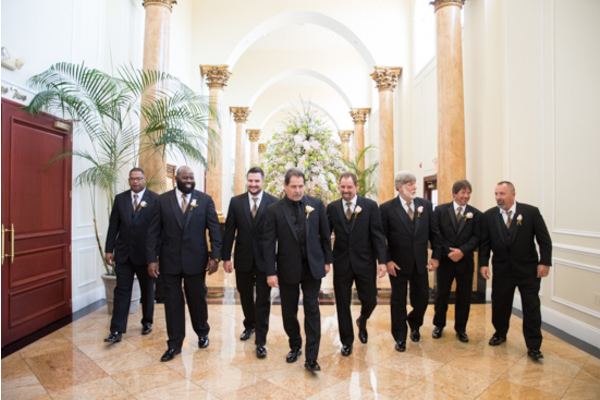 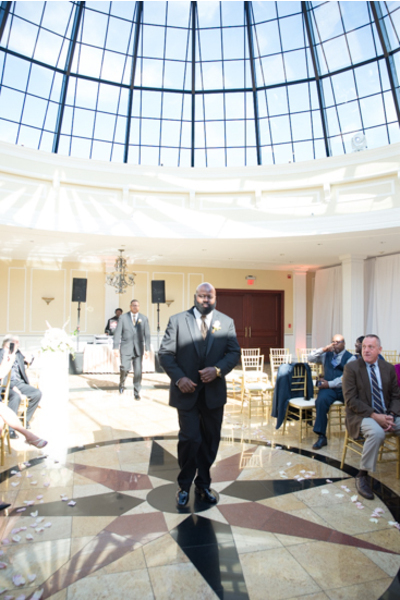 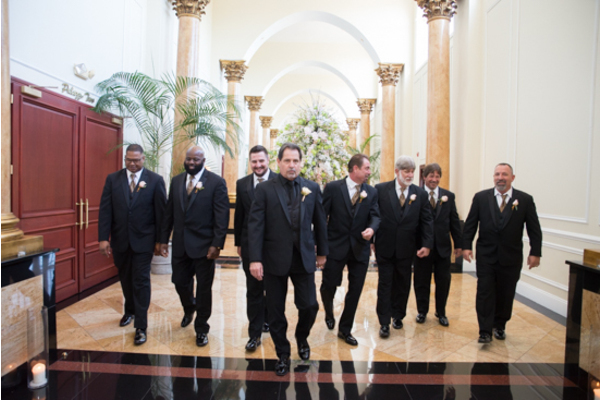 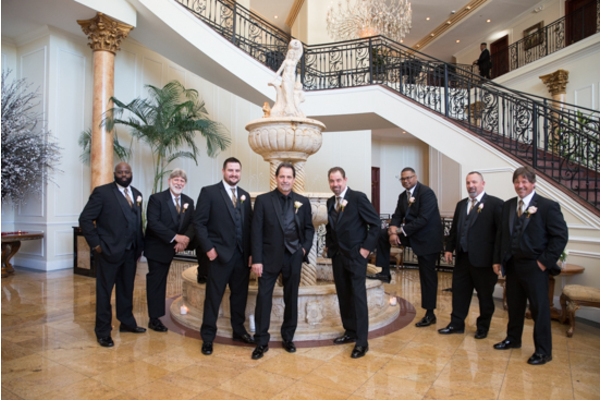 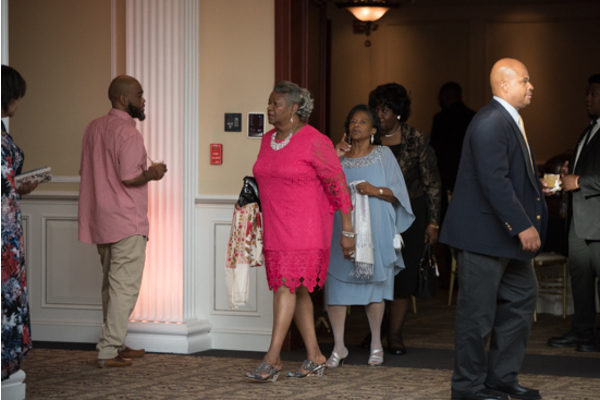 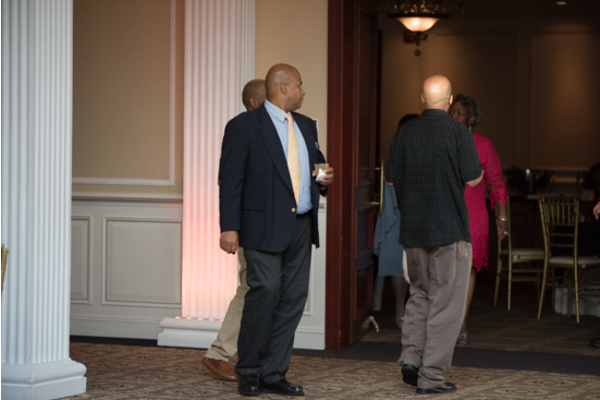 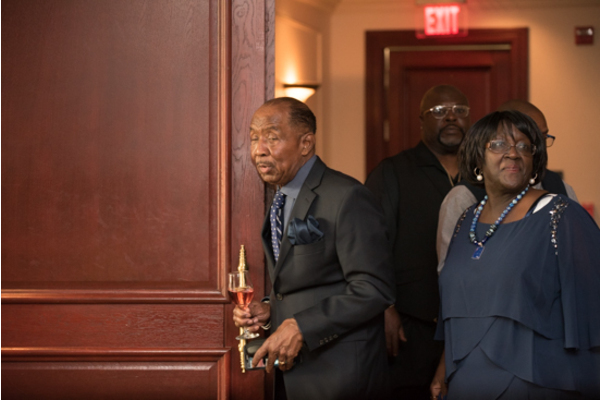 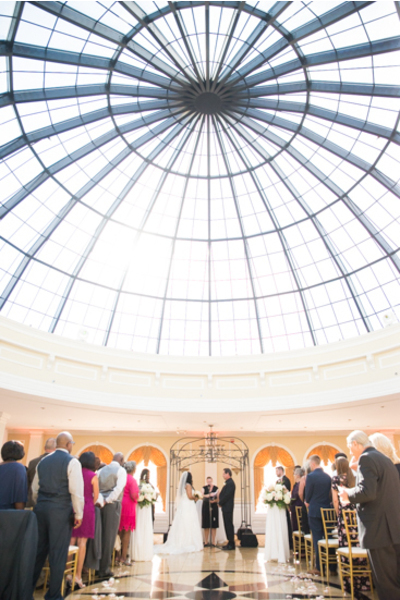 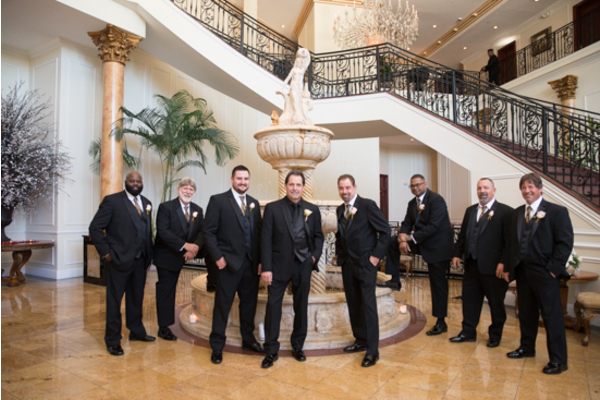 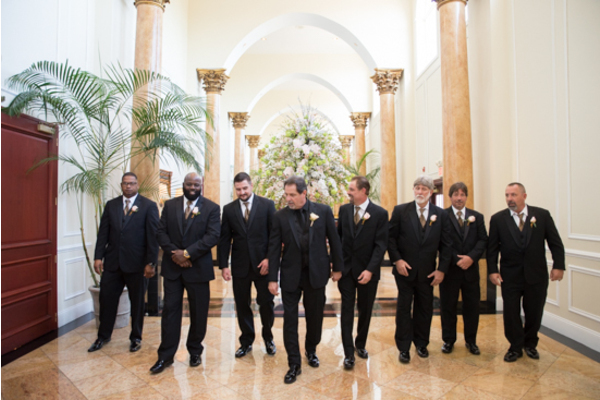 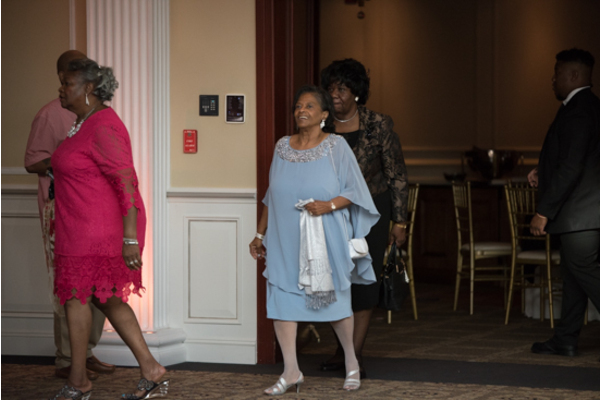 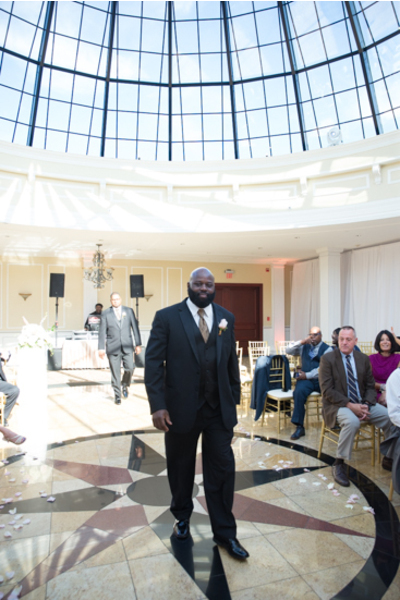 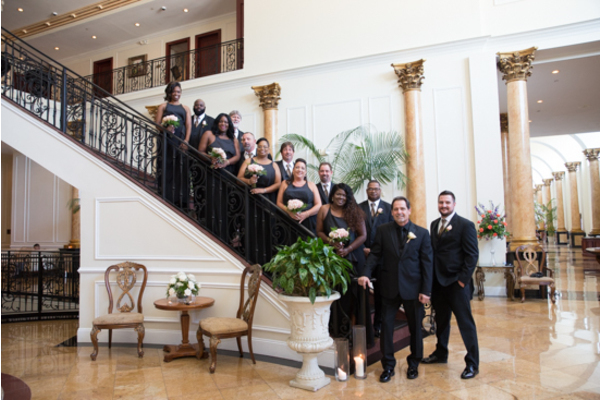 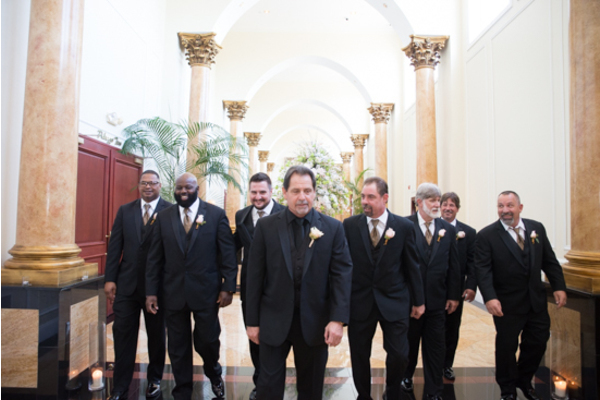 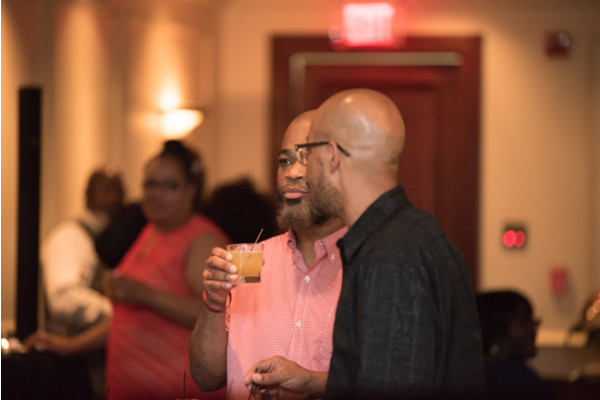 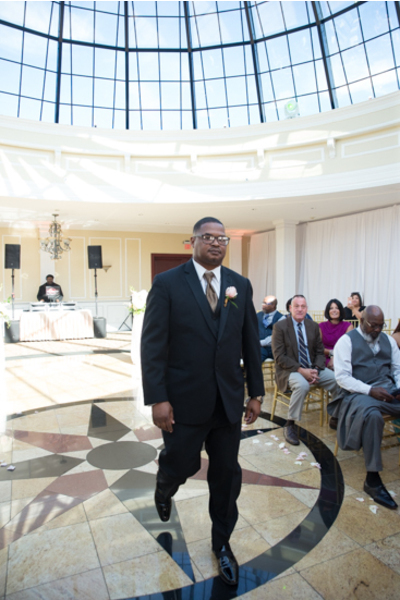 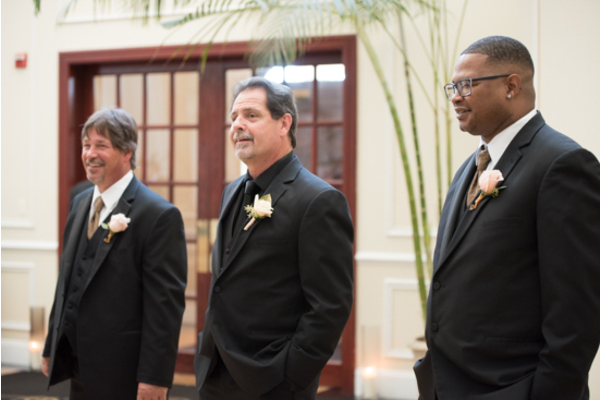 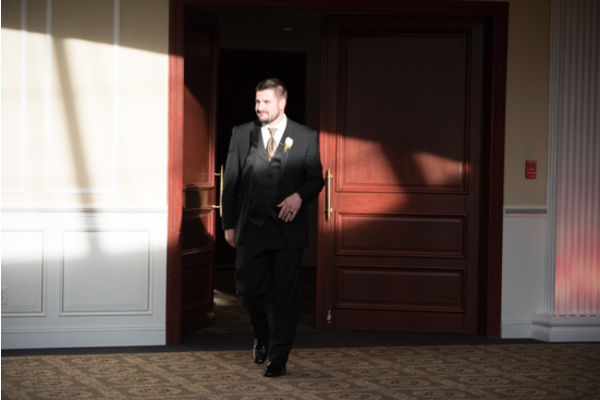 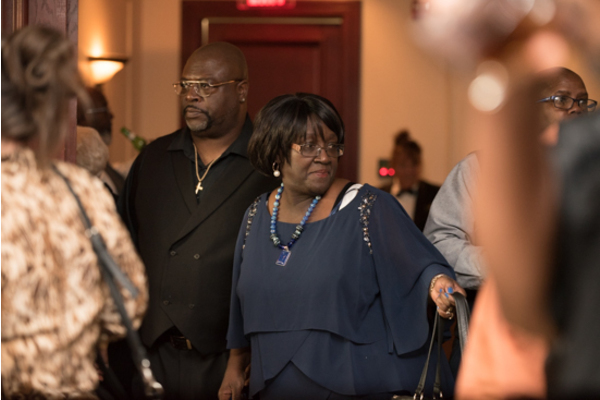 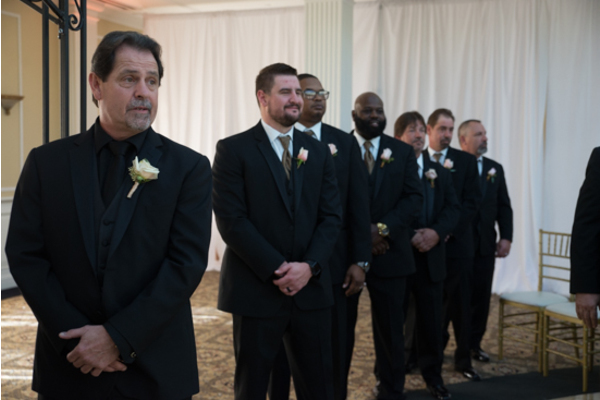 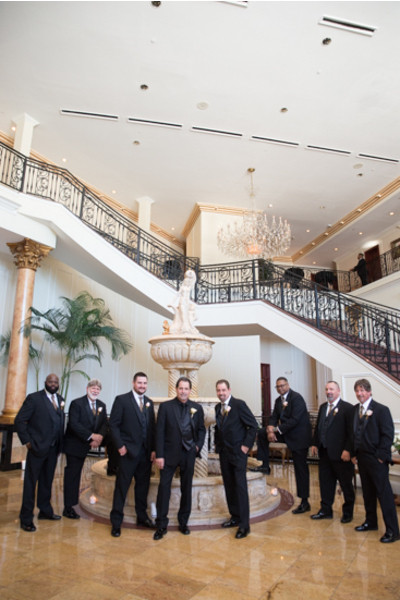 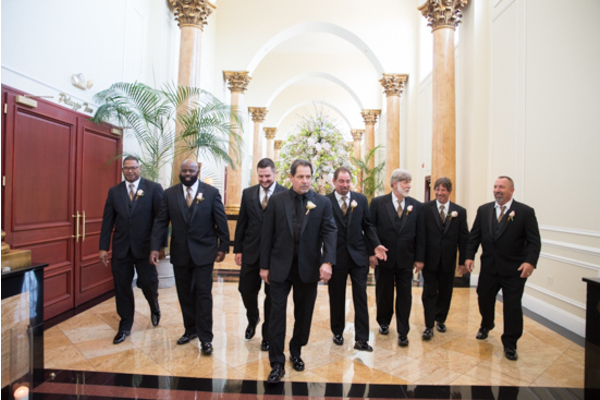 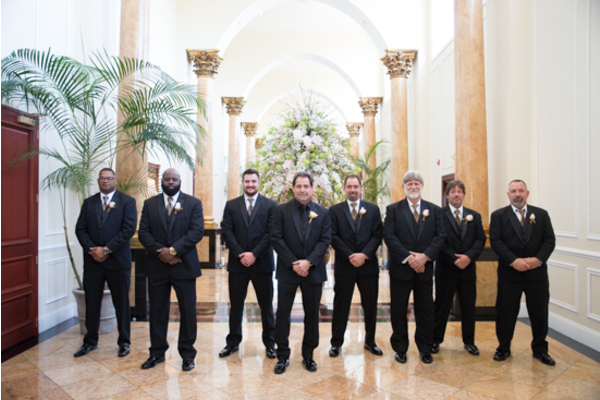 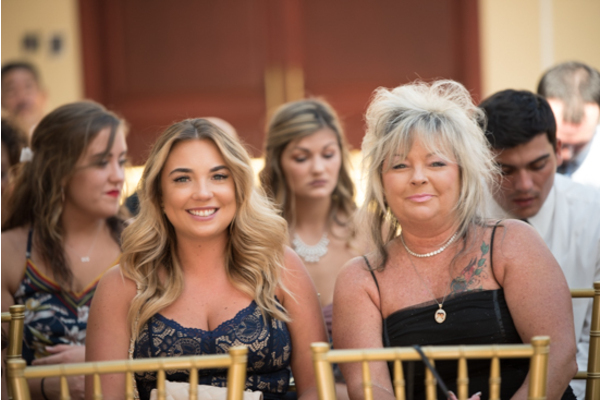 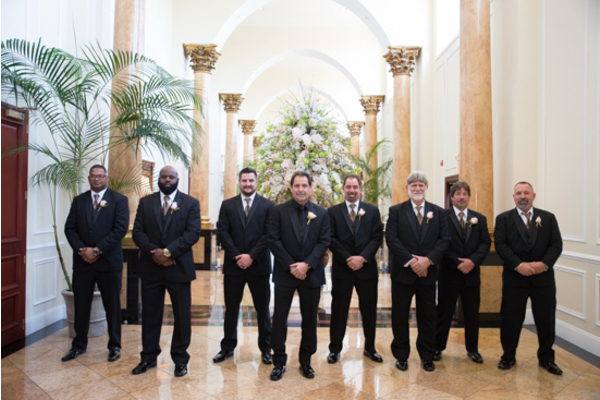 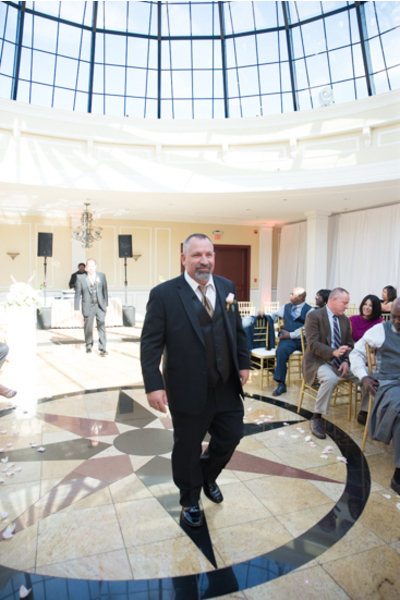 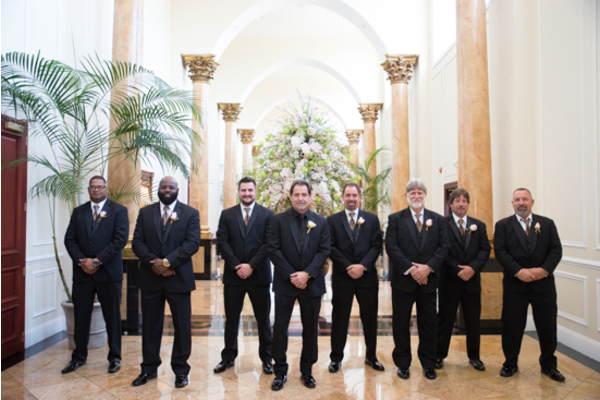 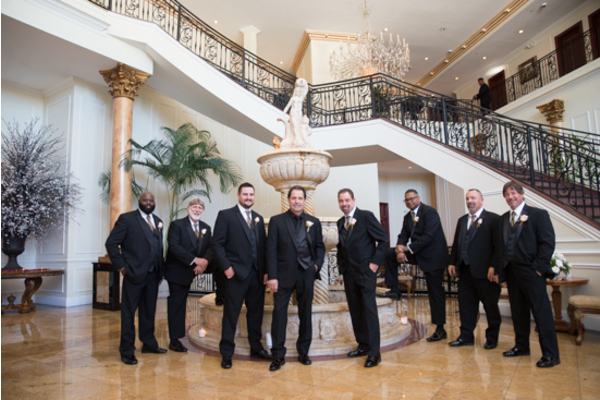 Guests made their way into the spacious ceremony venue as they eagerly awaited Taisha’s grand entrance. 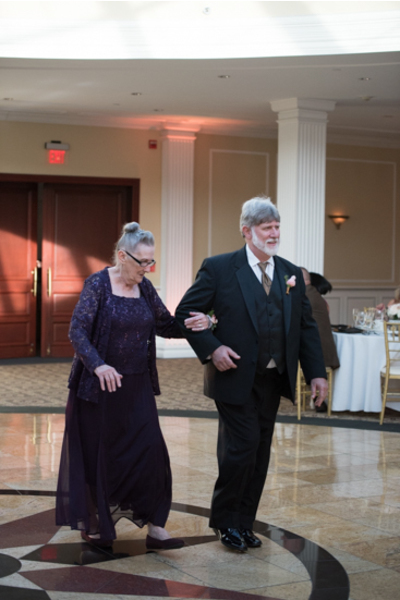 Don was so happy to see her and could not take his eyes off of her! 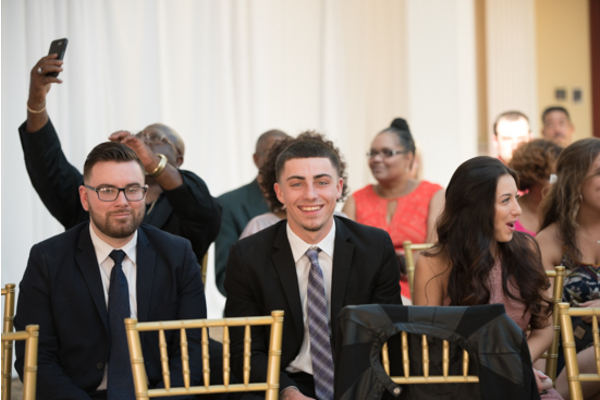 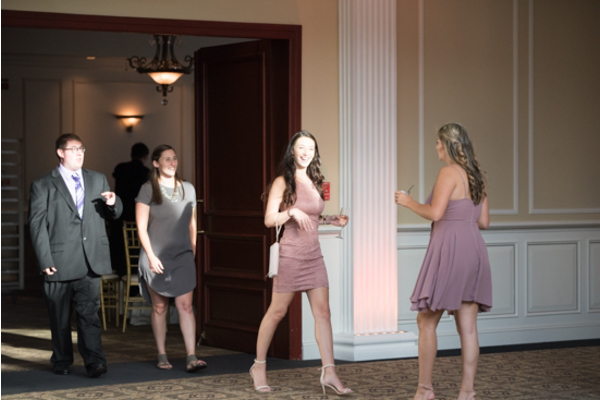 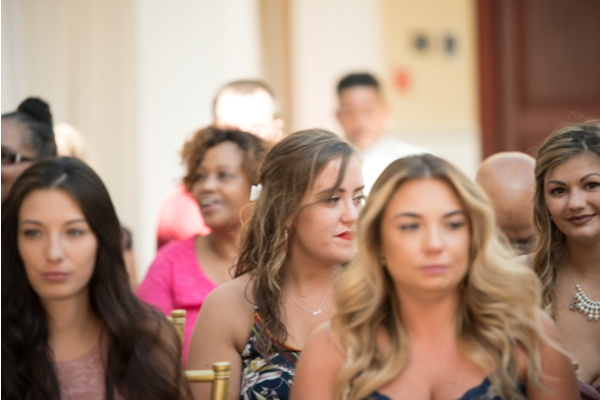 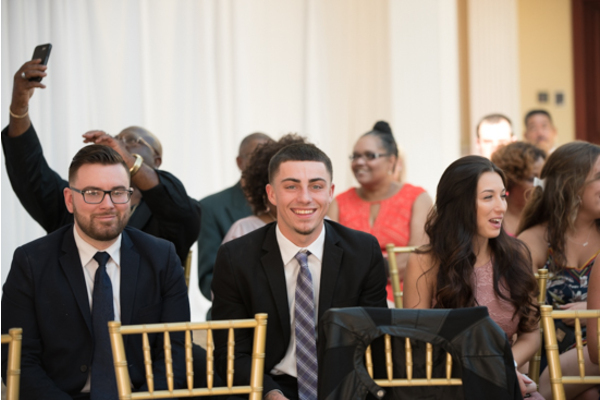 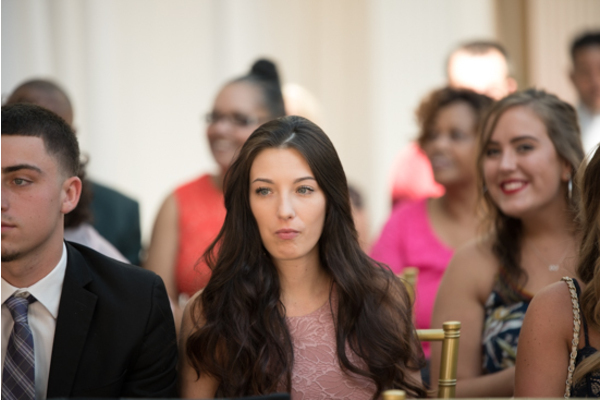 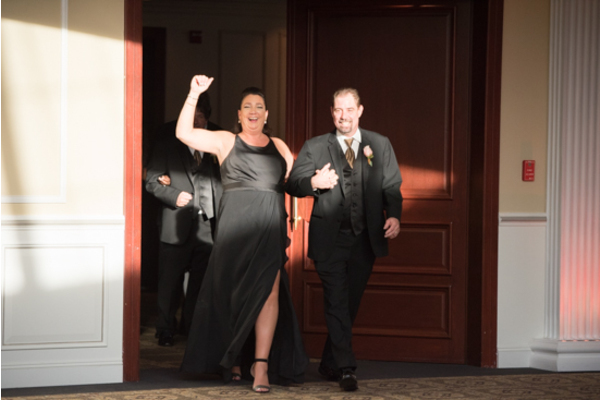 Our NJ Wedding Photographer photographed both of their reactions! 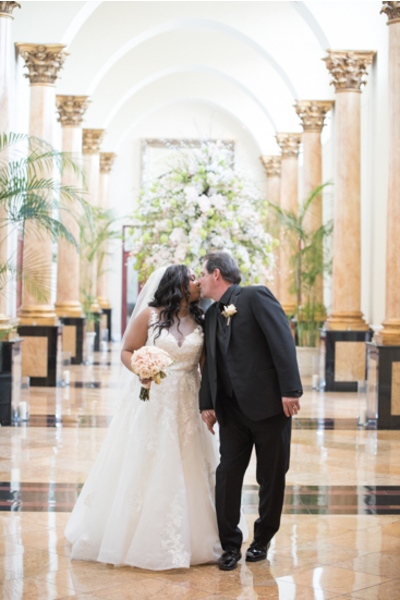 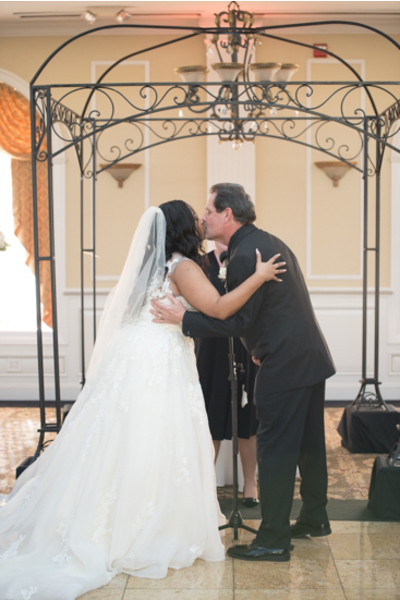 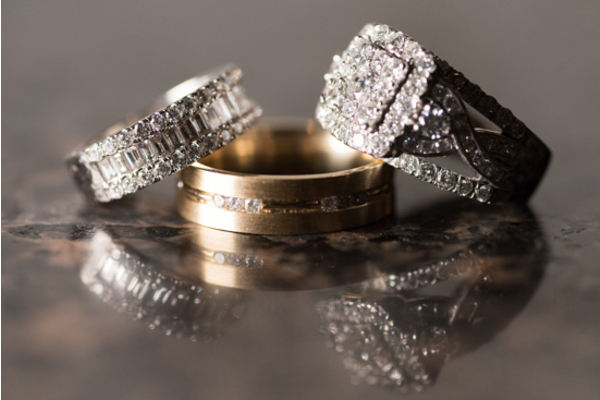 After the “I do’s,” they sealed their marriage with a kiss. 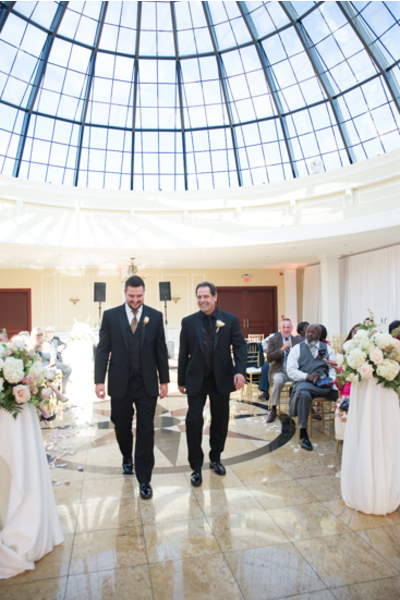 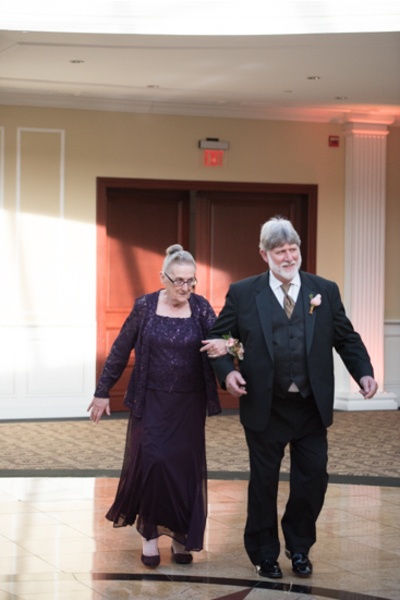 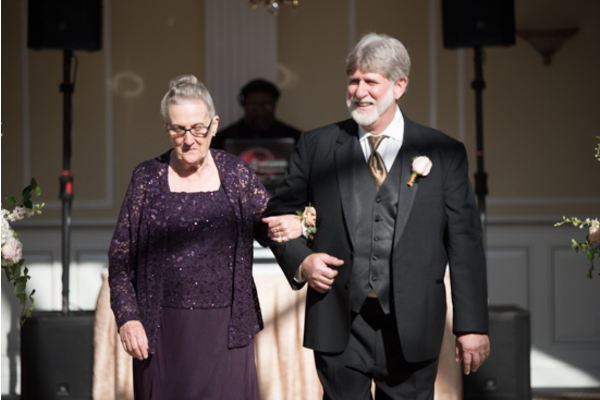 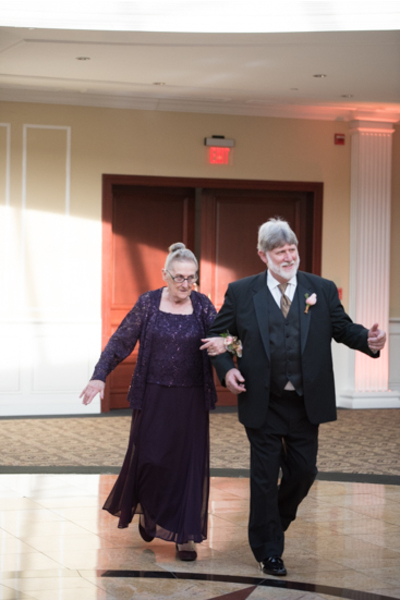 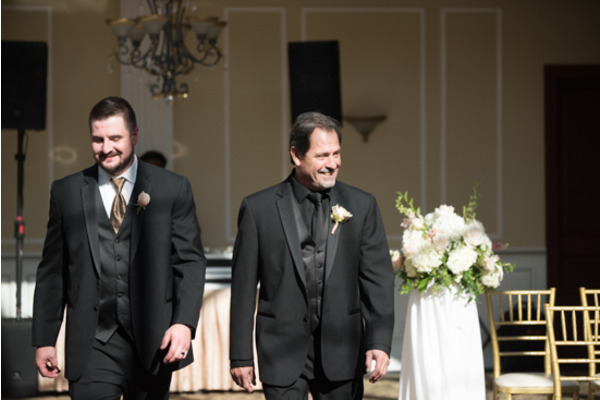 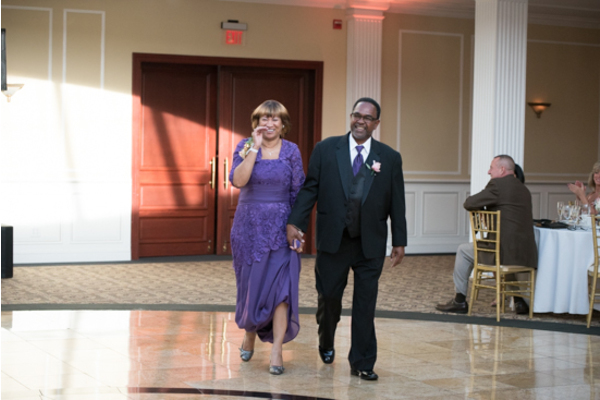 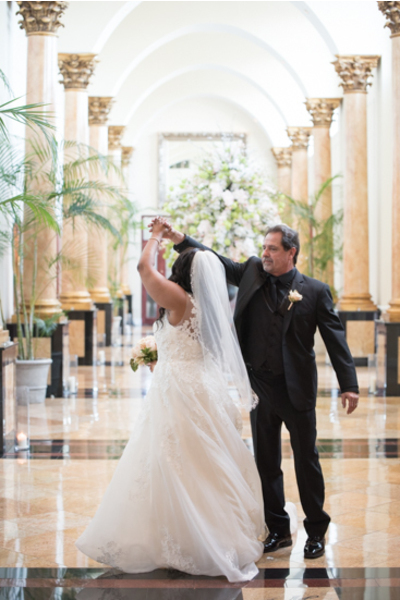 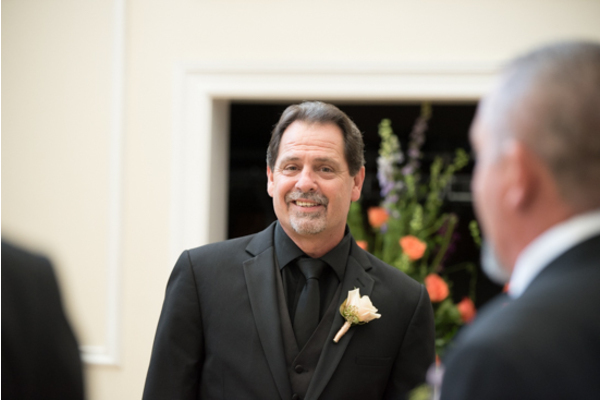 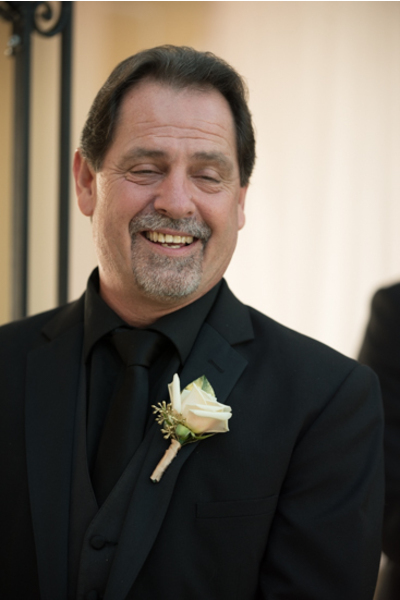 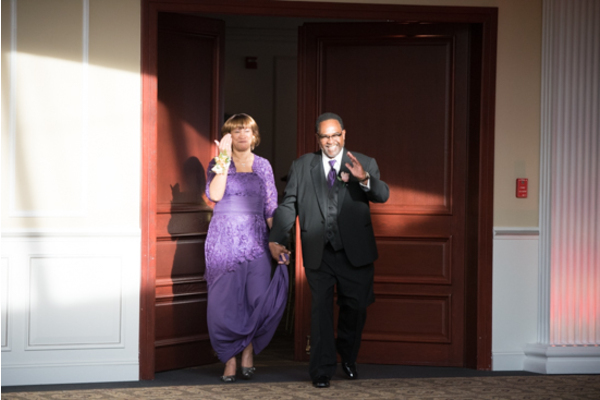 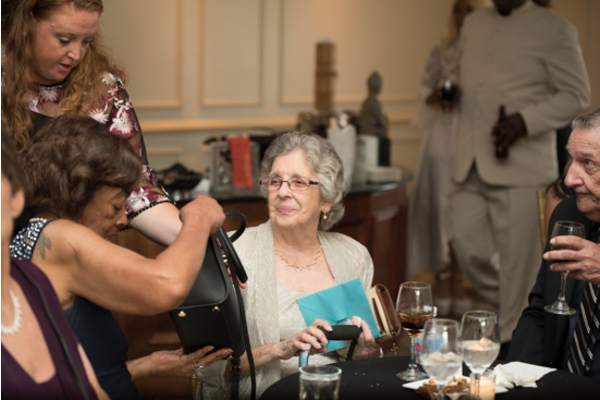 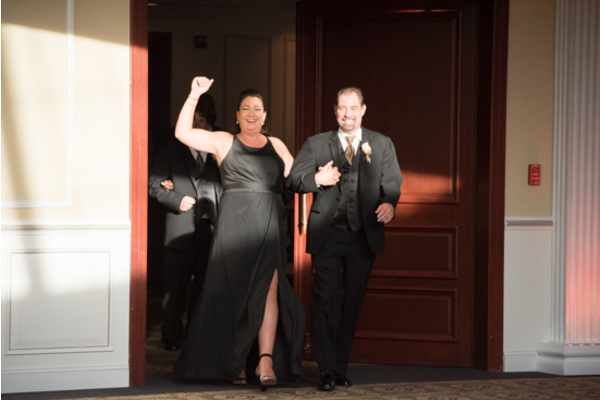 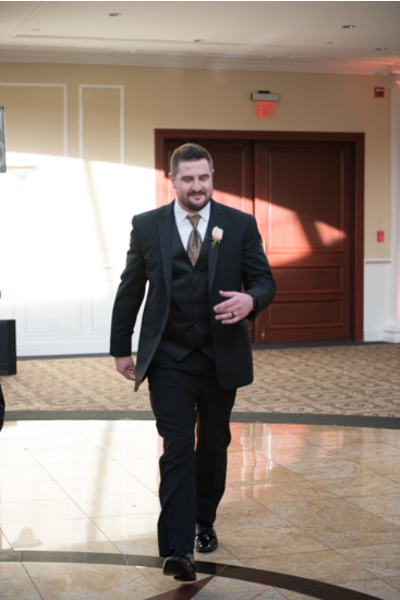 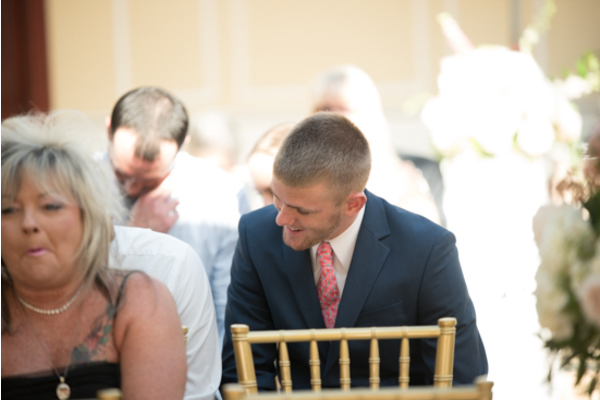 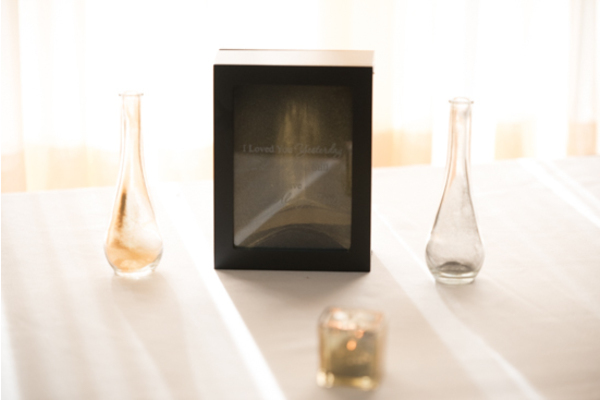 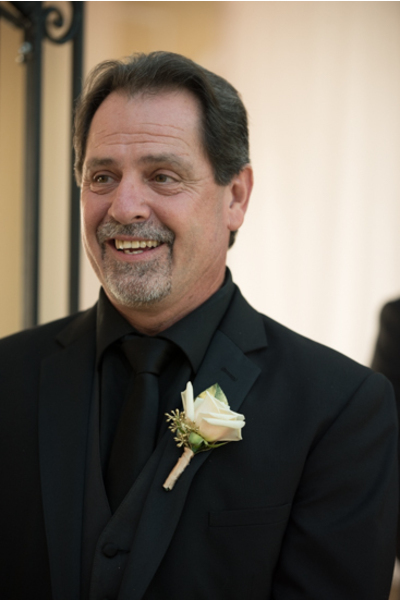 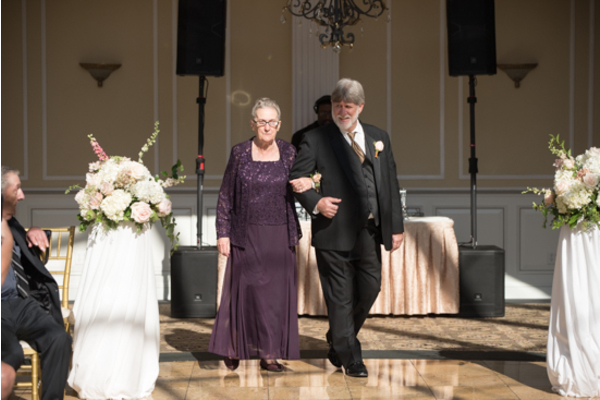 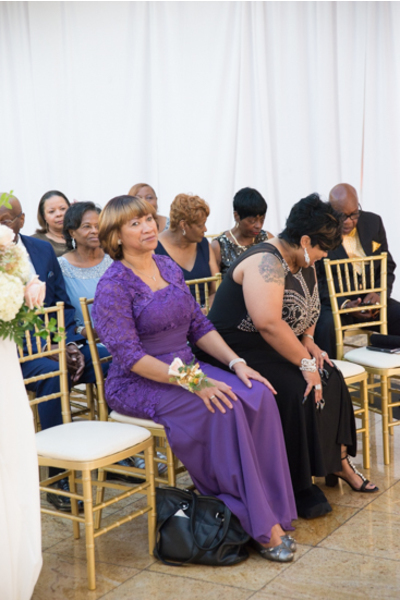 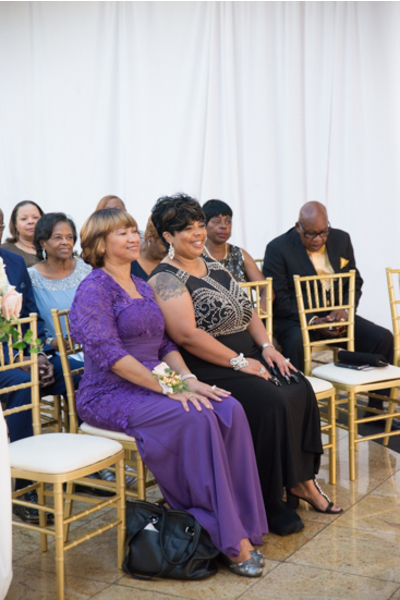 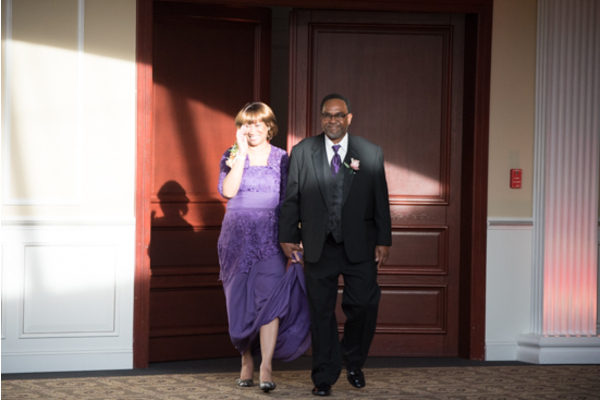 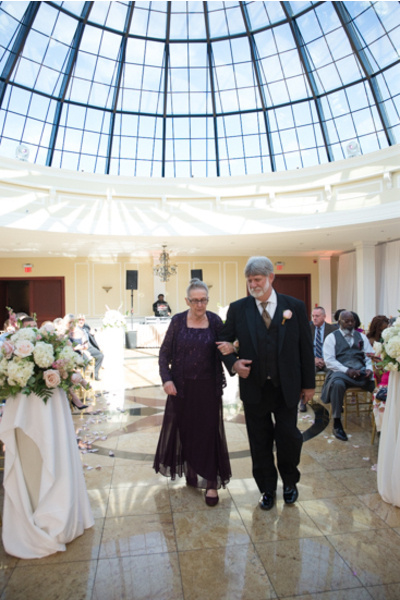 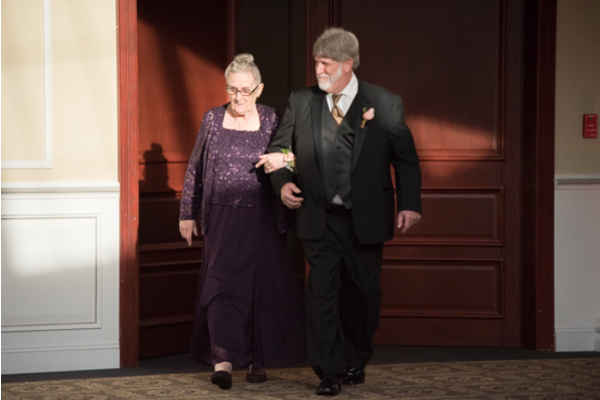 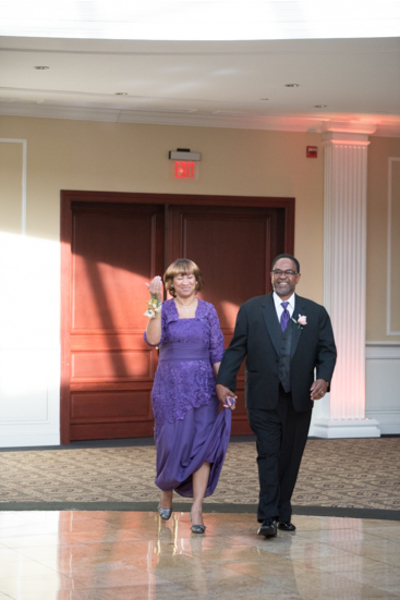 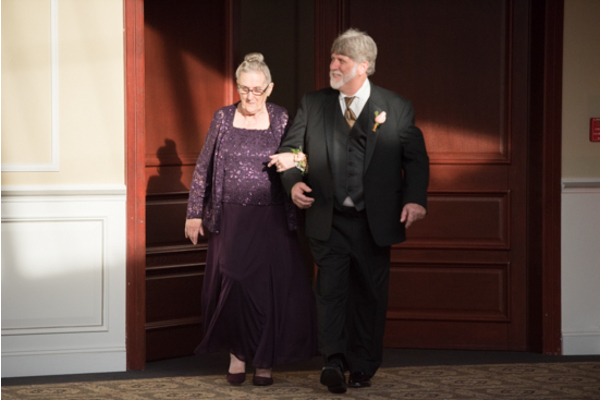 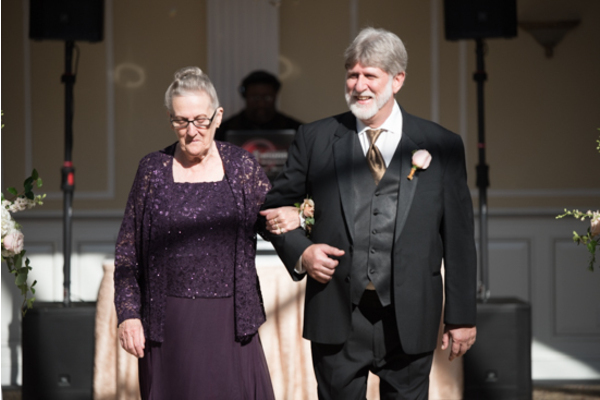 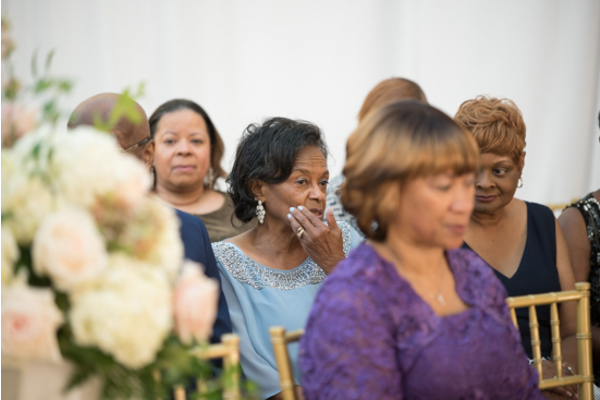 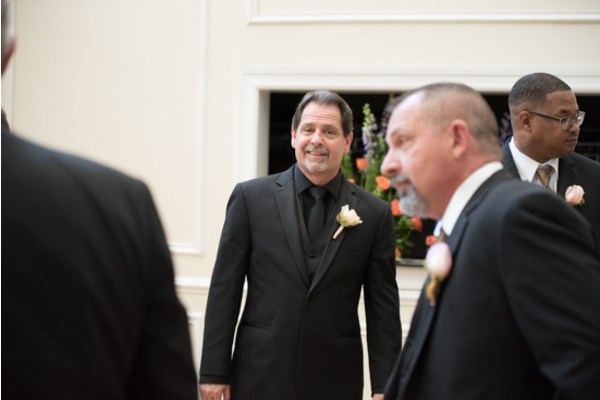 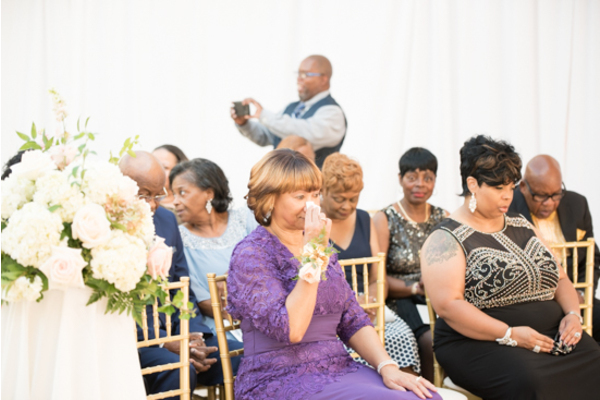 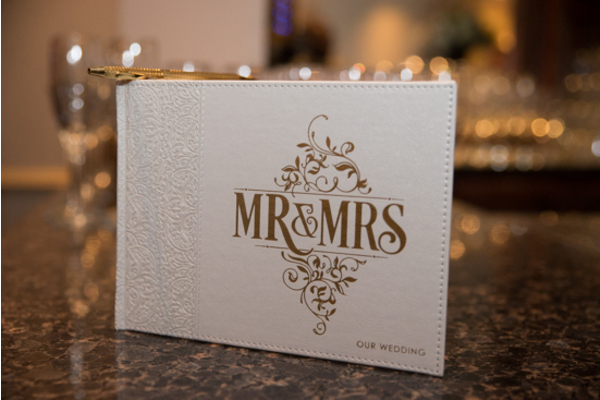 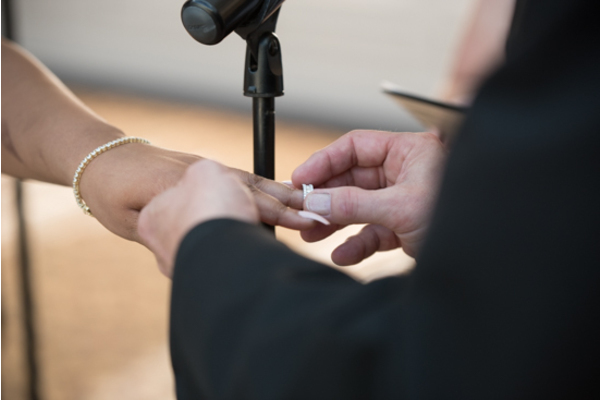 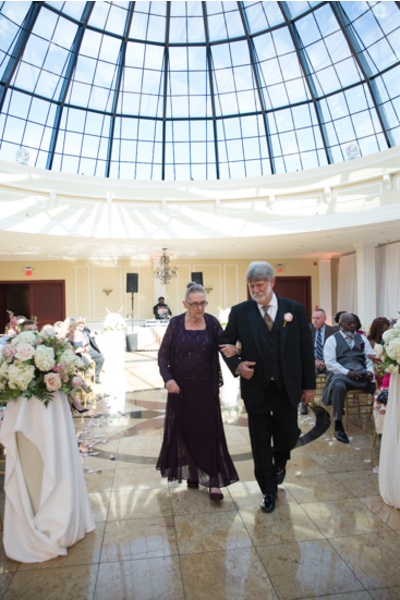 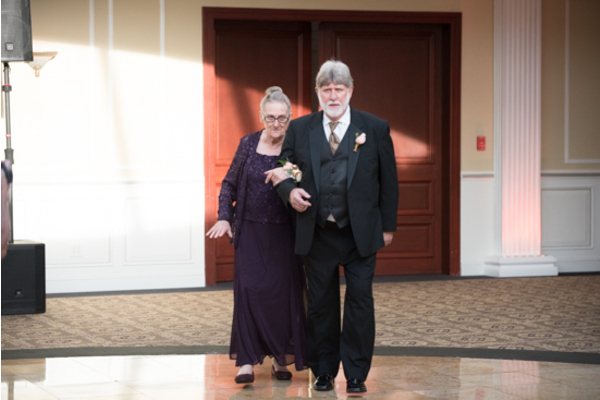 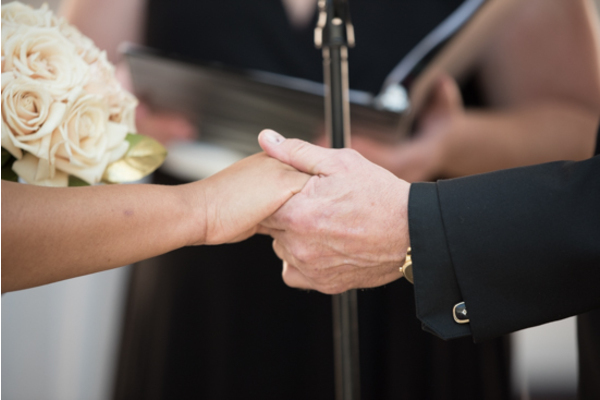 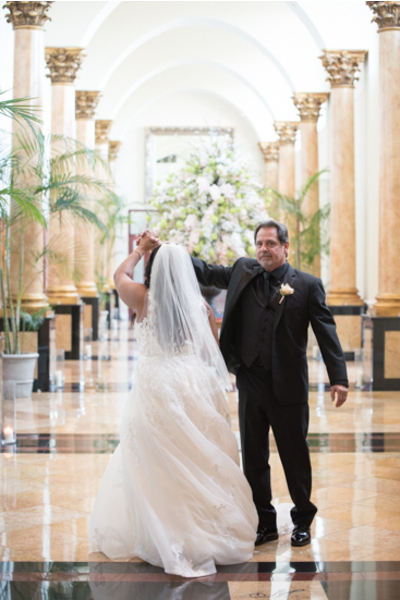 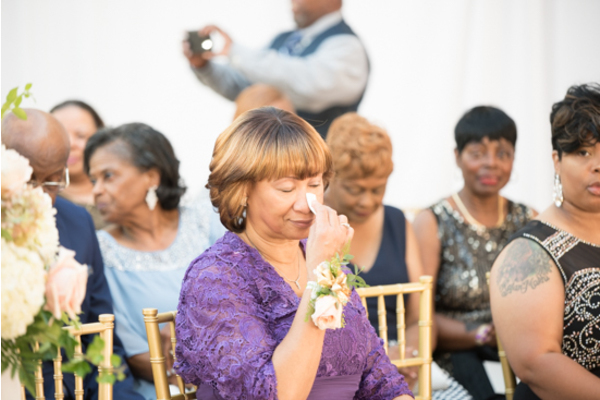 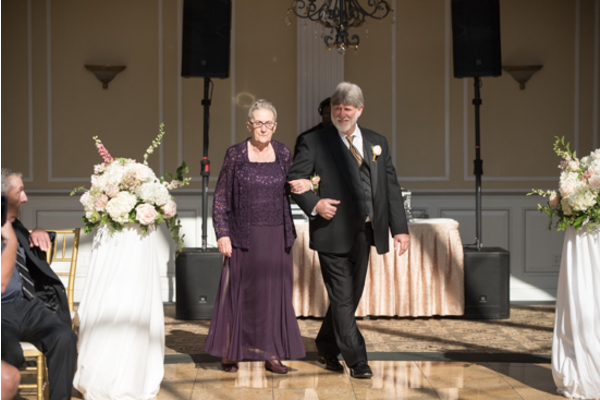 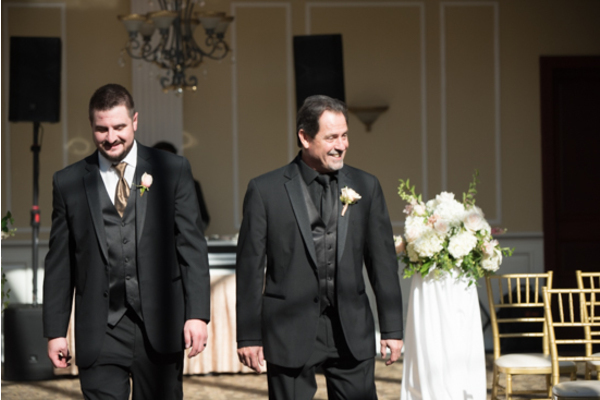 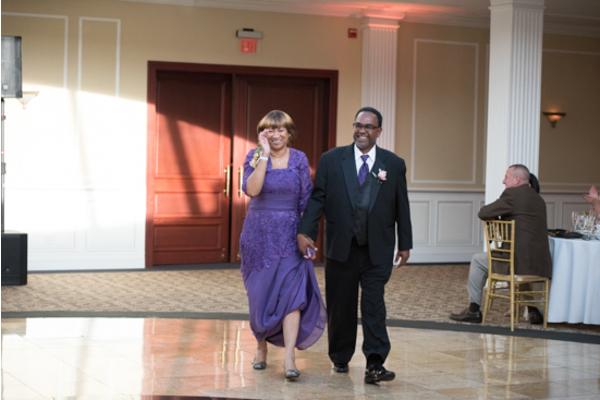 Guest cheered with joy as the newlyweds made their way back down the aisle hand in hand. 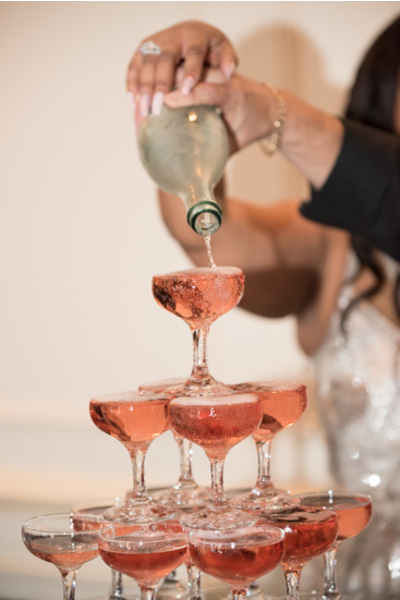 Now, it was time to celebrate! 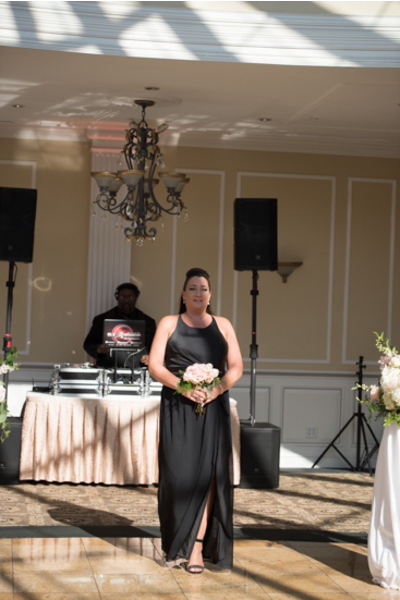 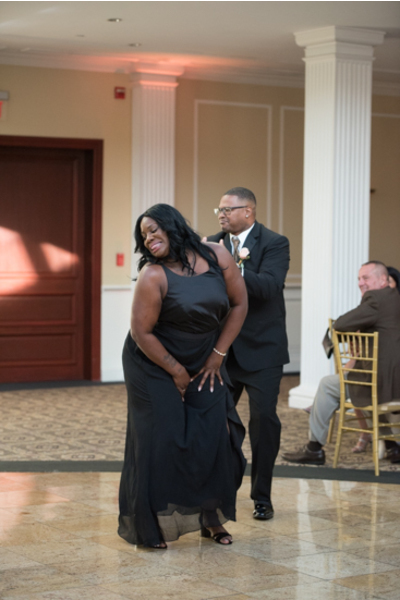 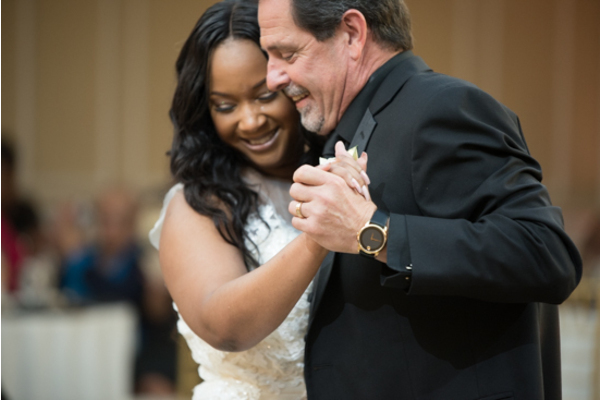 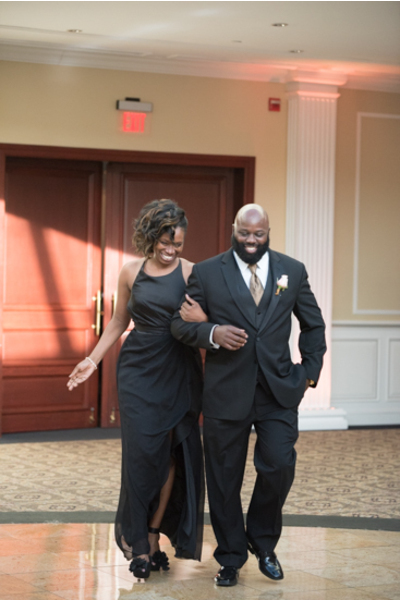 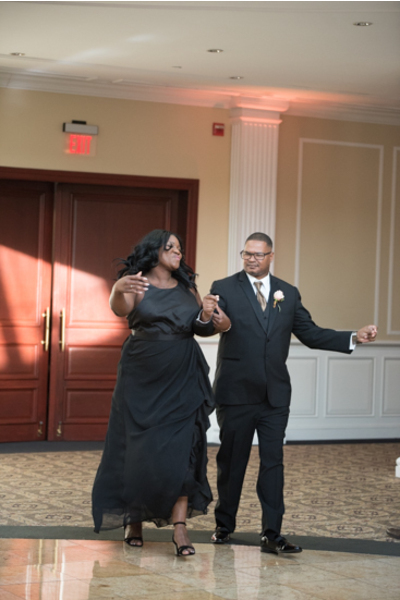 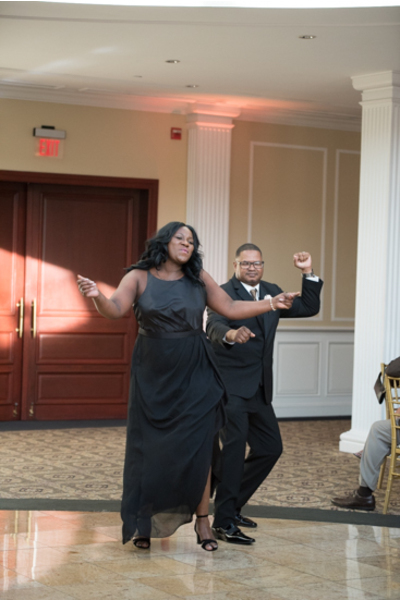 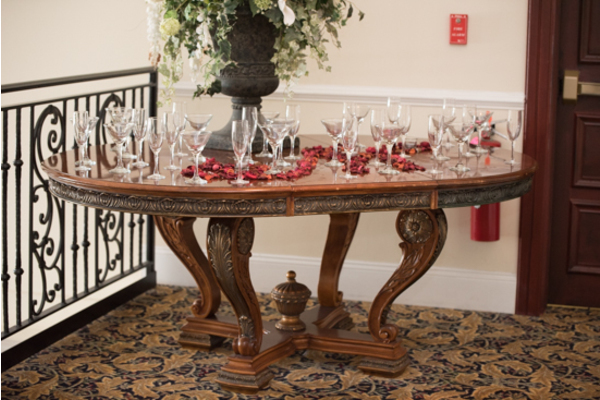 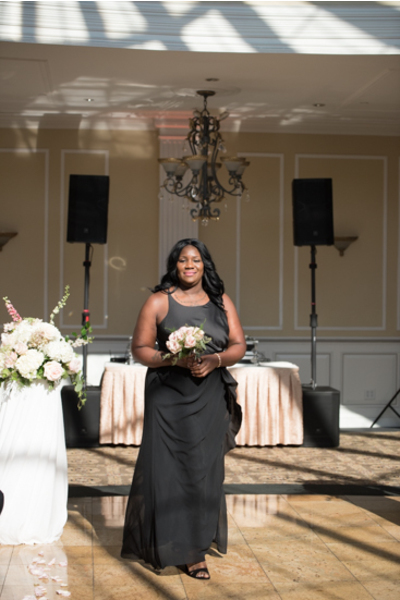 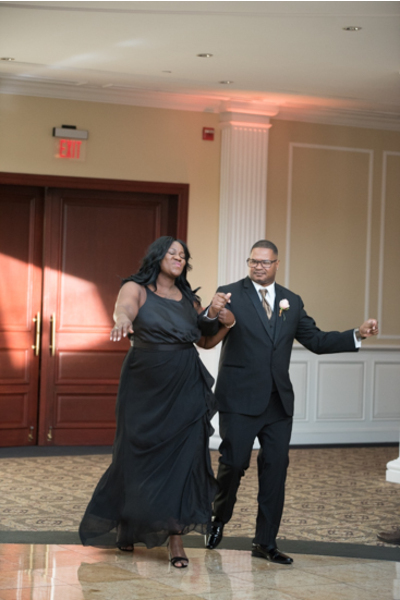 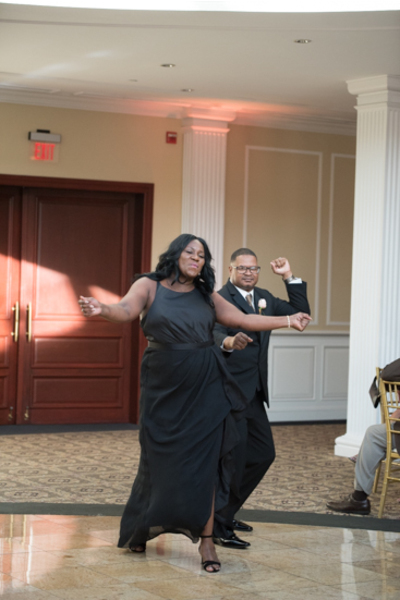 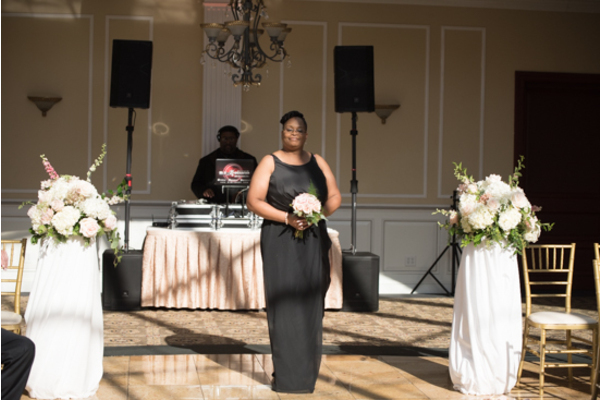 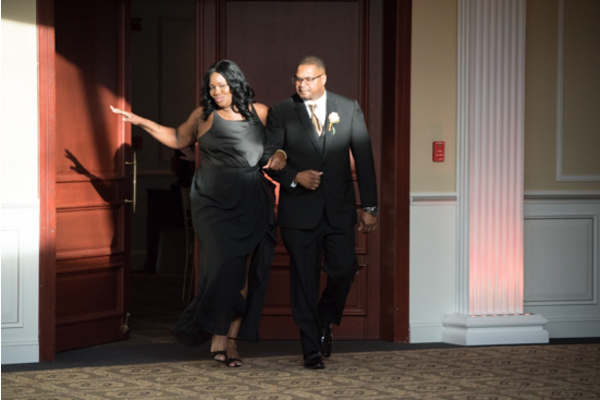 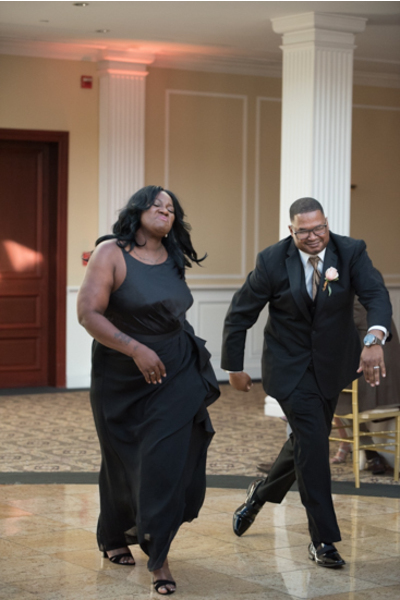 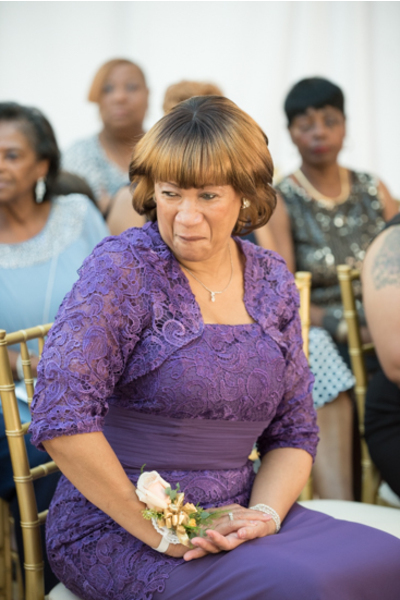 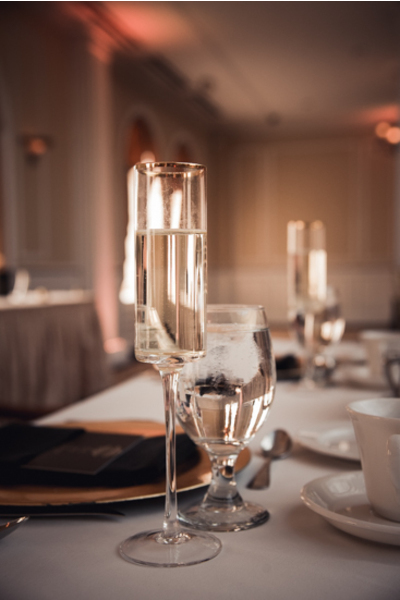 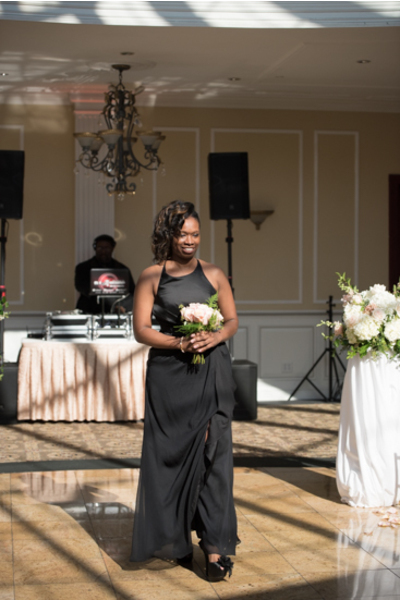 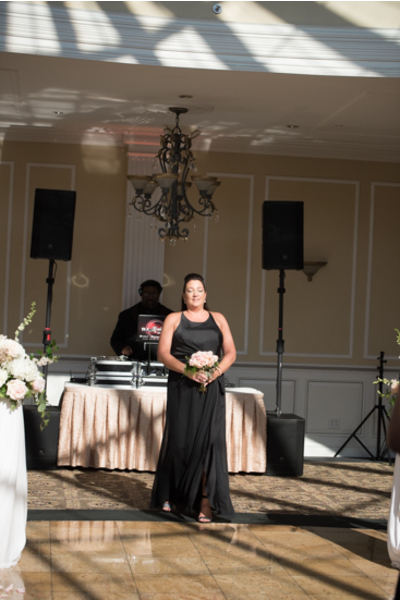 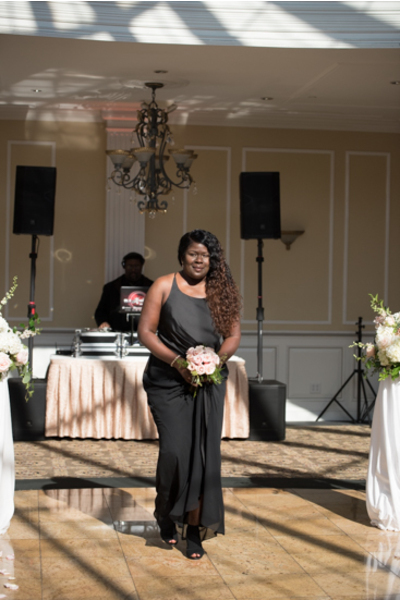 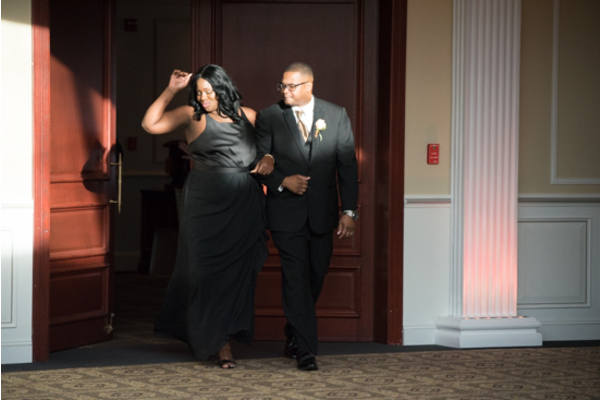 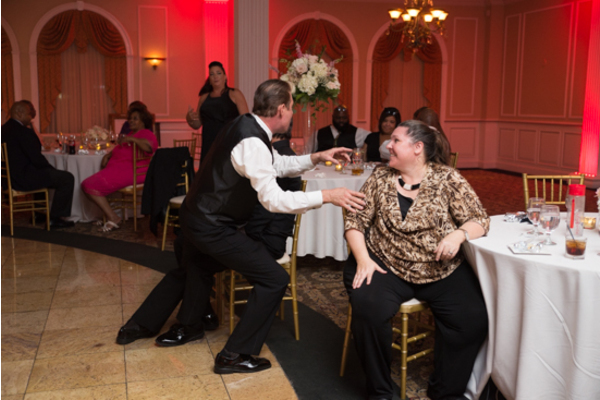 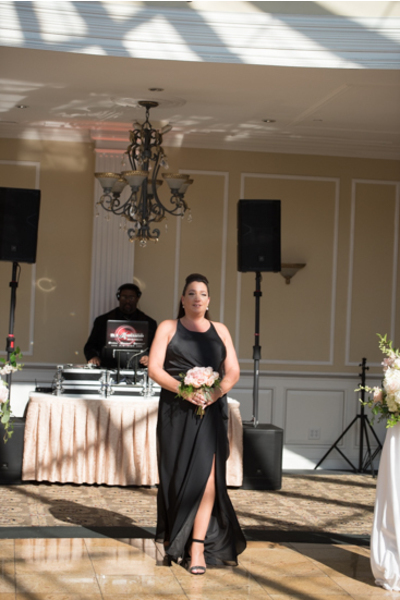 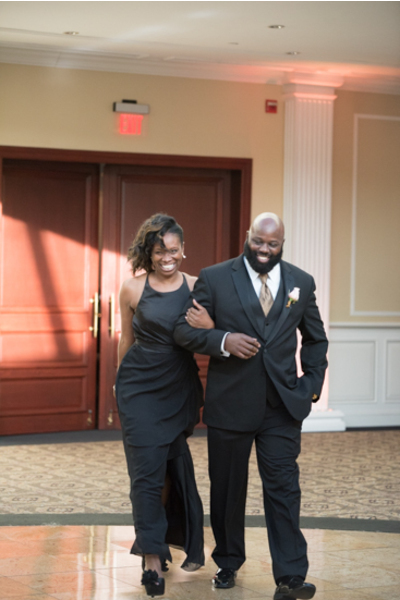 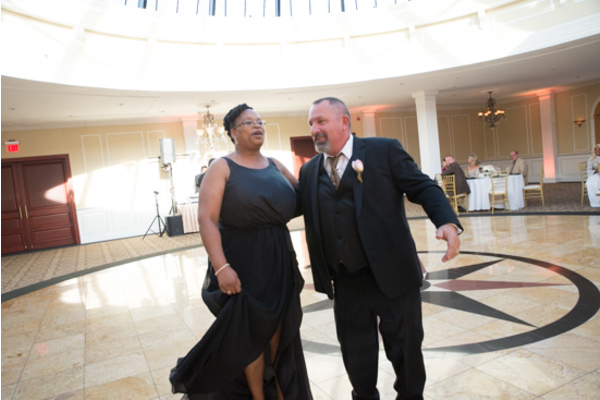 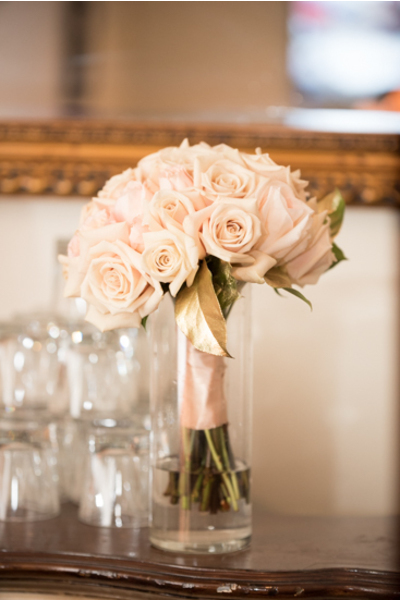 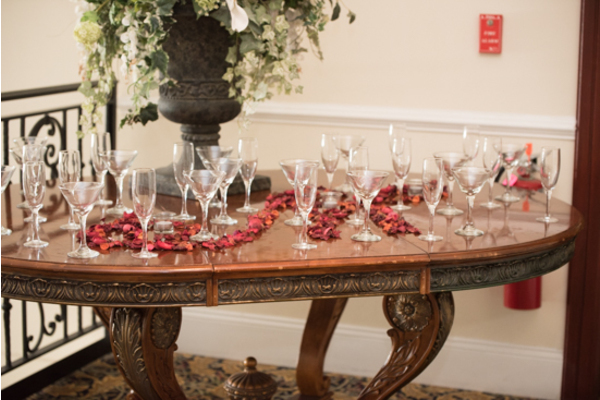 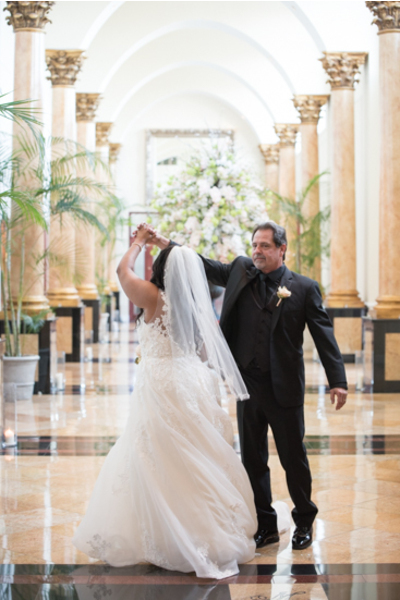 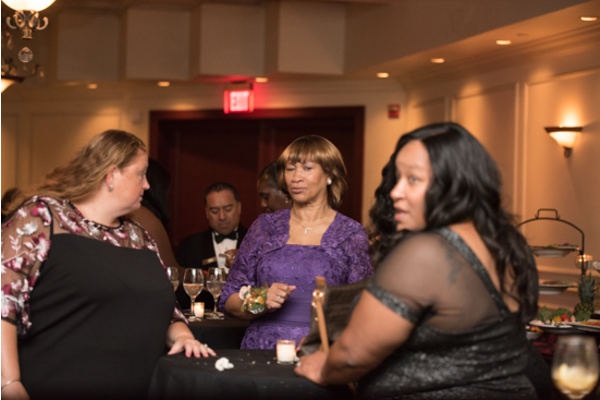 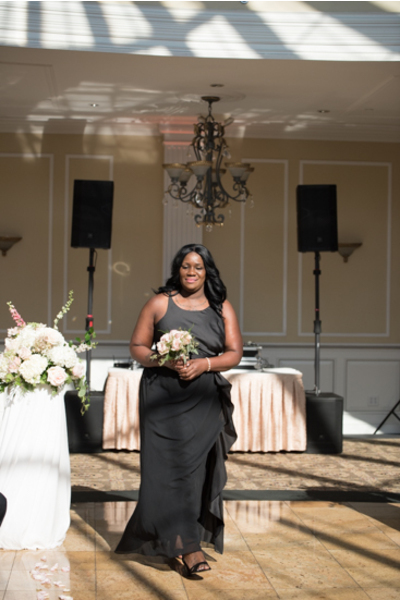 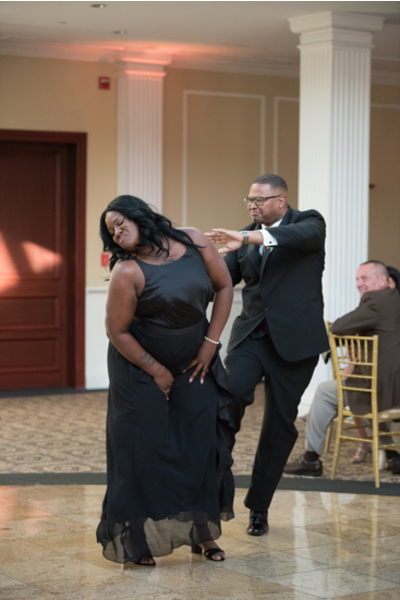 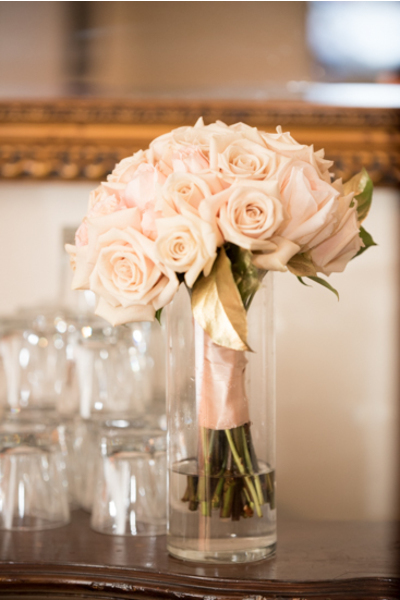 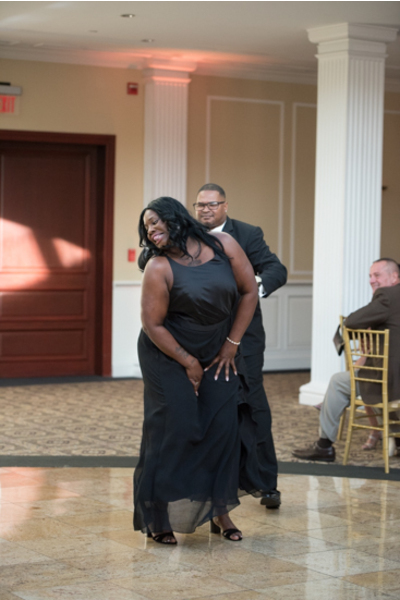 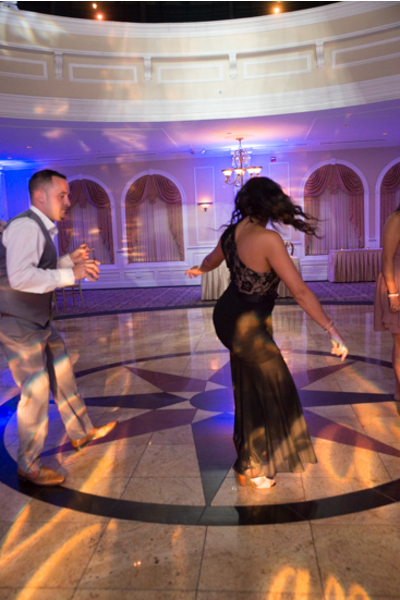 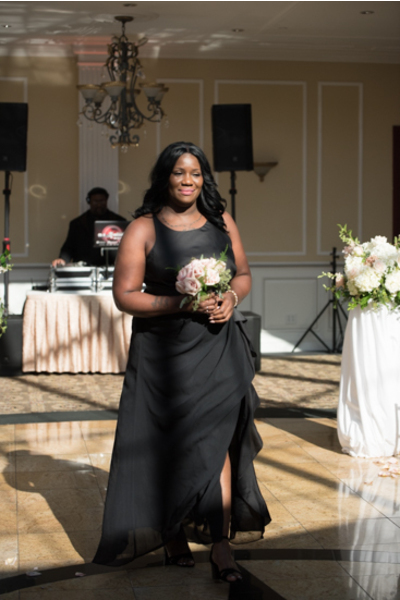 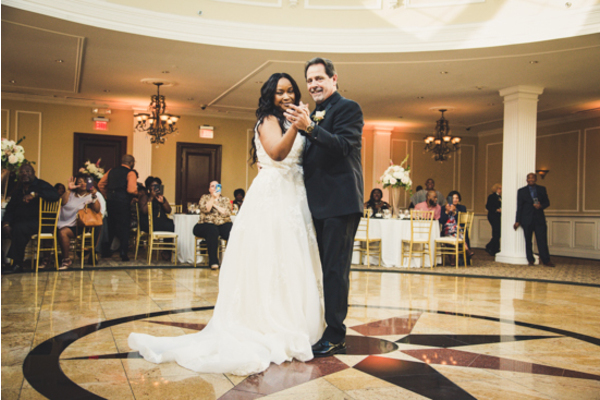 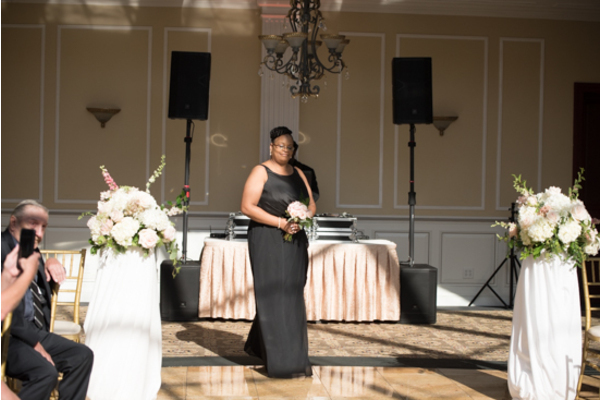 The reception was nothing short of magical as Taisha and Don made their way to the dance floor for their first dance. 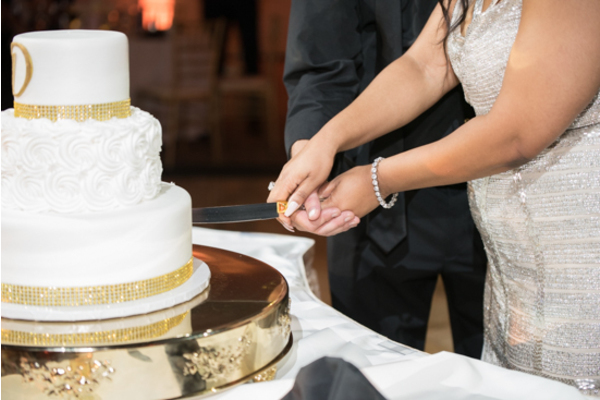 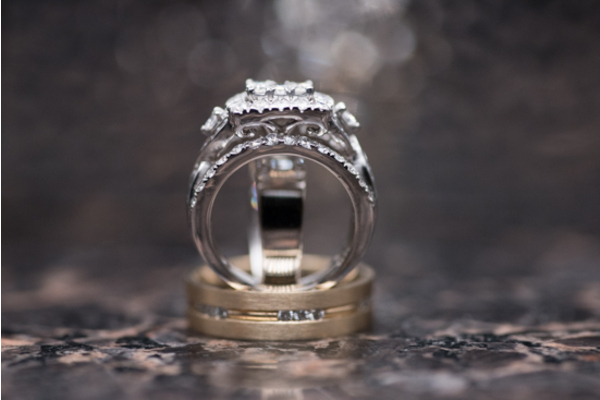 This couple did not miss a single detail. 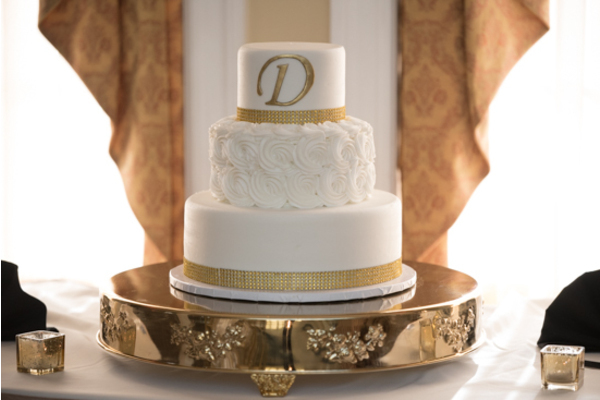 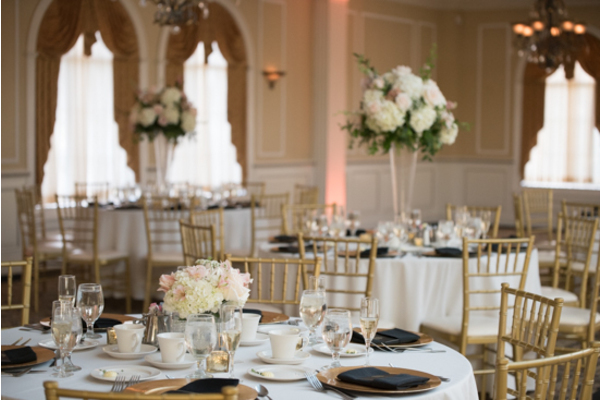 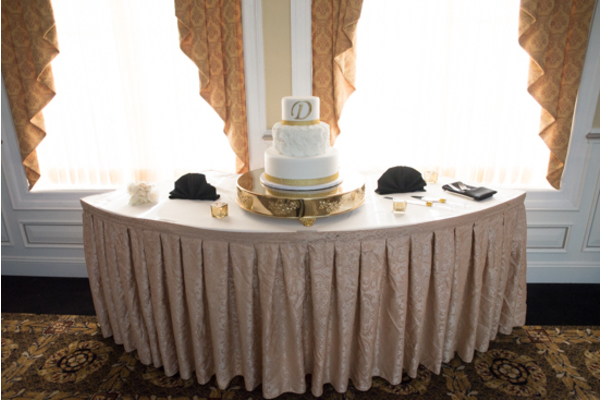 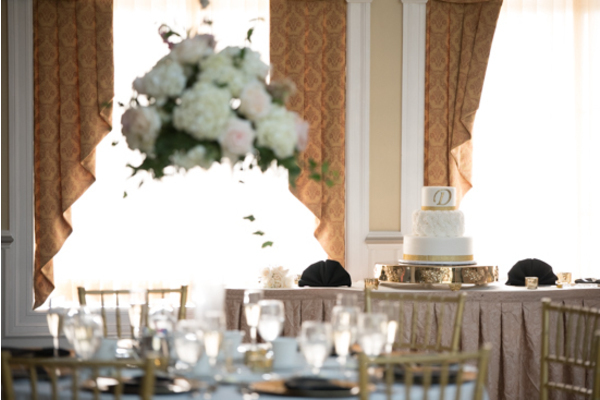 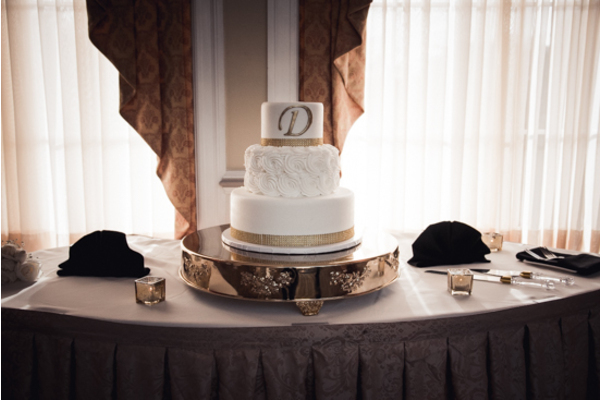 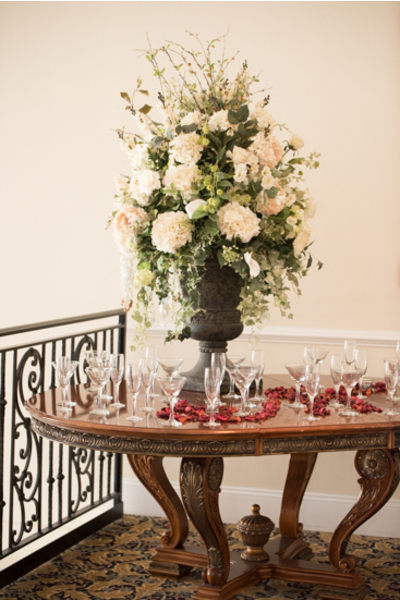 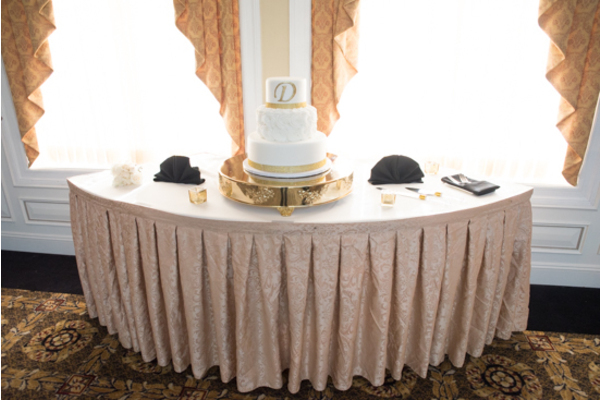 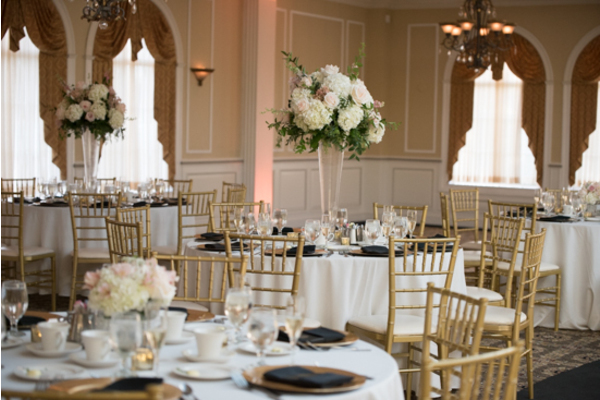 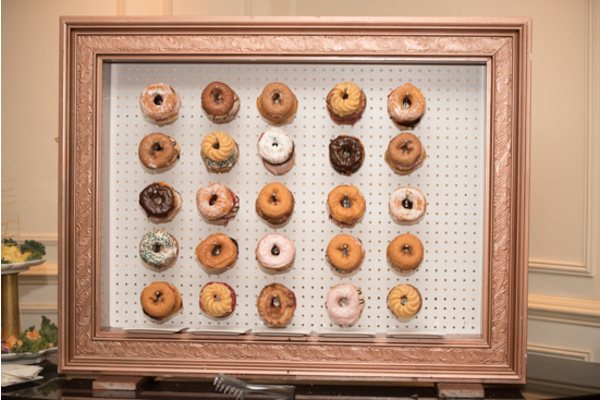 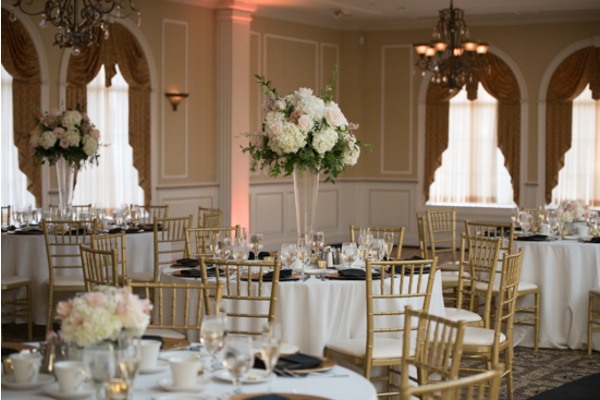 Specifically, walls of decorative donuts and beautiful centerpieces perfectly matched this couple’s color scheme! 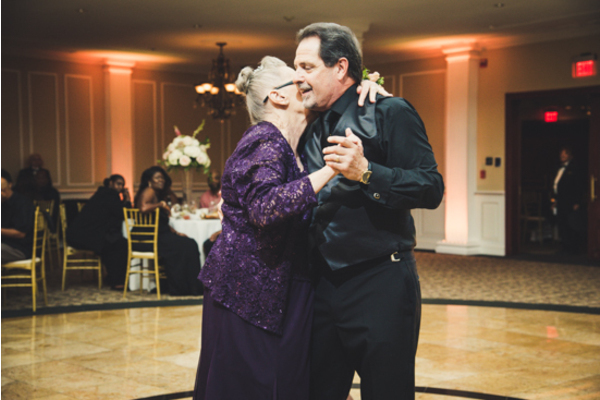 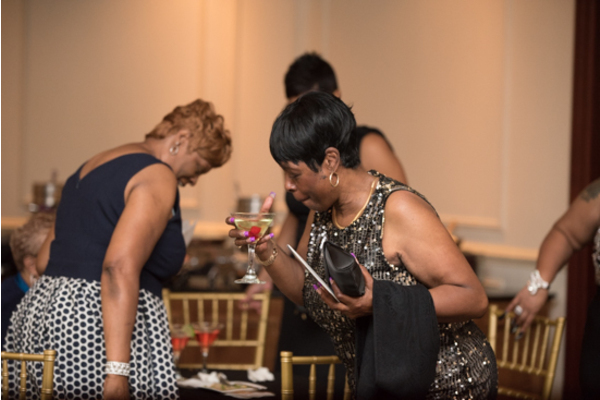 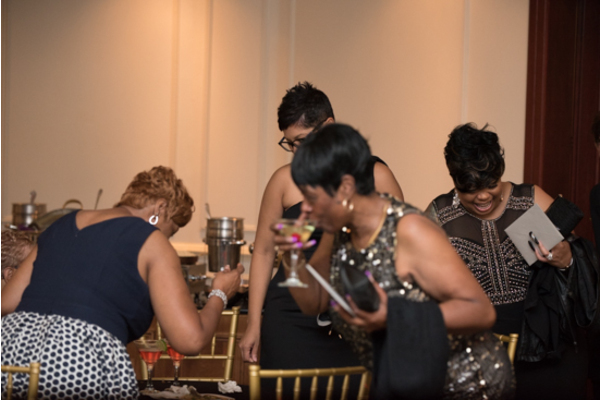 Once the speeches by loved ones were given, the rest of the night was filled with endless dancing. 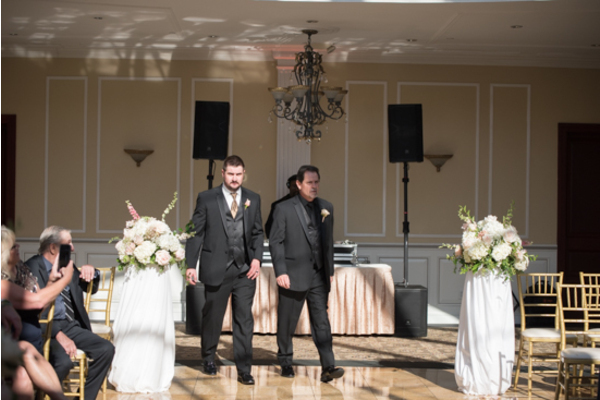 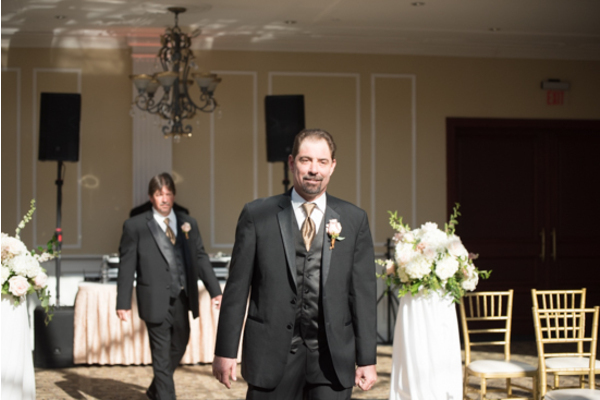 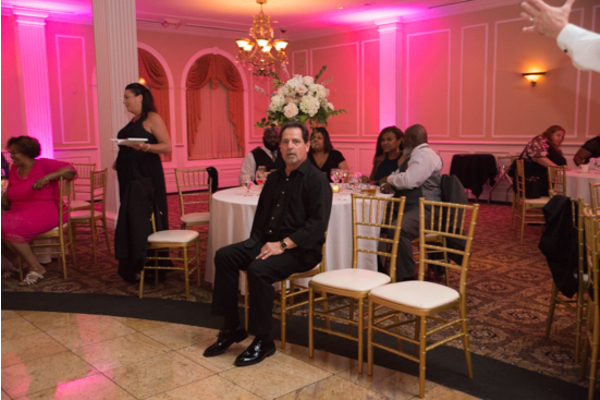 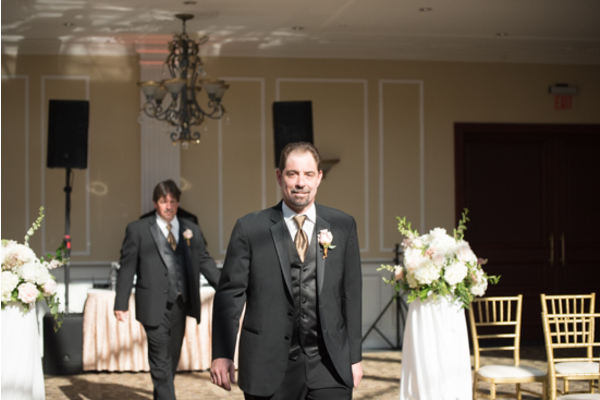 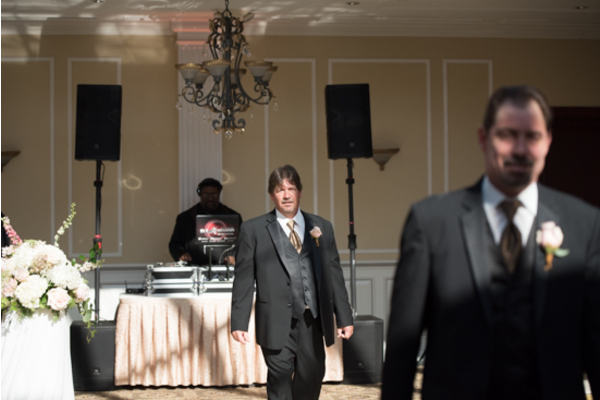 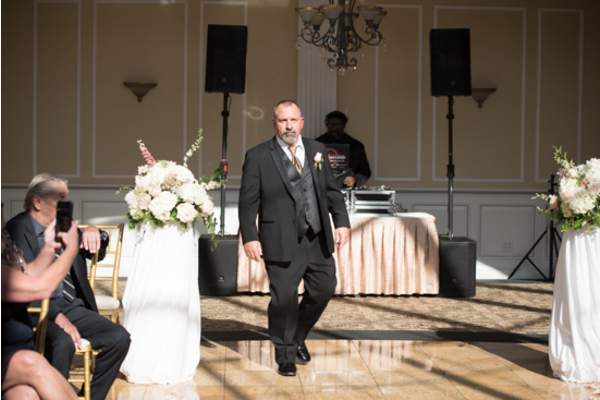 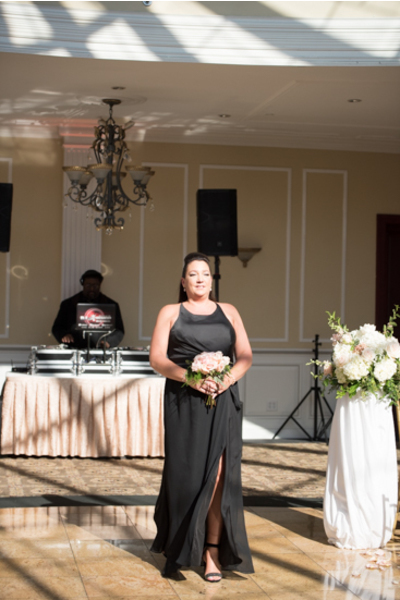 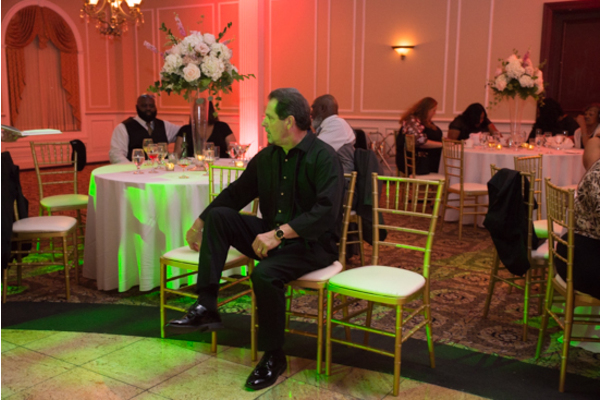 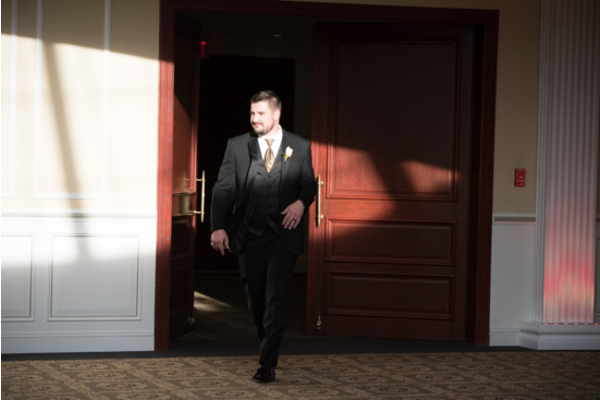 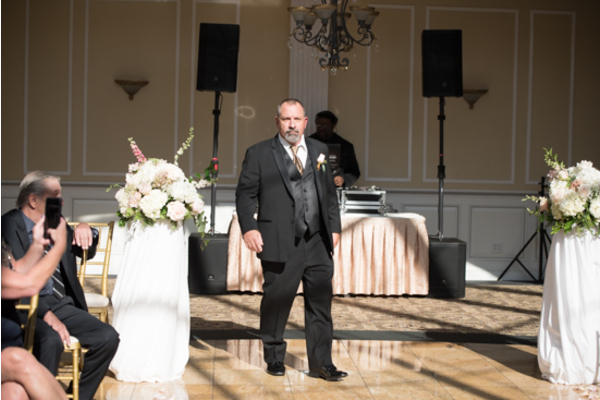 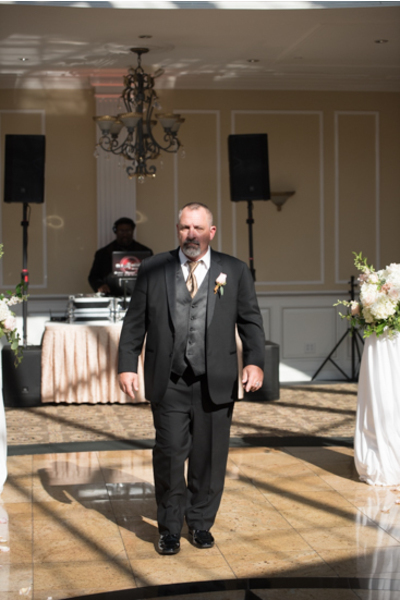 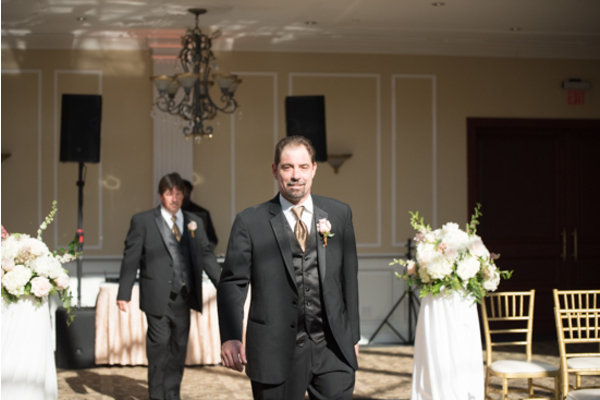 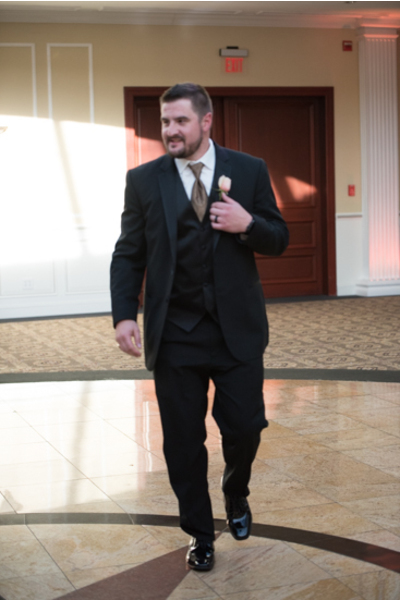 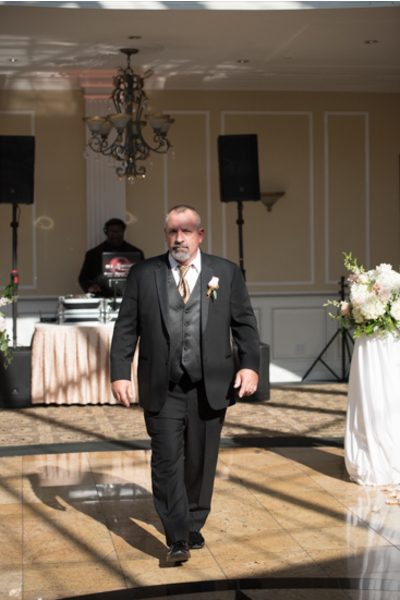 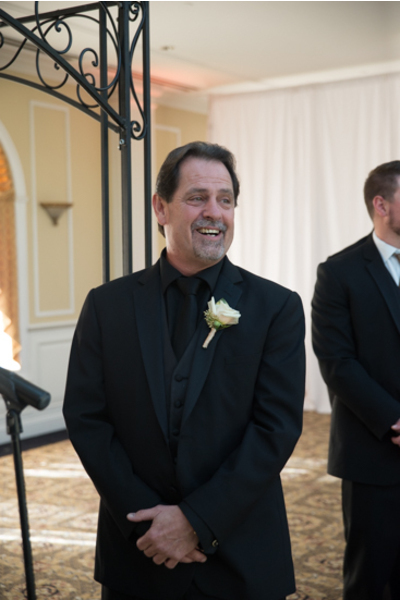 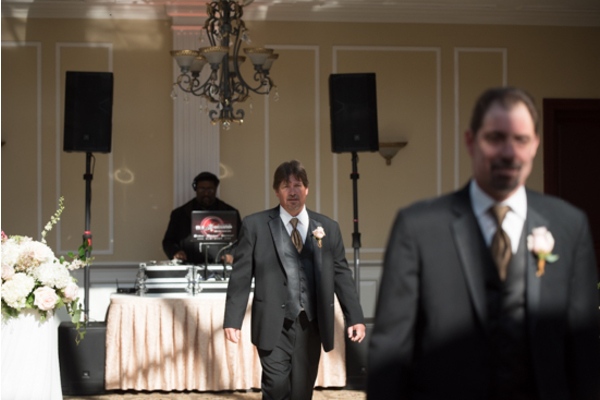 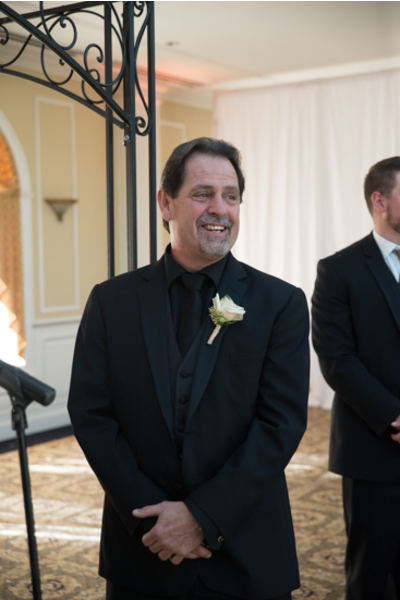 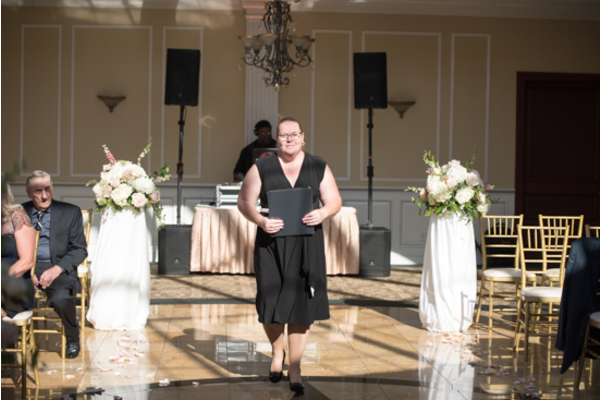 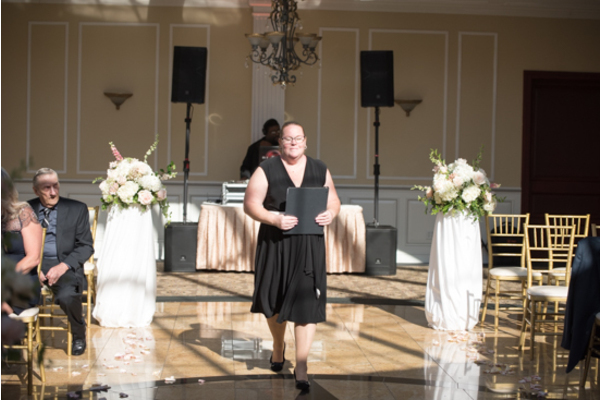 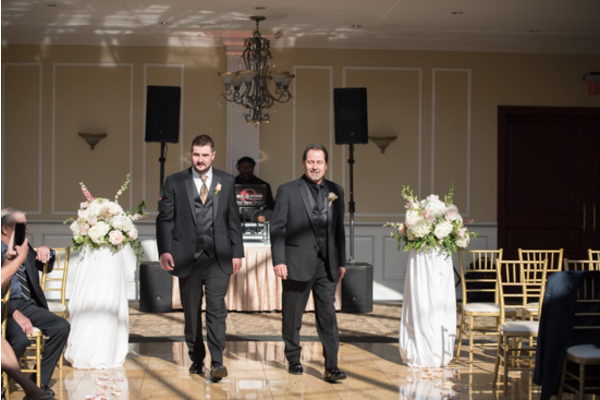 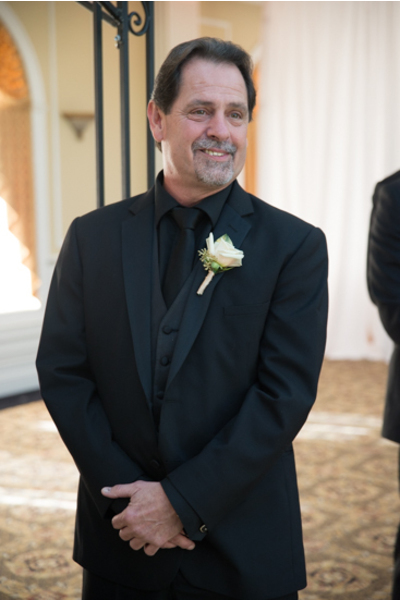 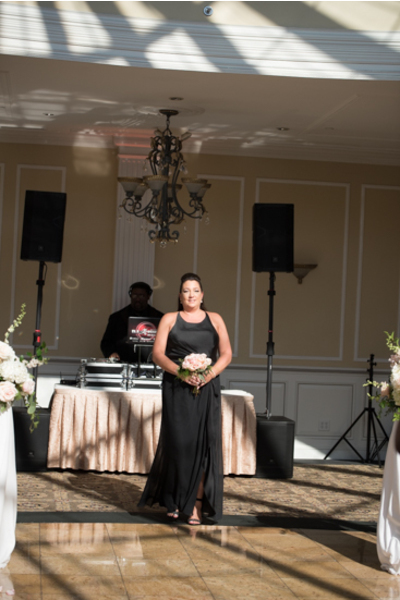 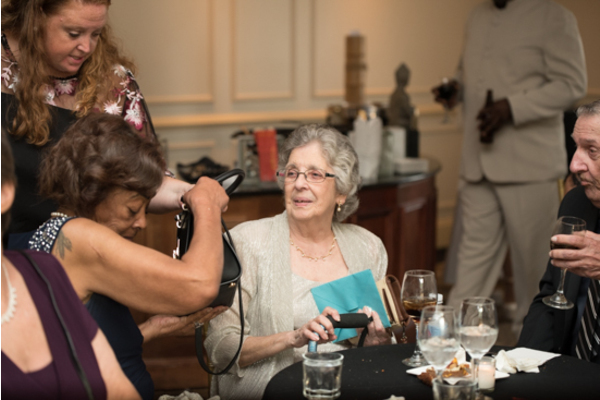 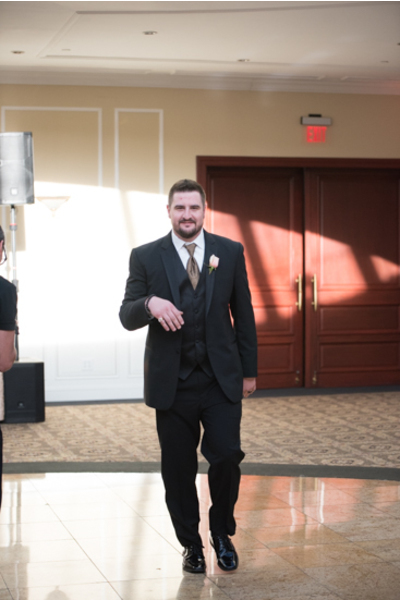 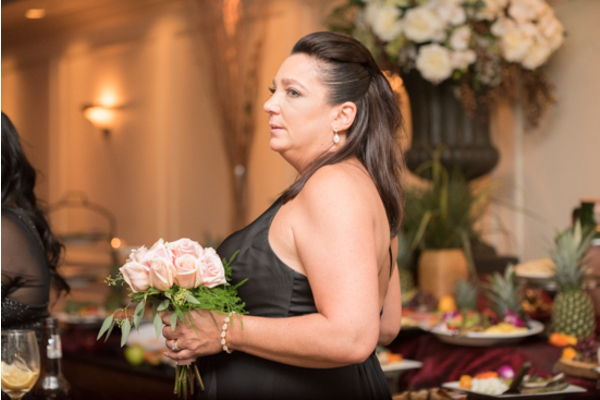 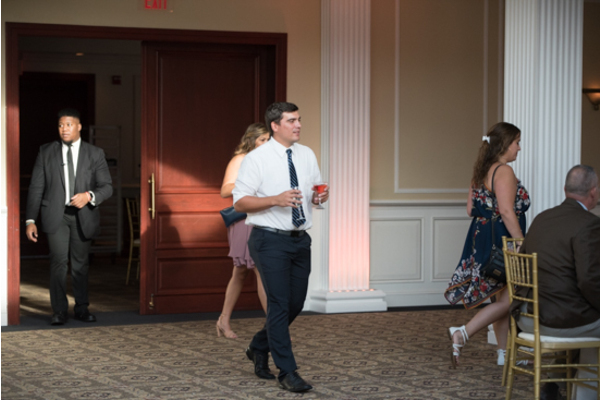 Our NJ Wedding Photographer was there for it all. 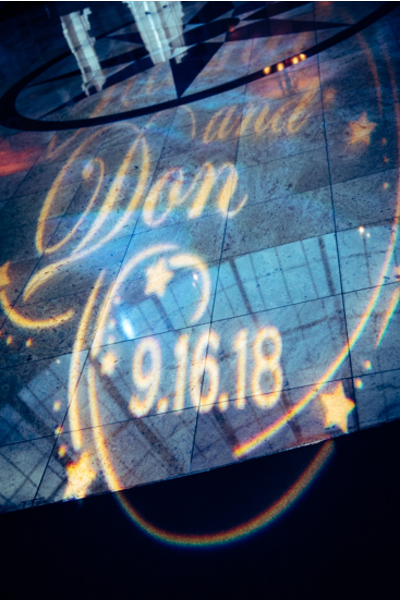 This night was one to remember, and we are so grateful to have been apart of this celebration! 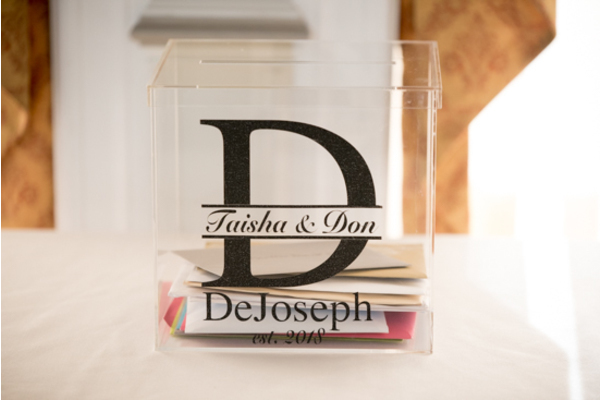 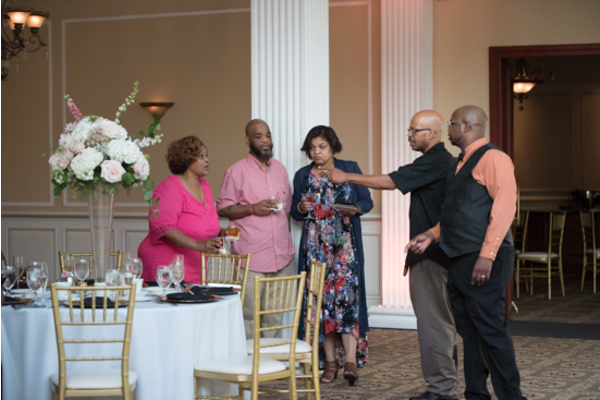 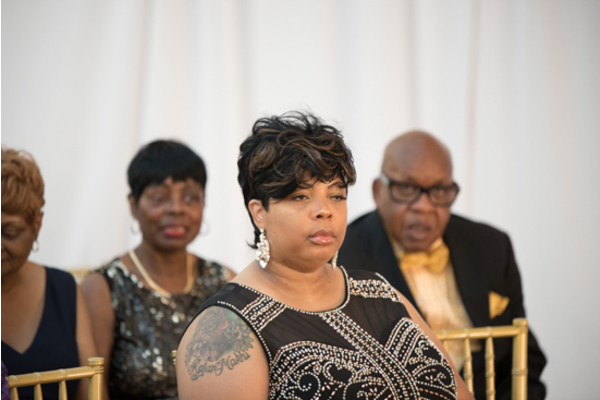 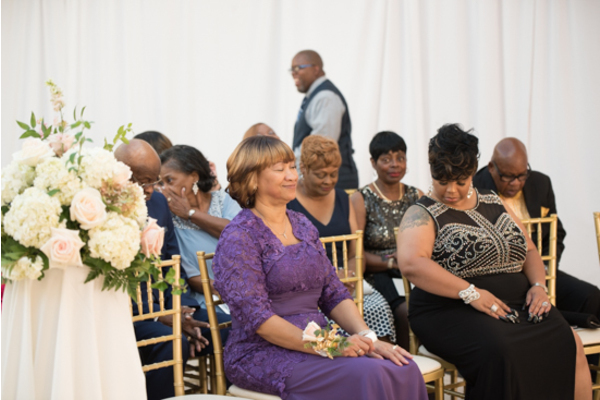 Congratulations, again to Taisha and Don on their marriage! 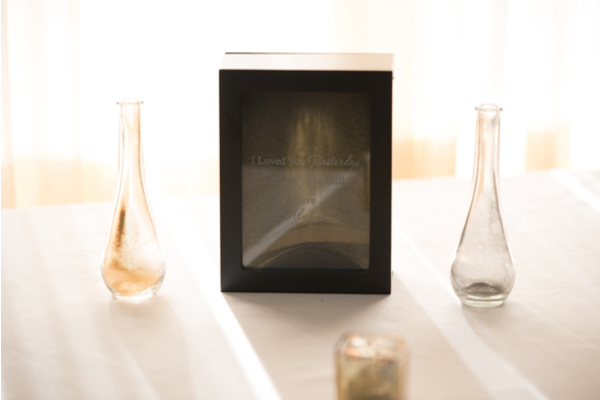 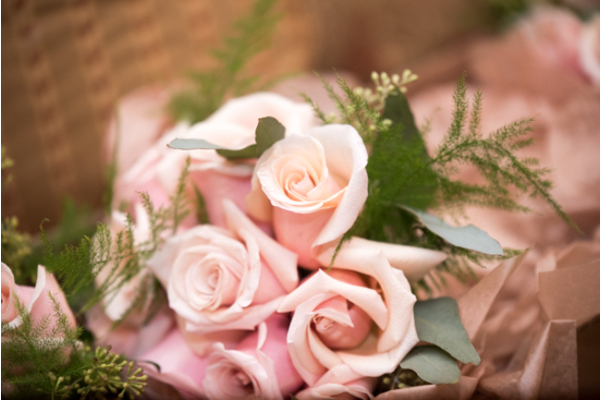 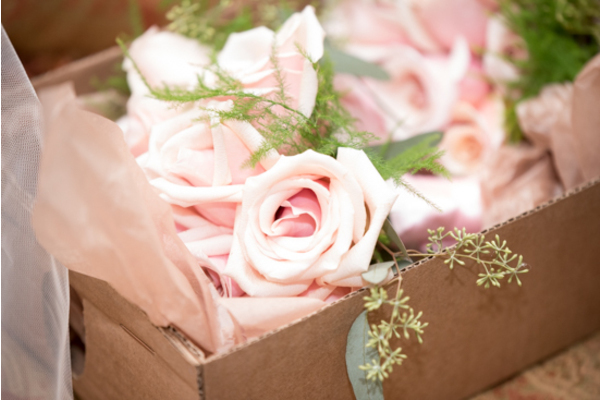 We wish you endless love on your happily ever after!